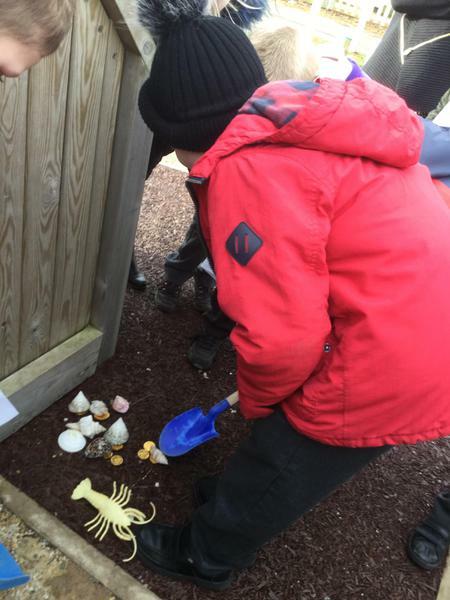 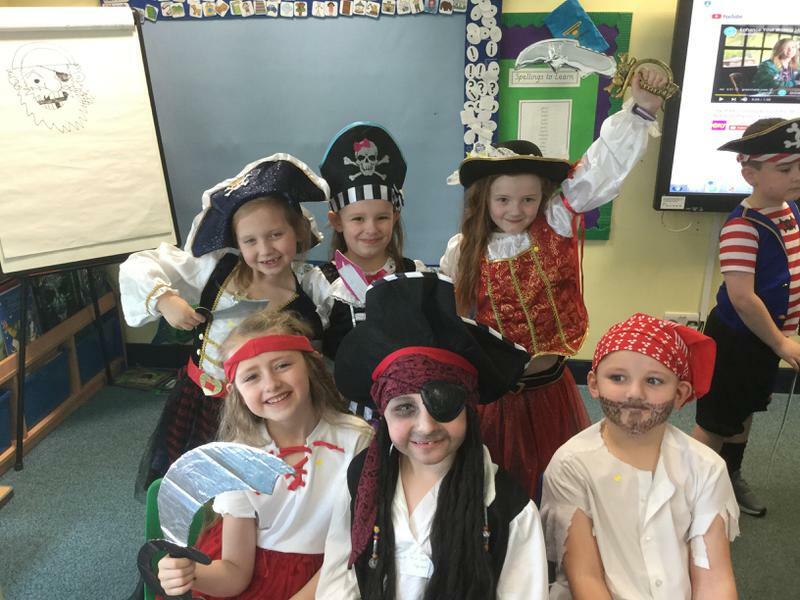 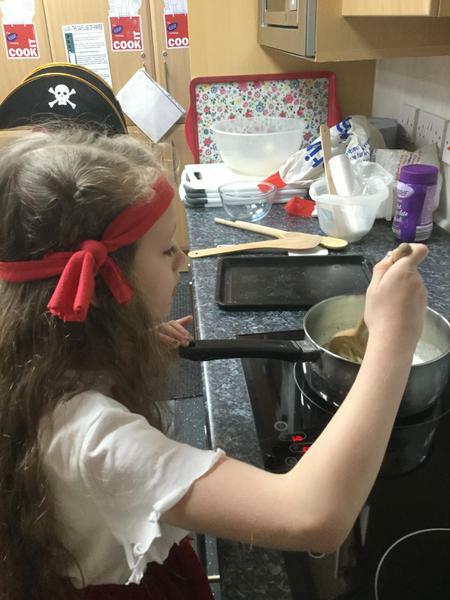 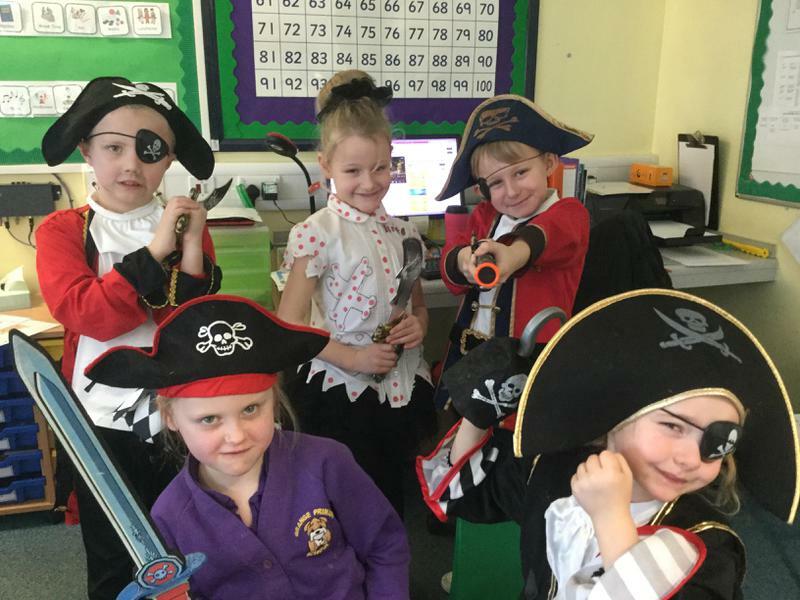 Our spring topic is all about pirates, explorers and life by the sea. 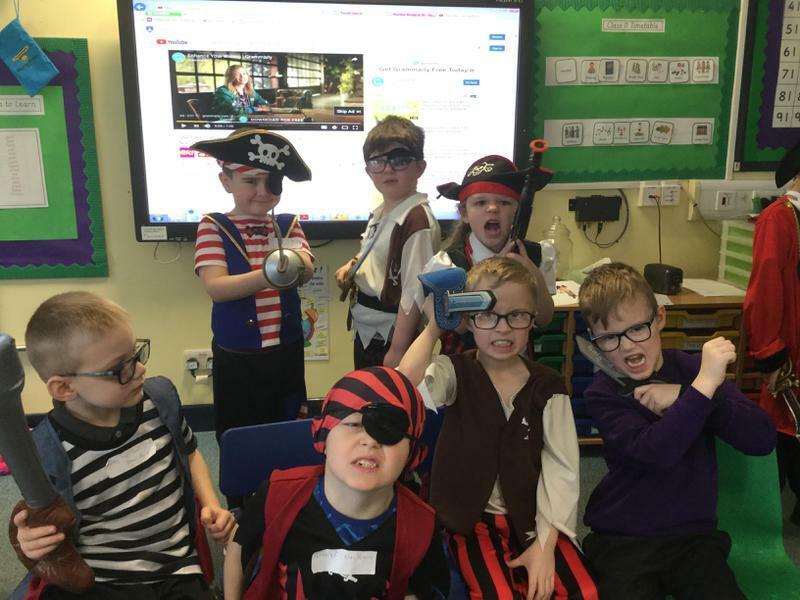 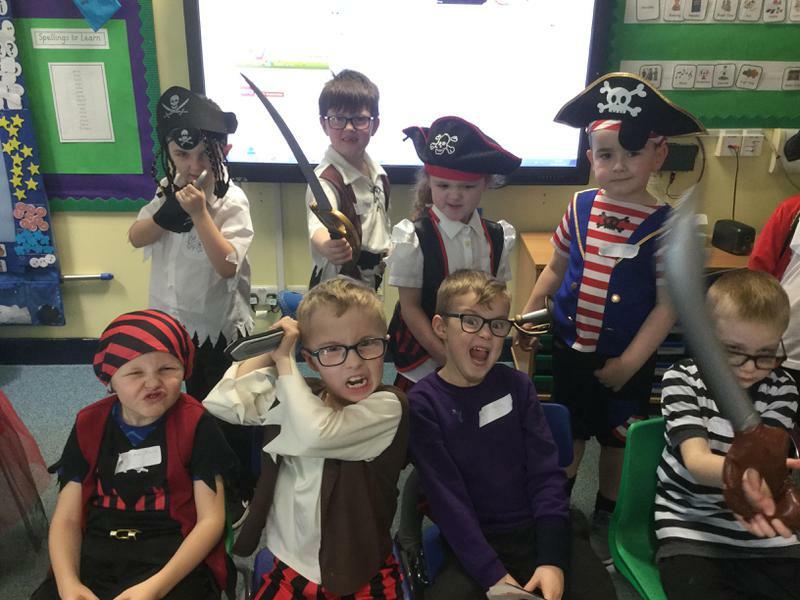 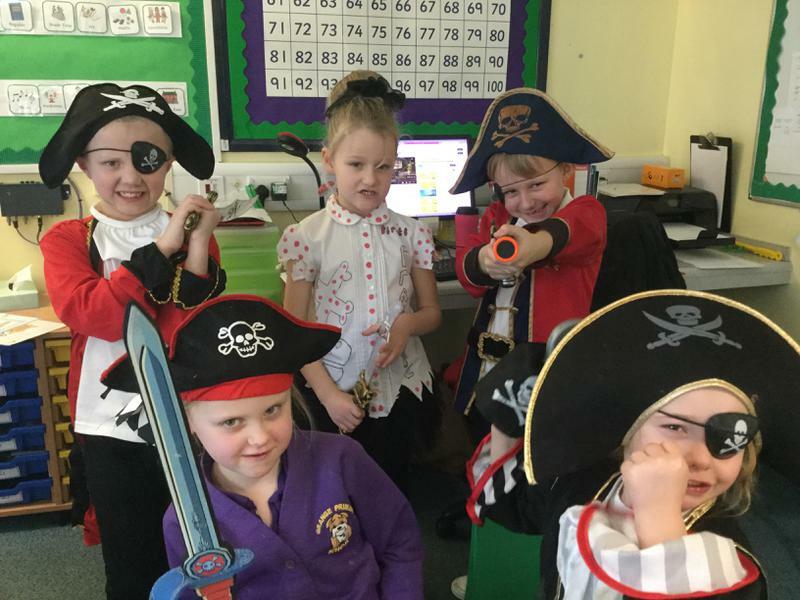 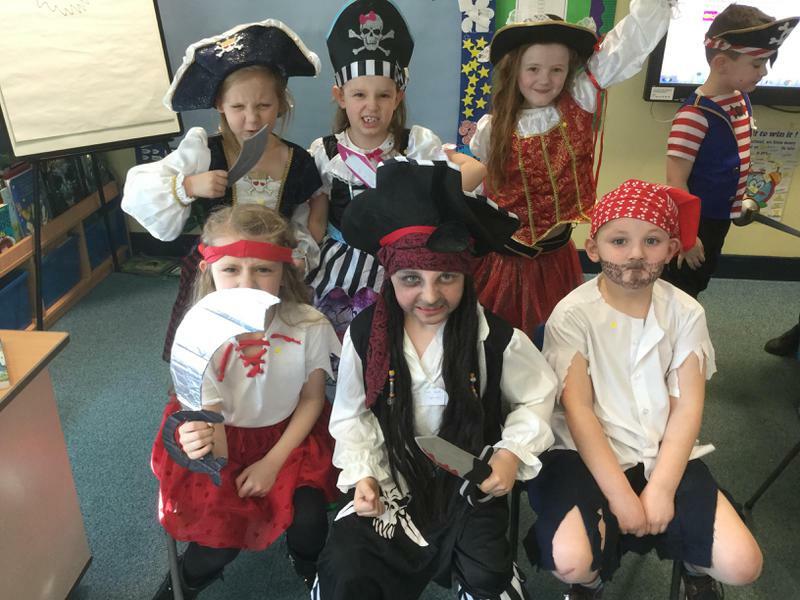 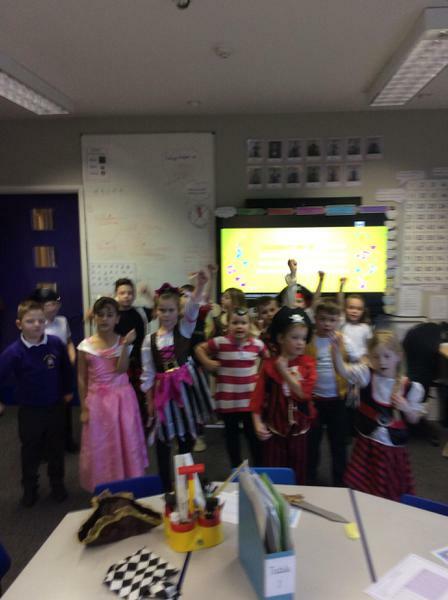 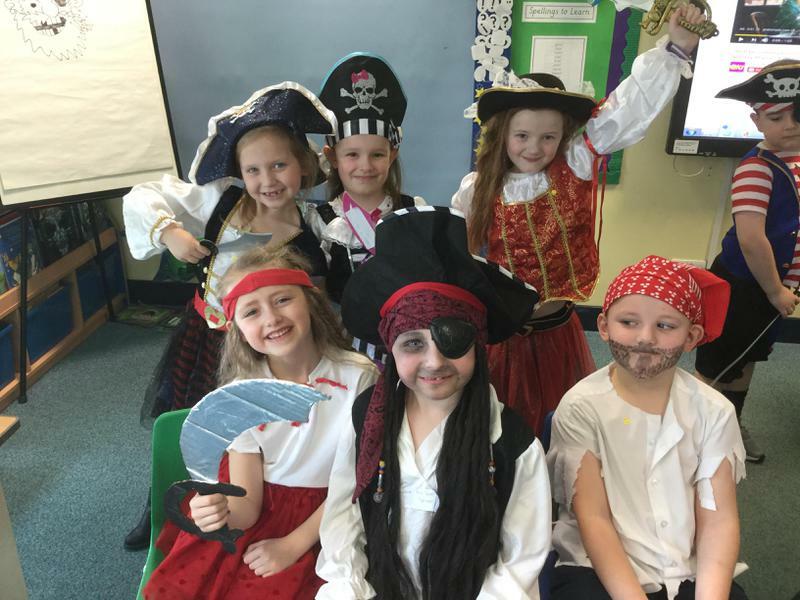 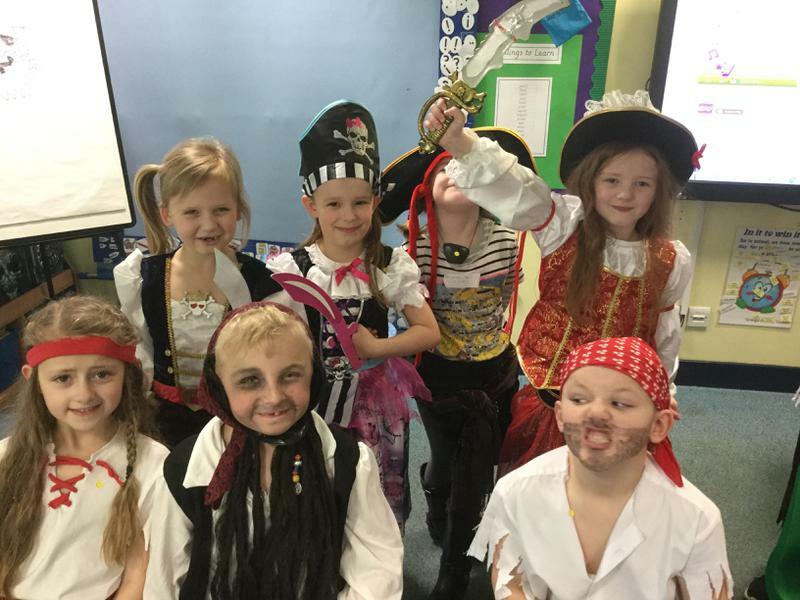 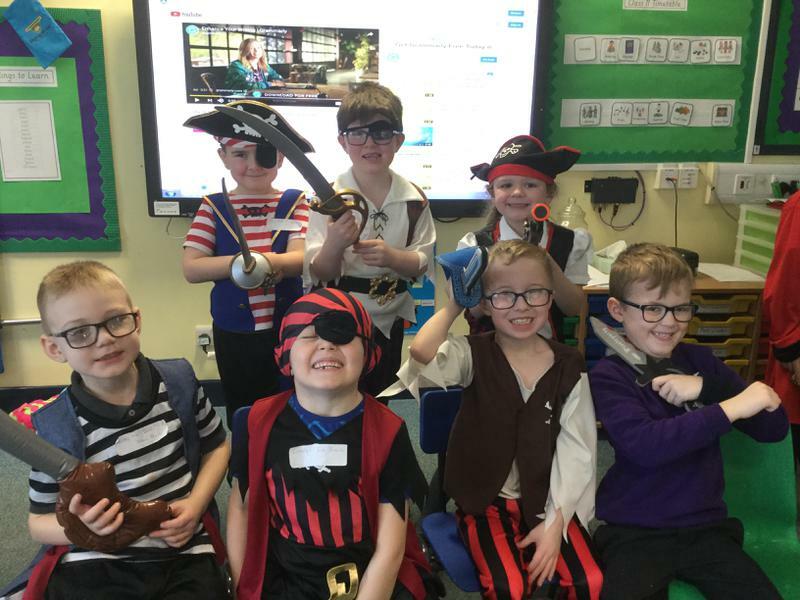 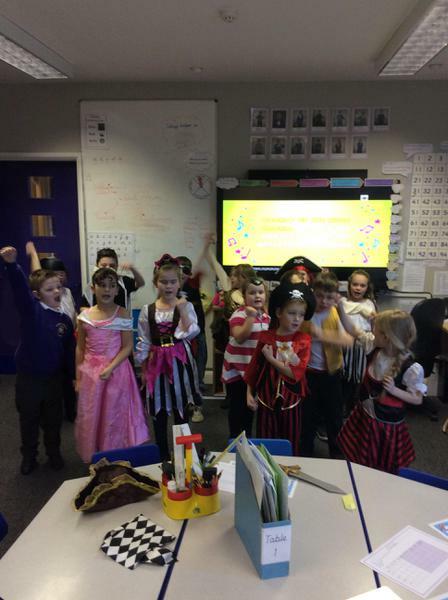 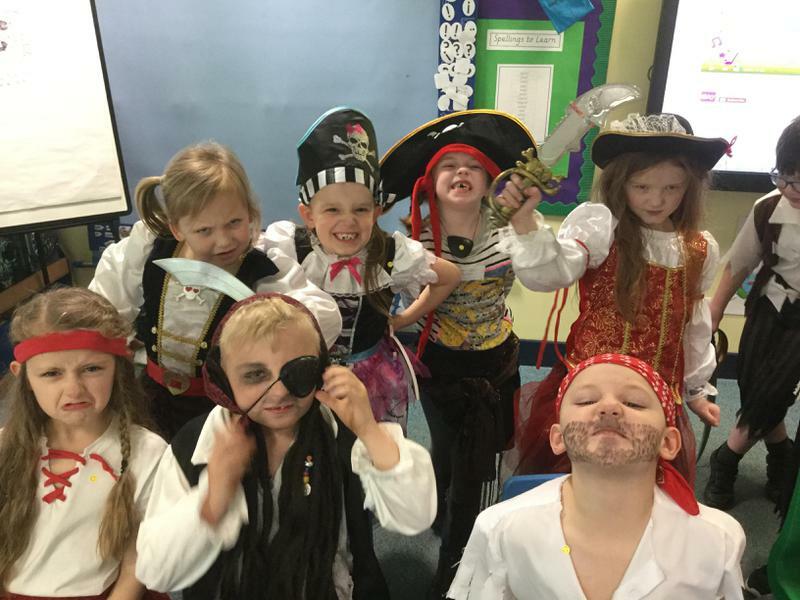 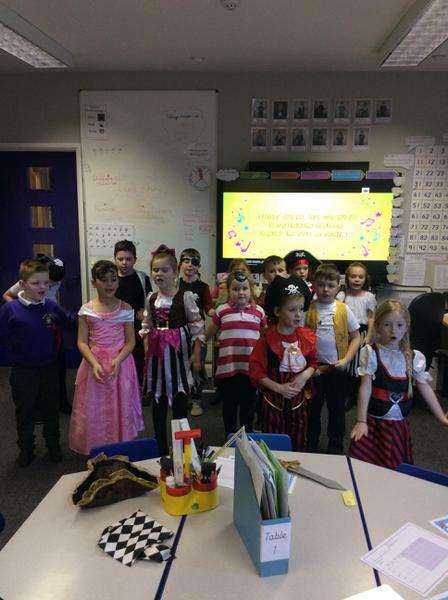 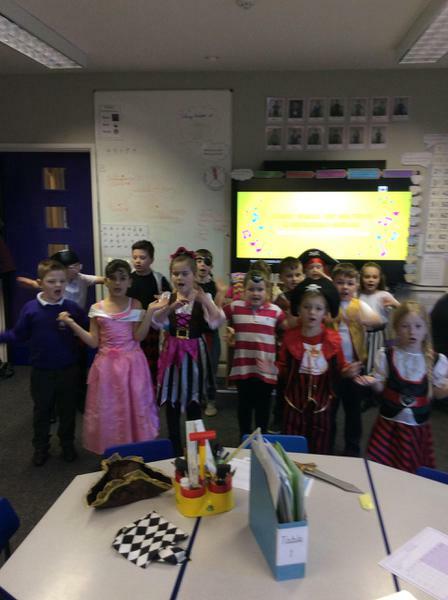 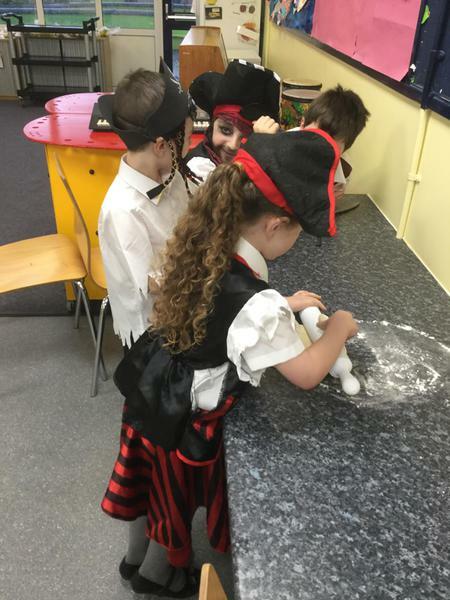 We had a brilliant WOW day where we all dressed up as pirates. 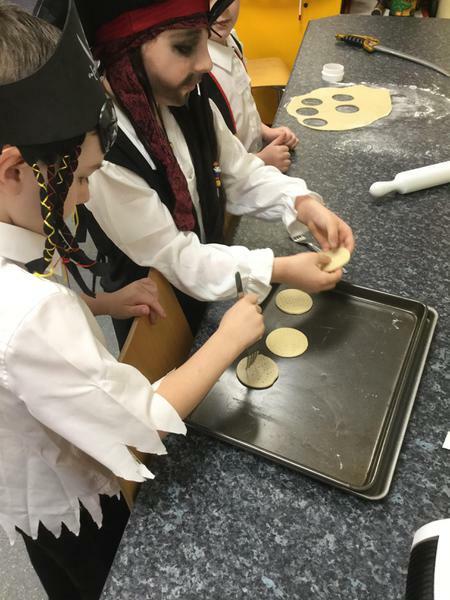 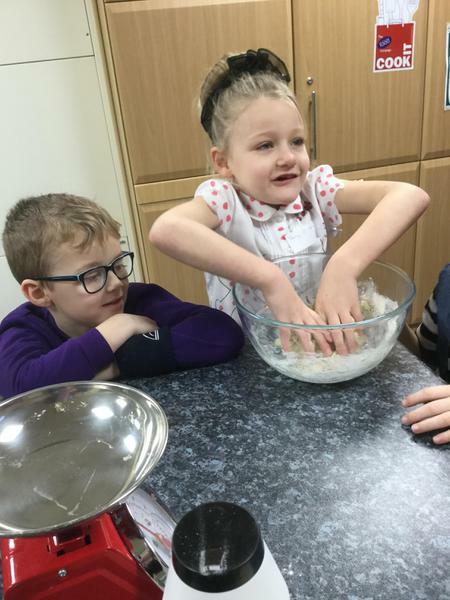 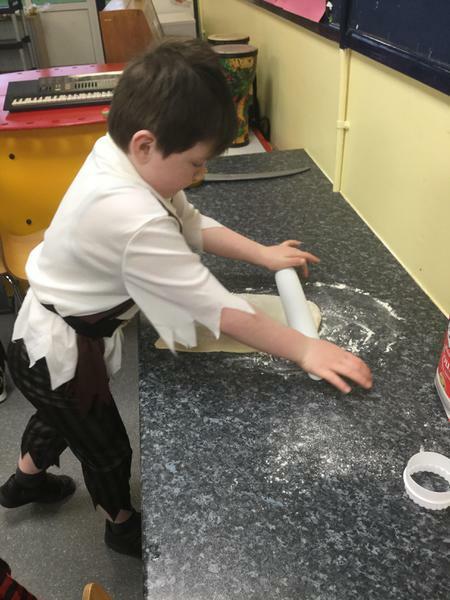 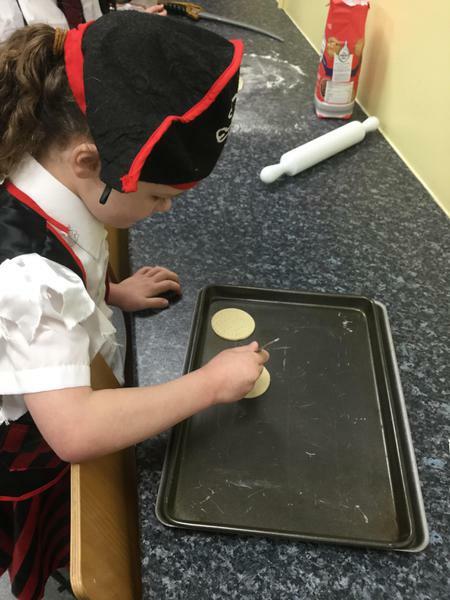 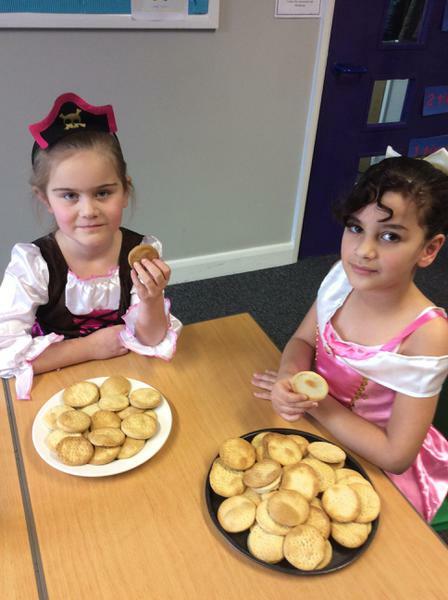 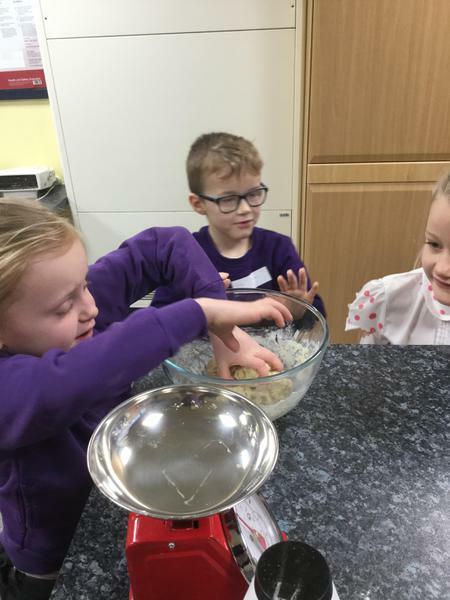 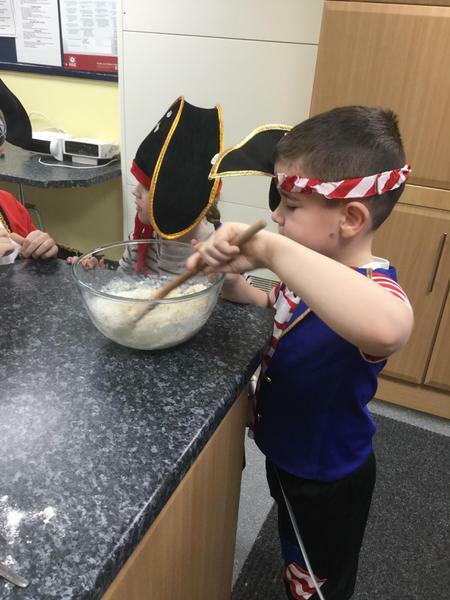 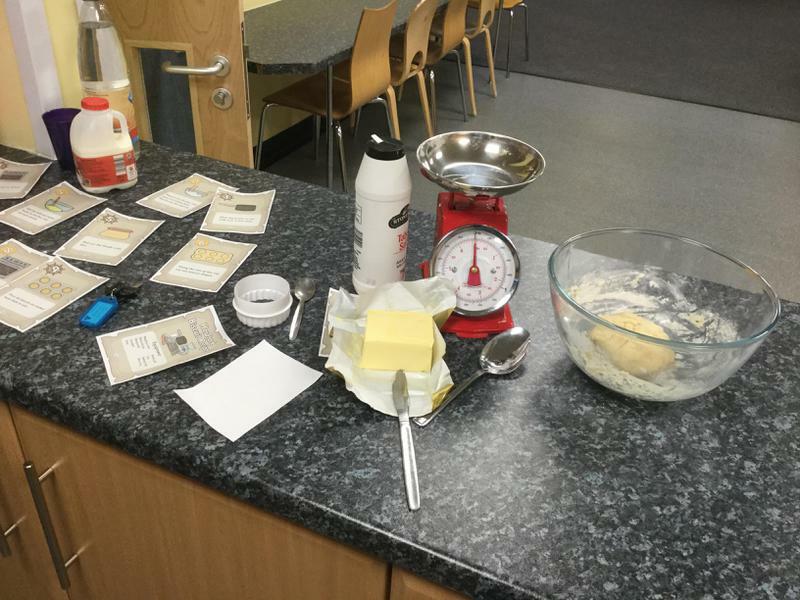 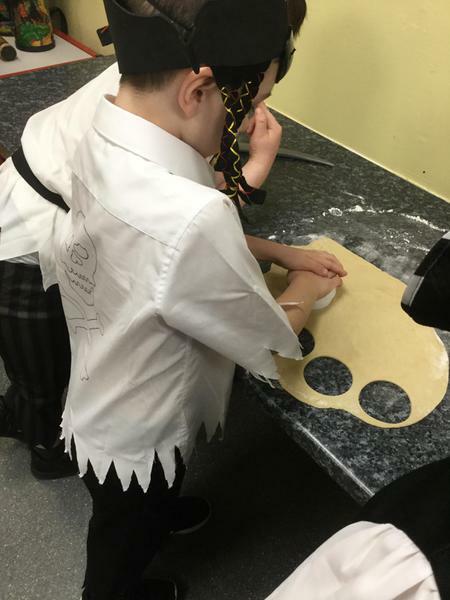 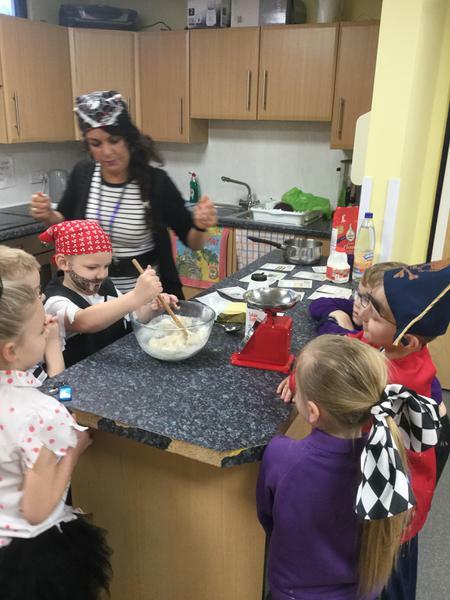 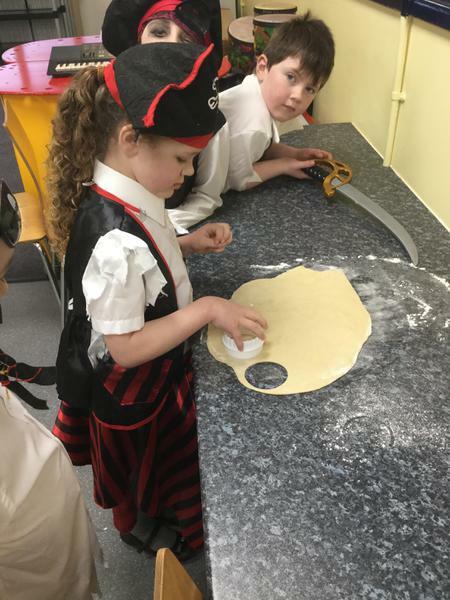 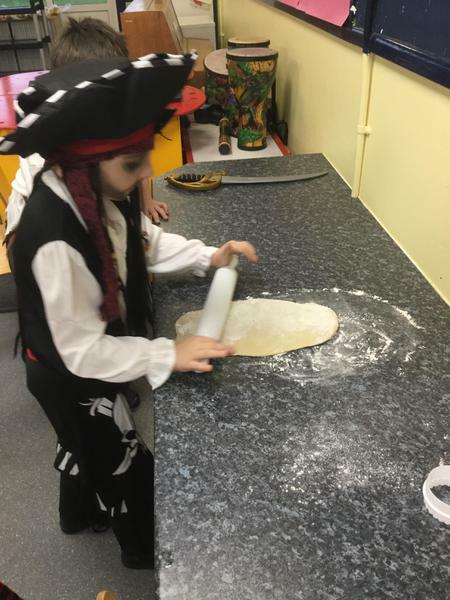 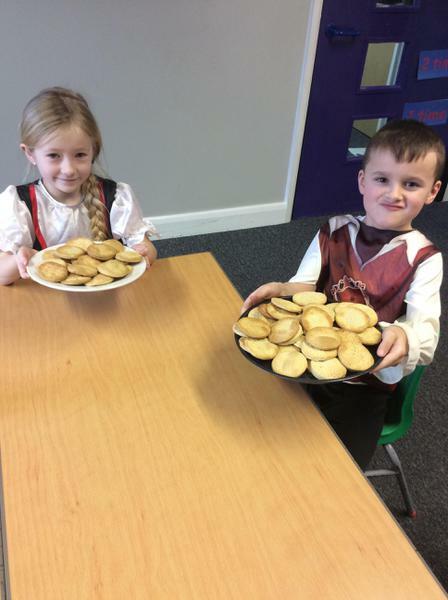 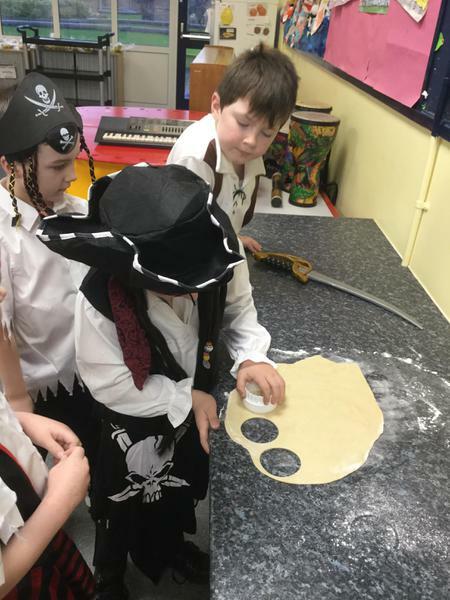 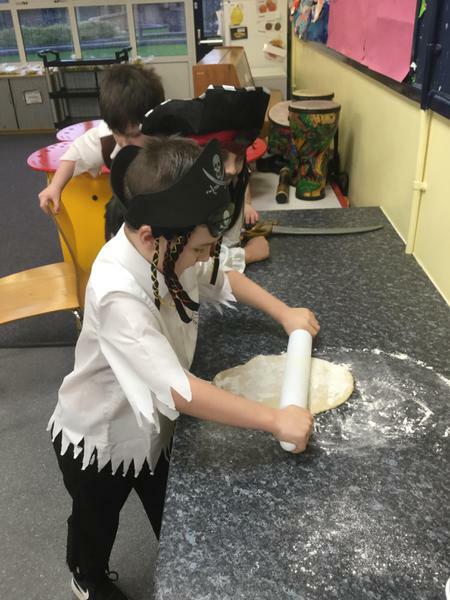 We also sang sea shanties, made hard tack biscuits and talked like pirates! 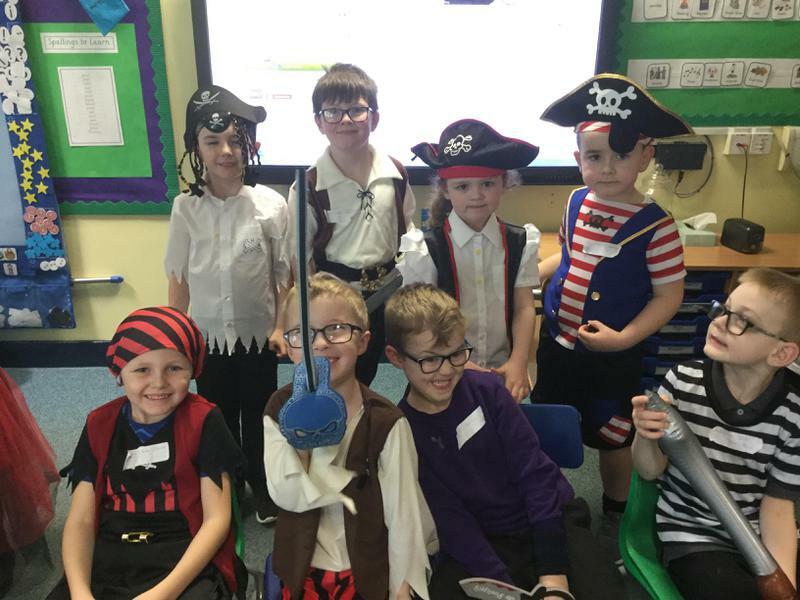 Thank you to all of the parents and carers who made fantastic costumes and came to watch the children perform their songs. 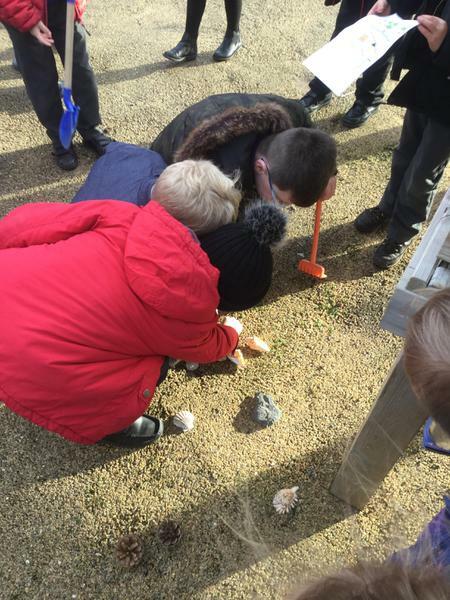 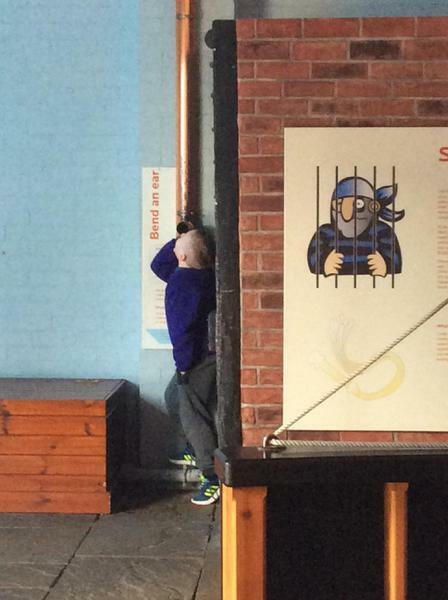 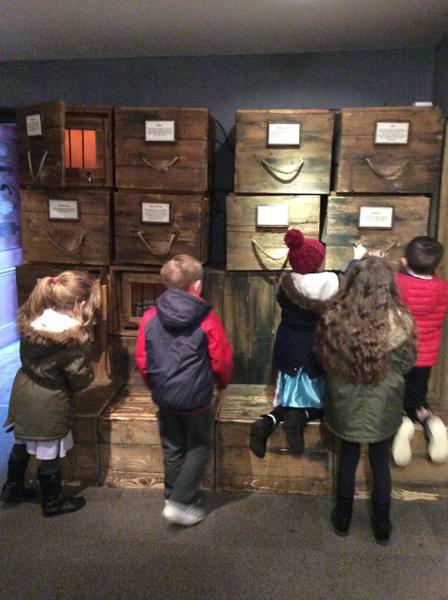 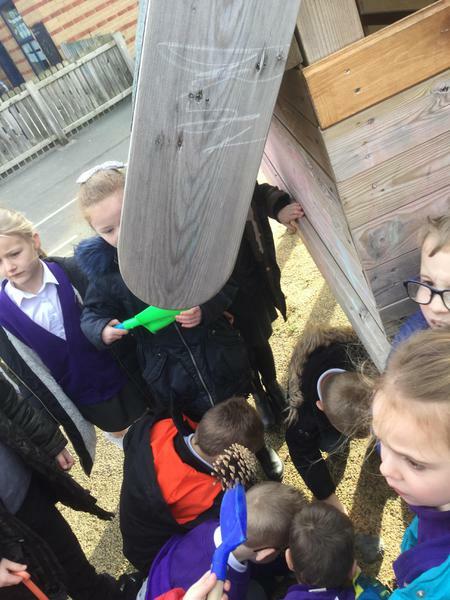 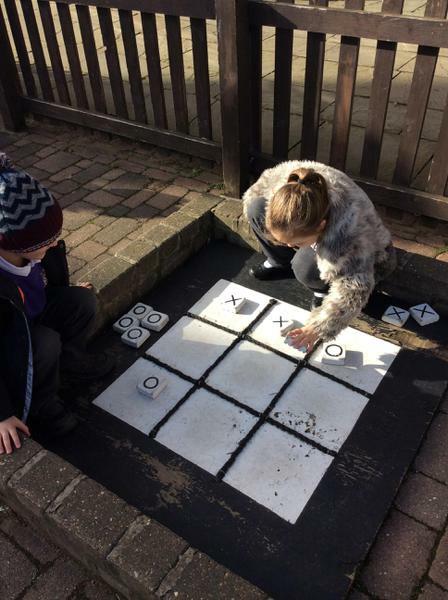 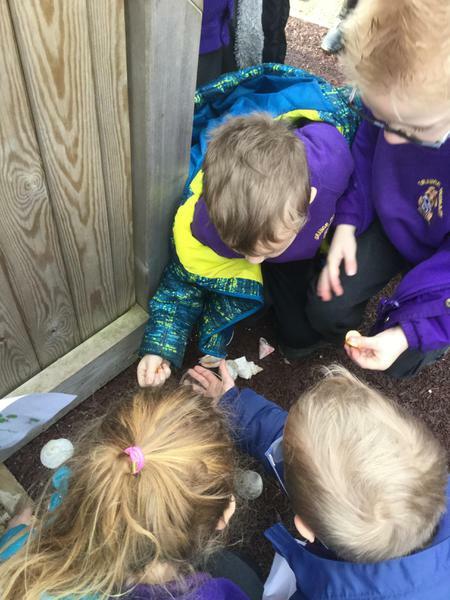 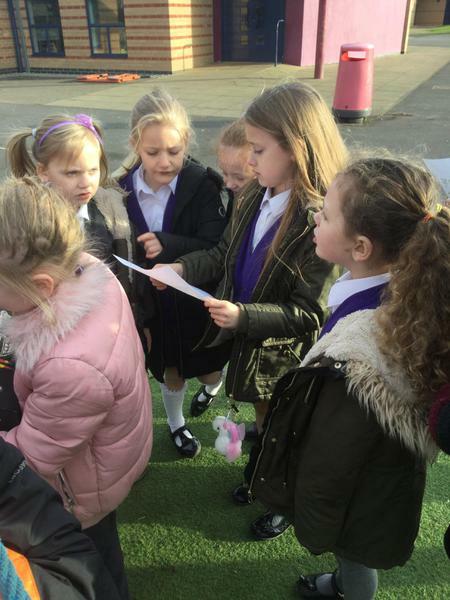 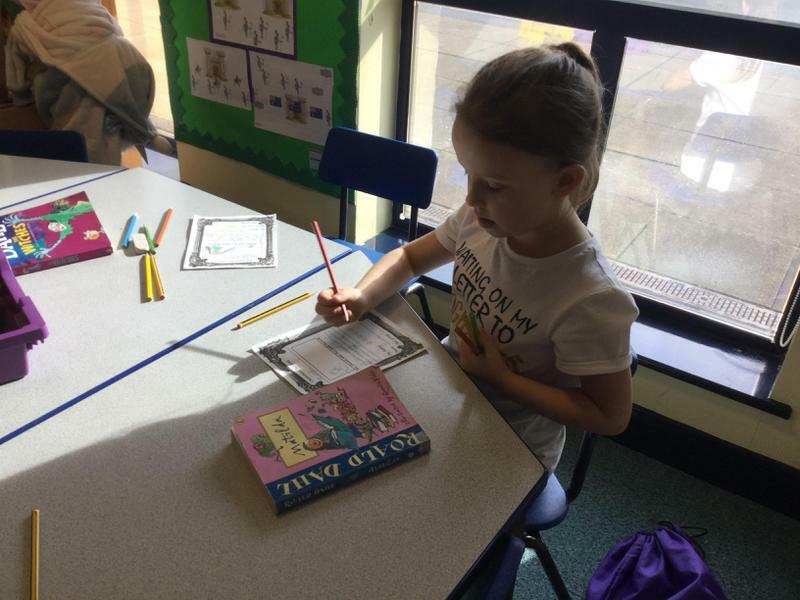 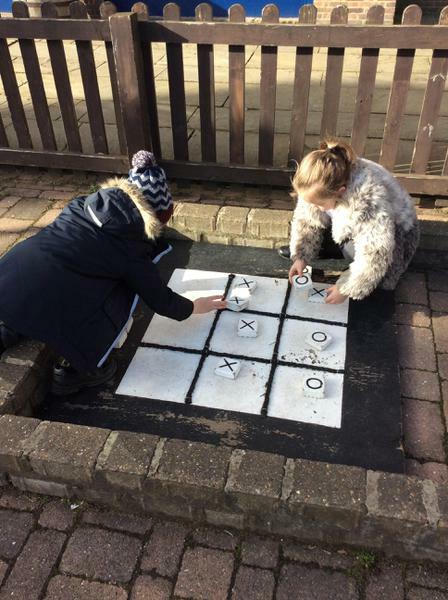 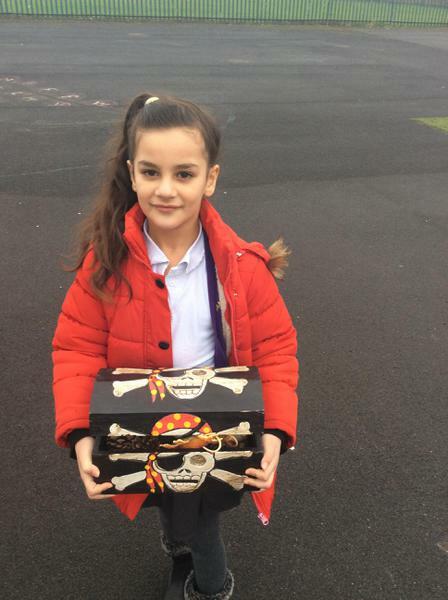 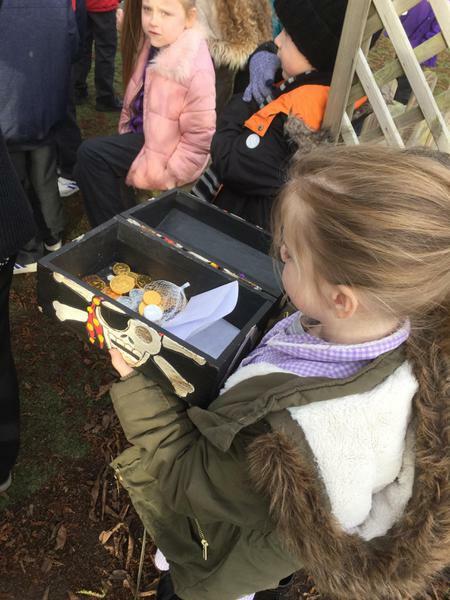 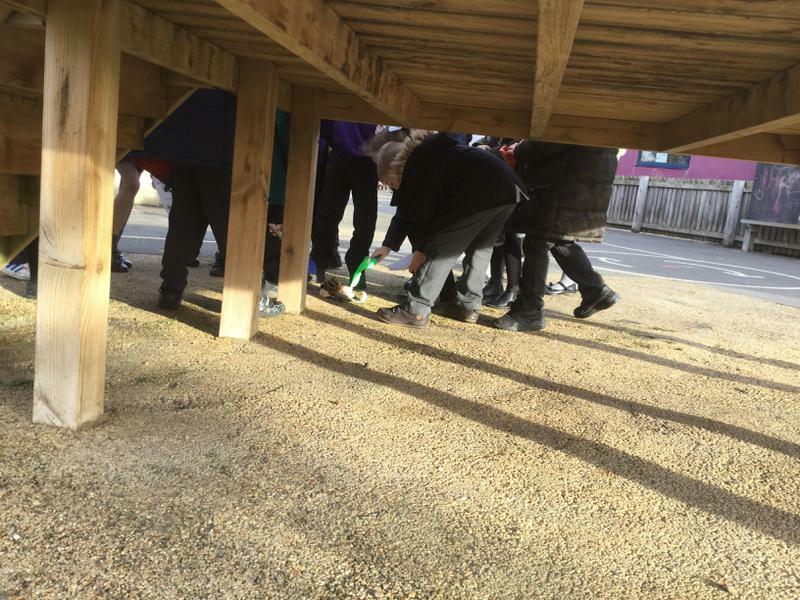 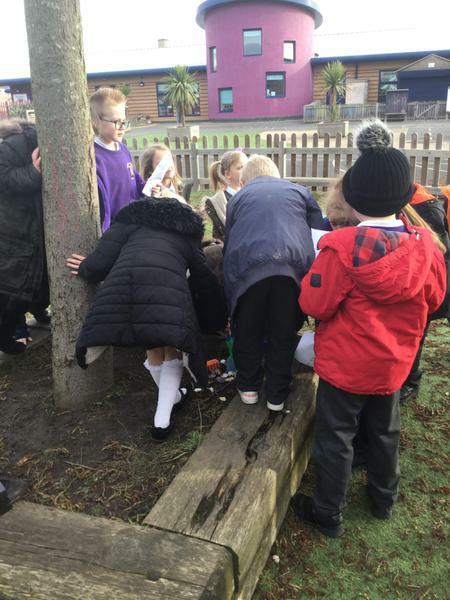 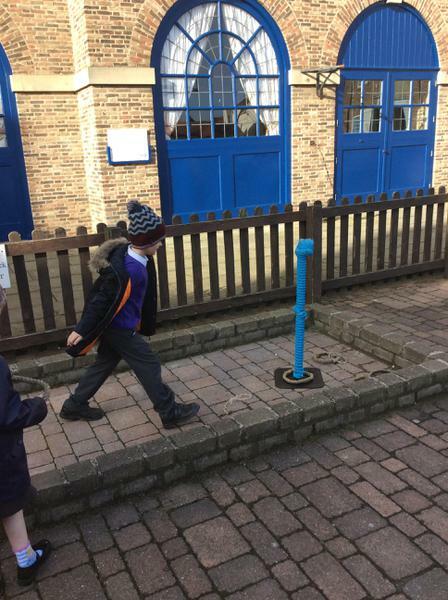 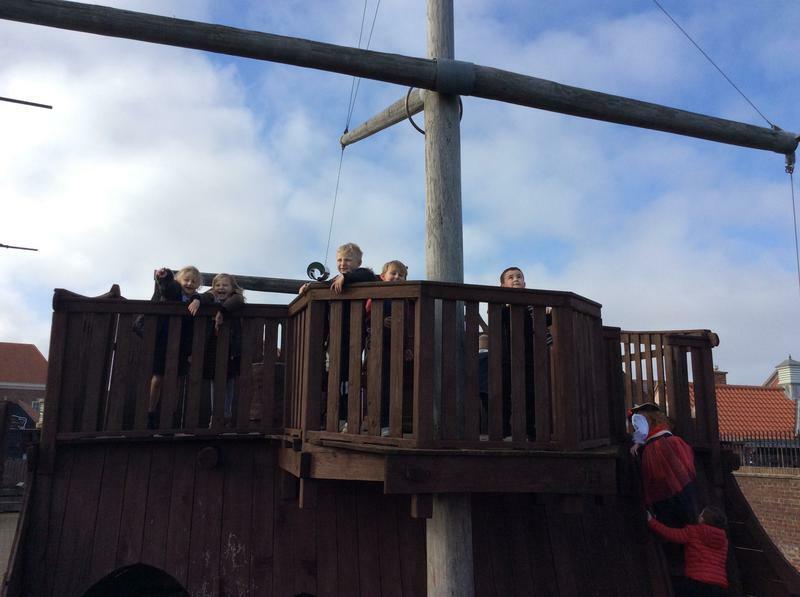 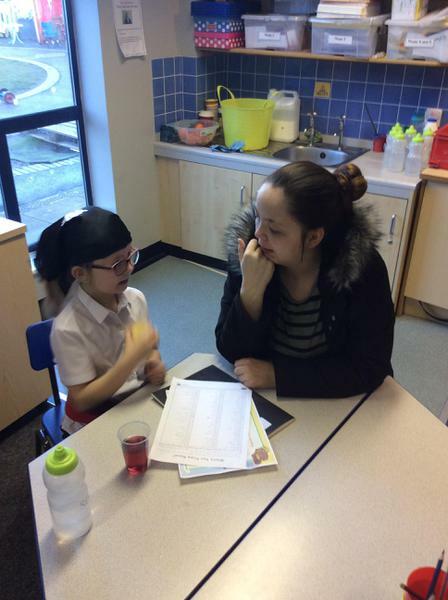 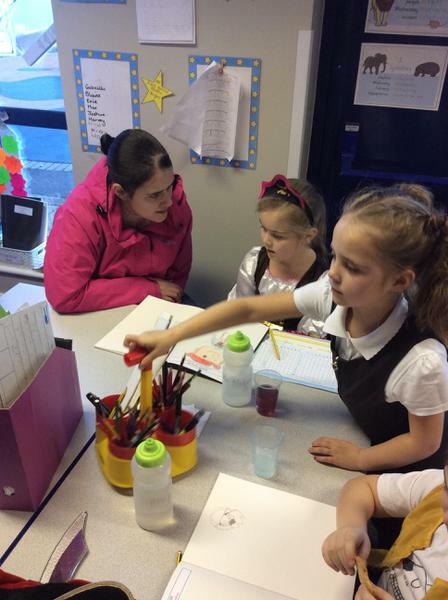 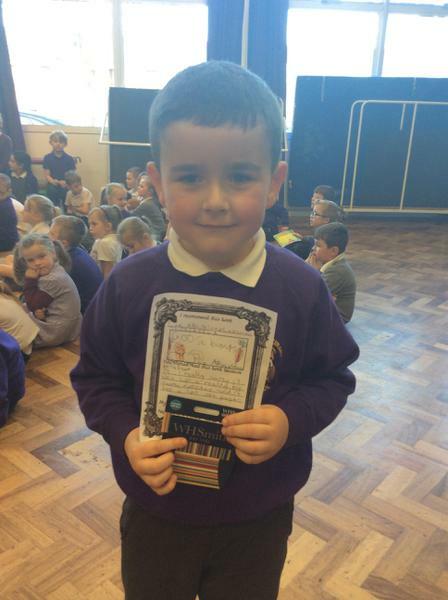 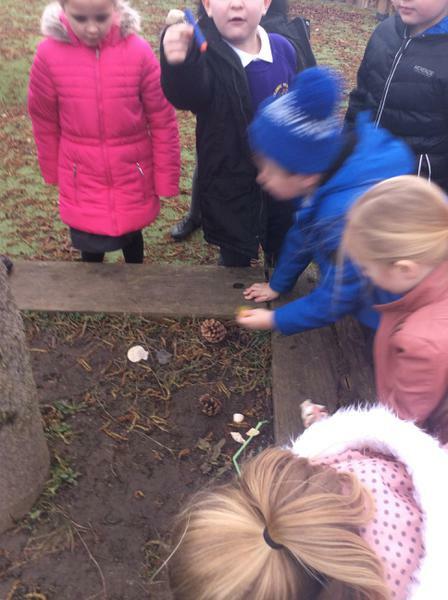 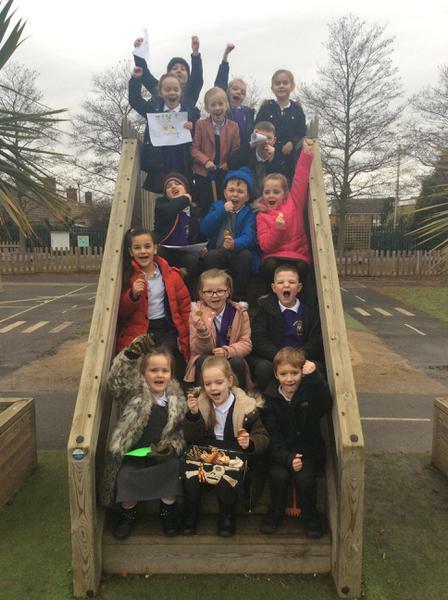 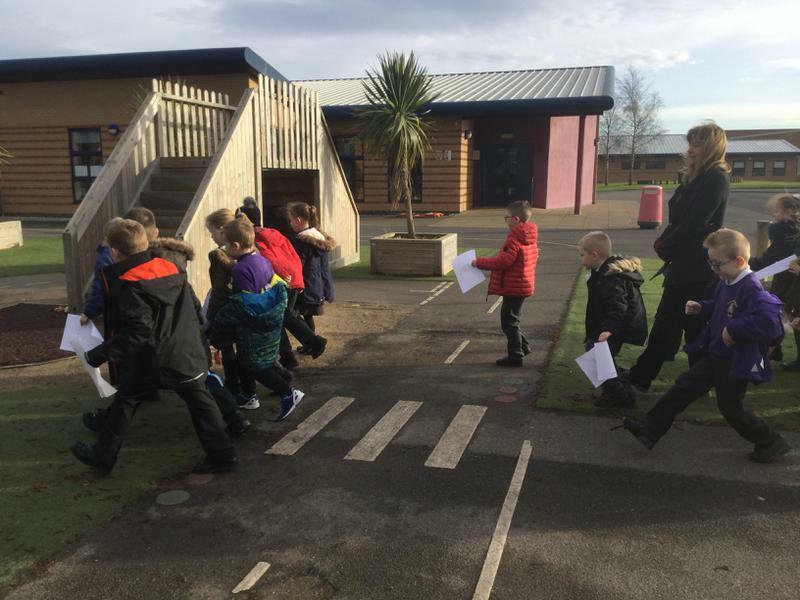 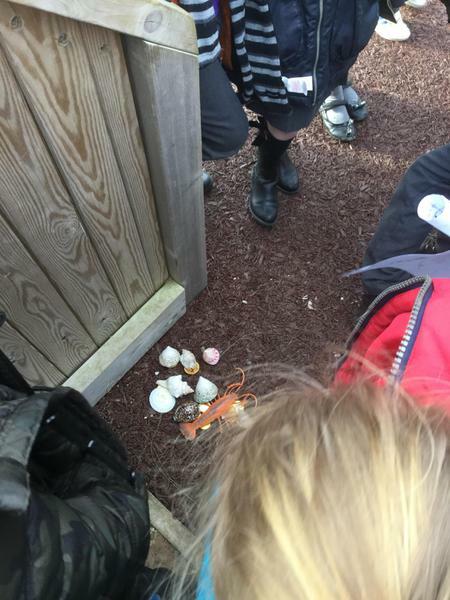 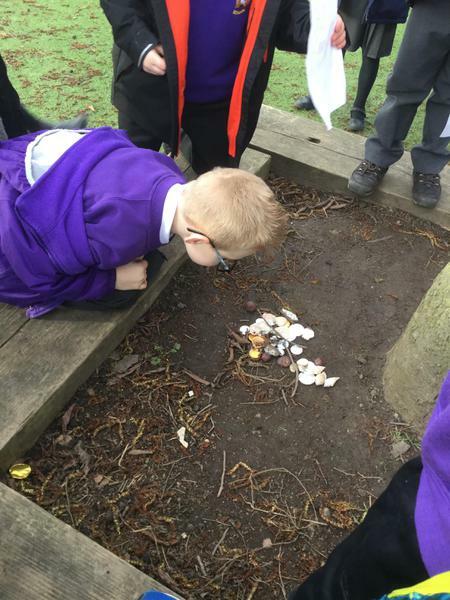 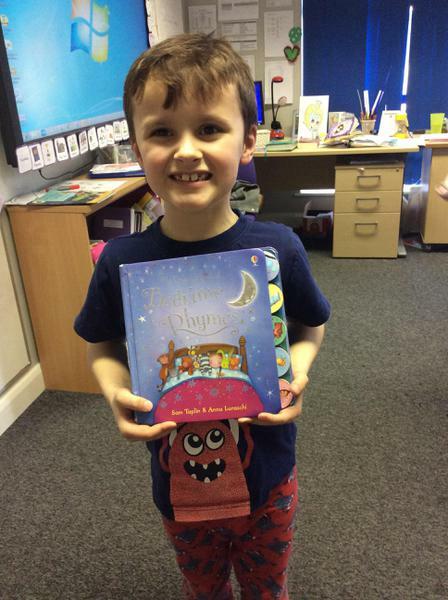 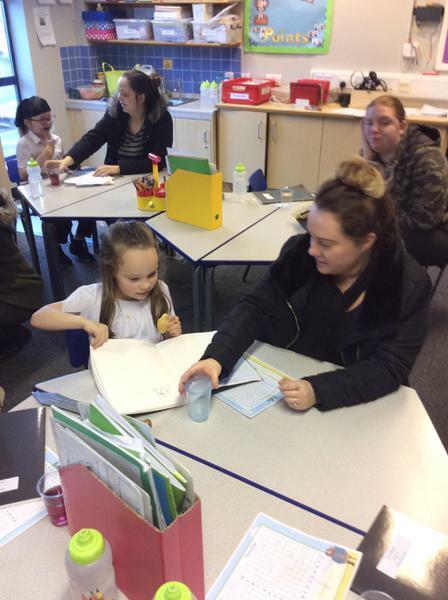 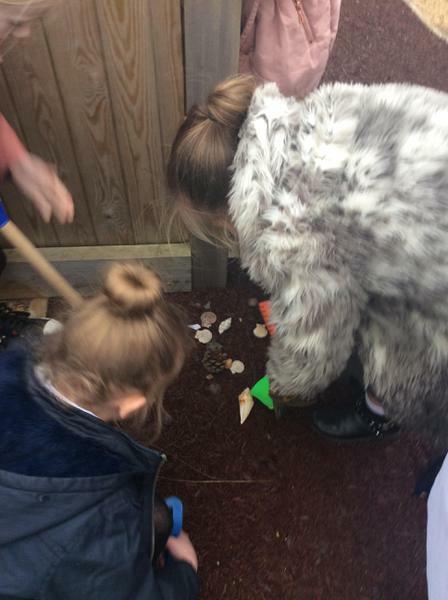 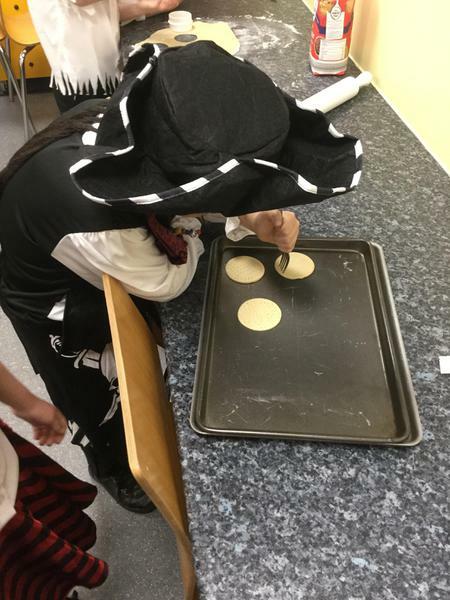 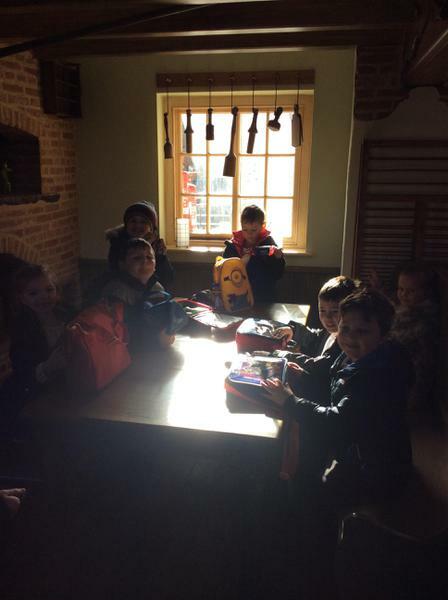 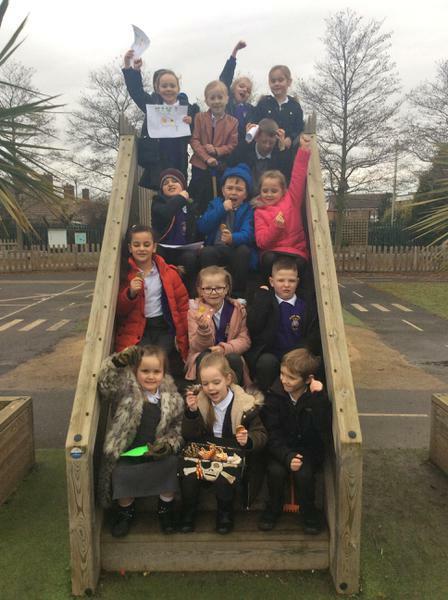 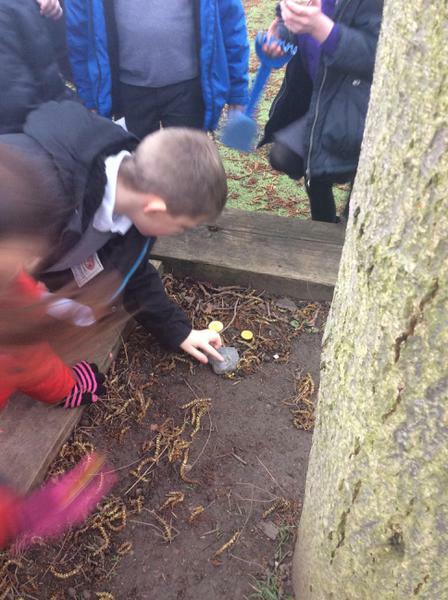 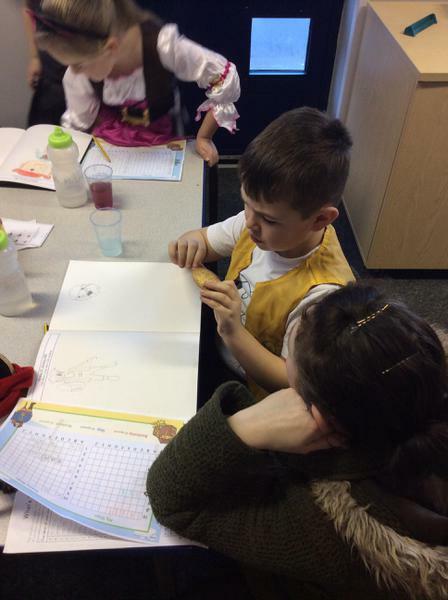 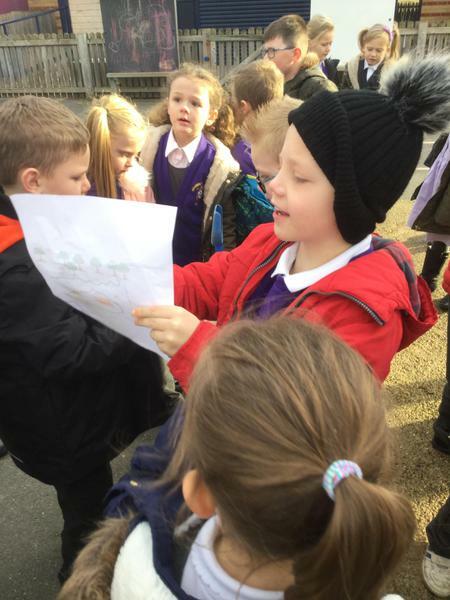 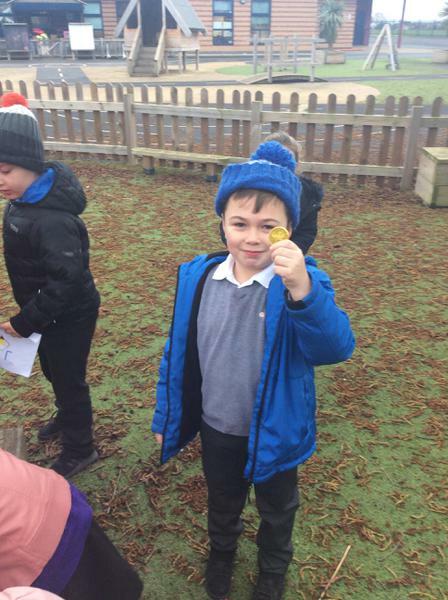 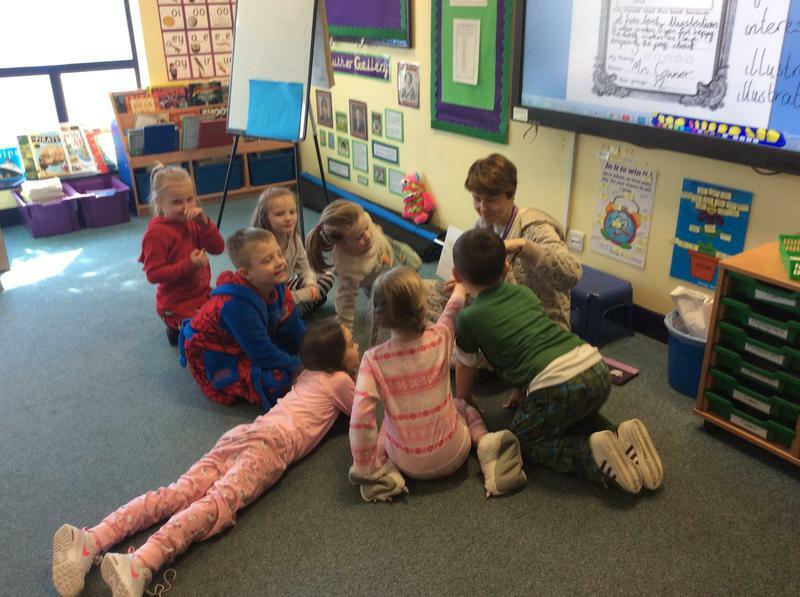 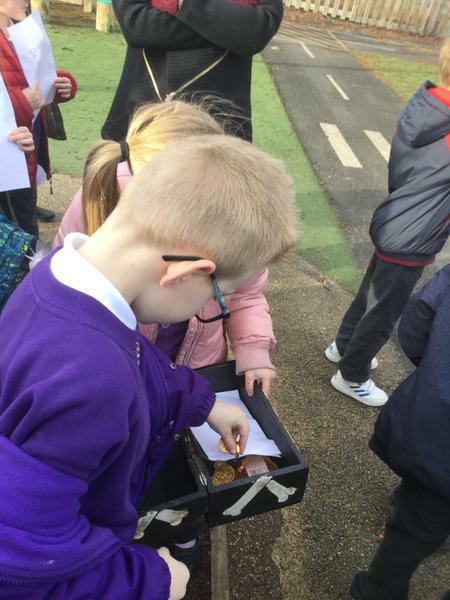 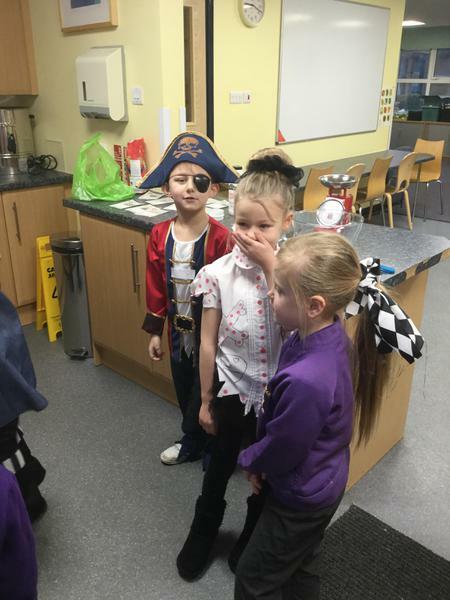 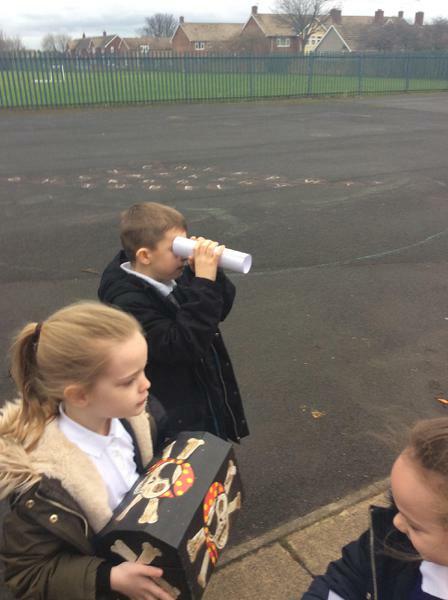 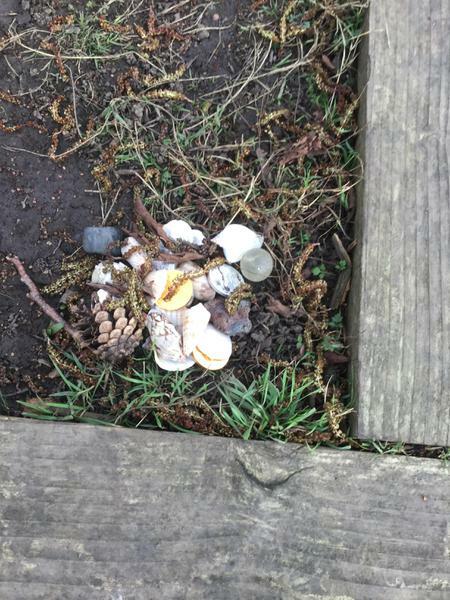 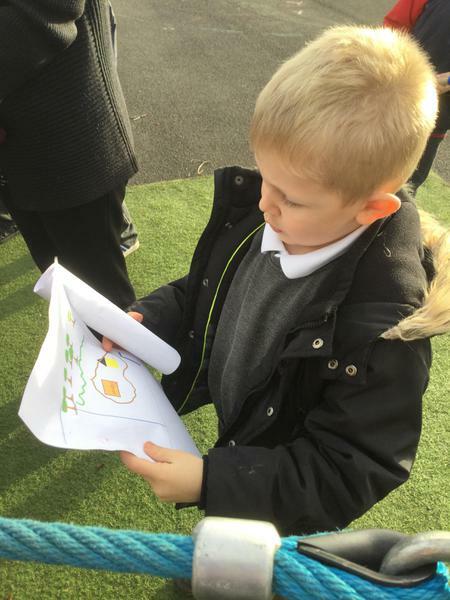 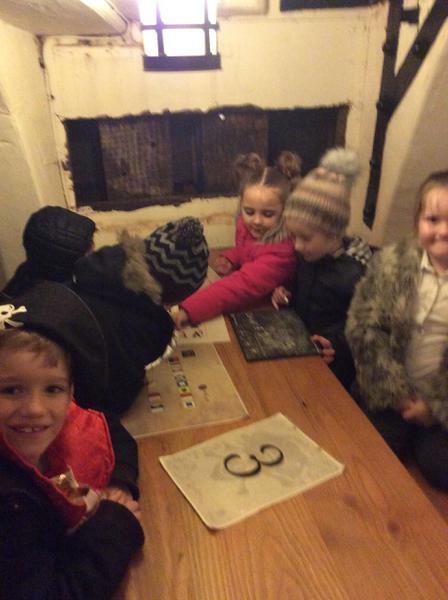 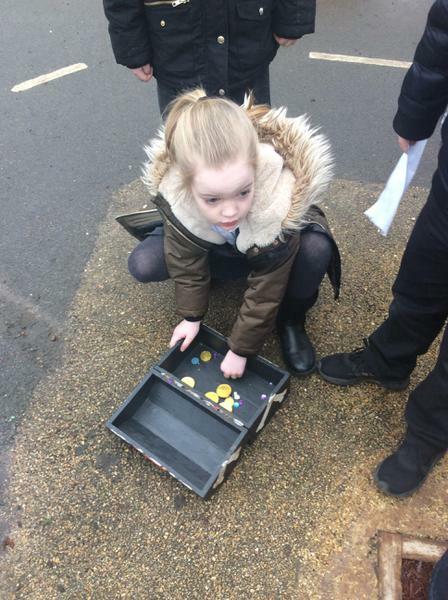 To help the children write instructions for Pirate Pete, who had lost his treasure, both classes had a treasure hunt. 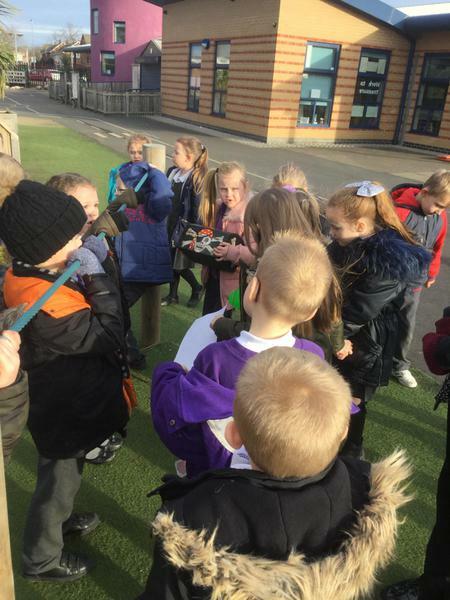 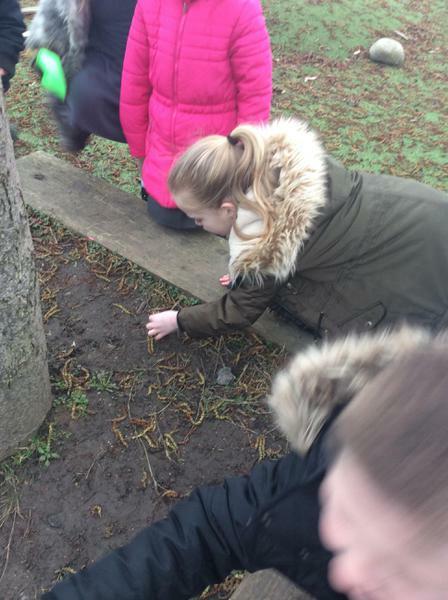 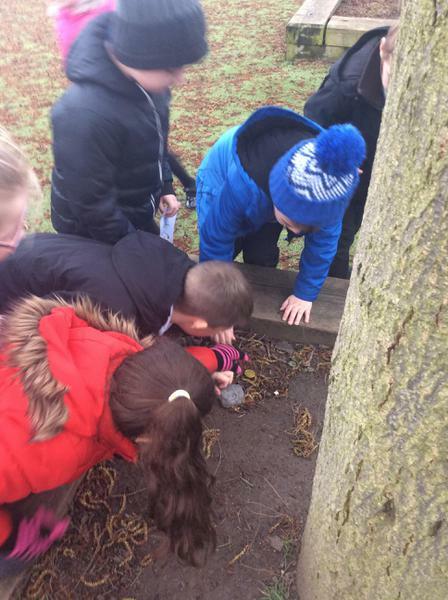 We collected our equipment and set out, following a map, to find gold! 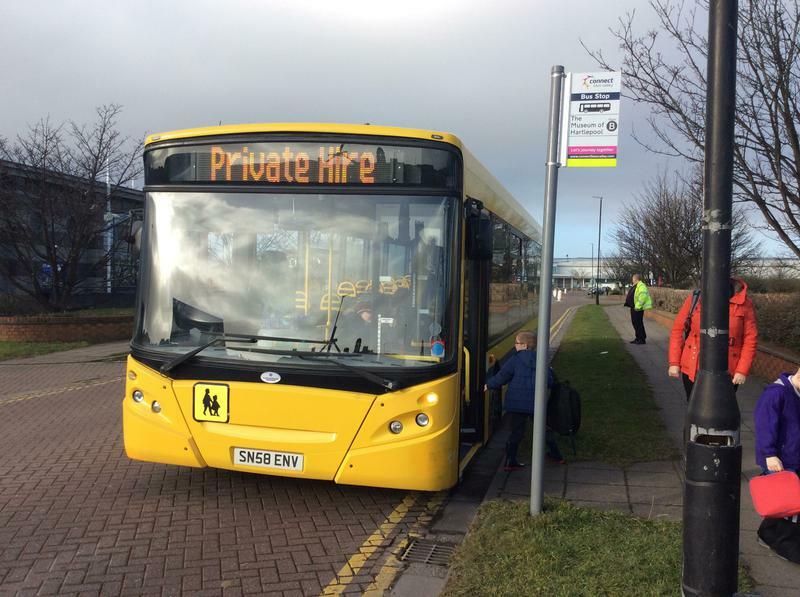 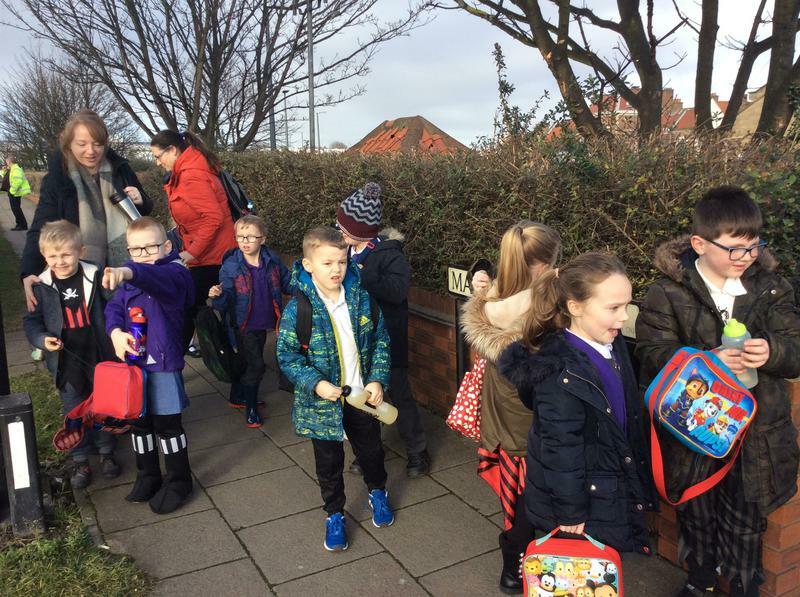 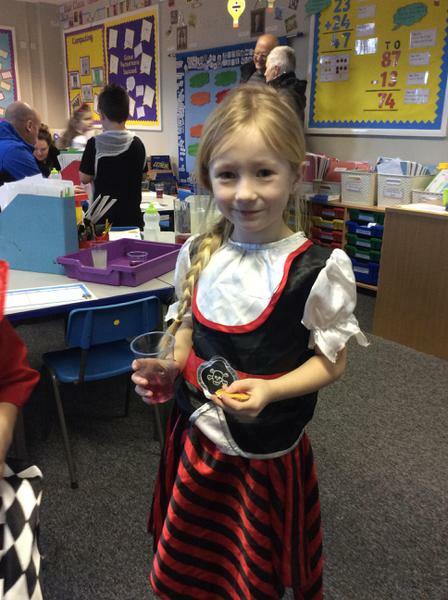 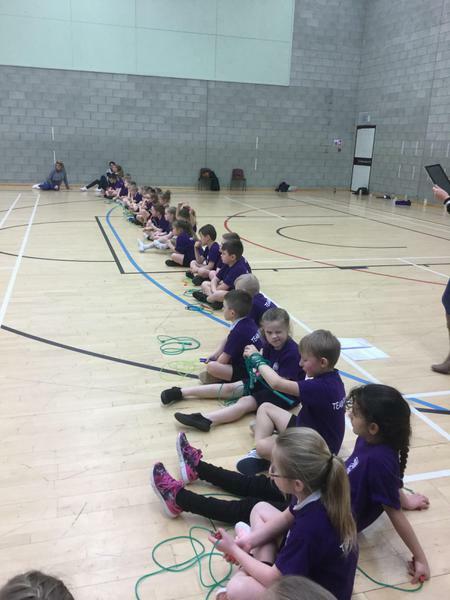 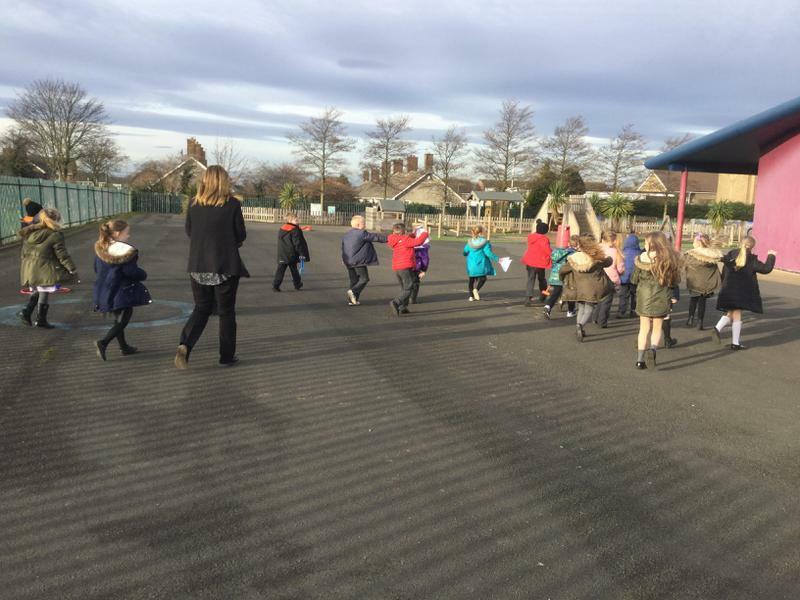 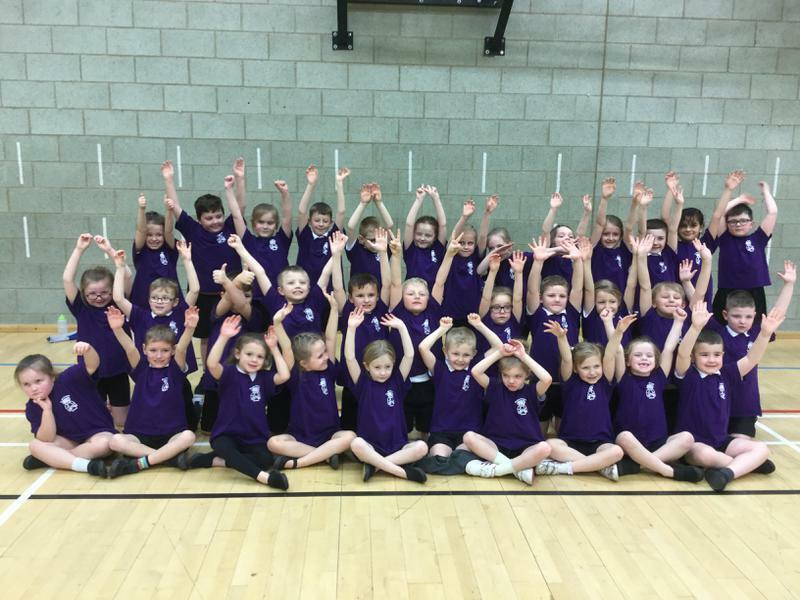 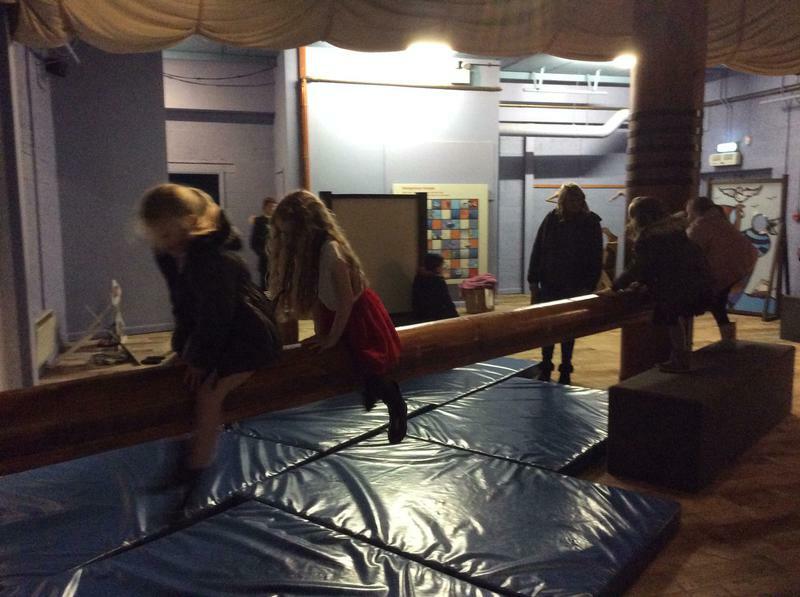 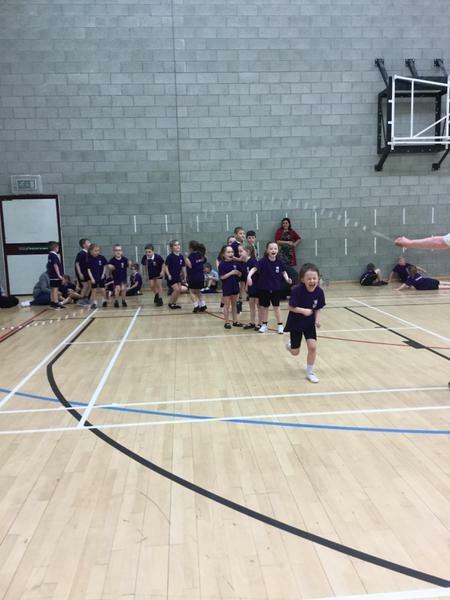 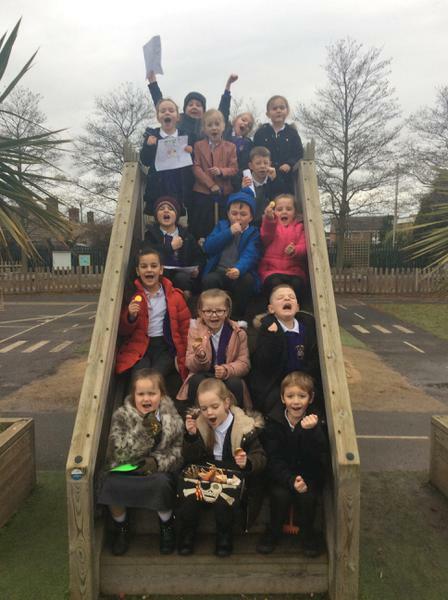 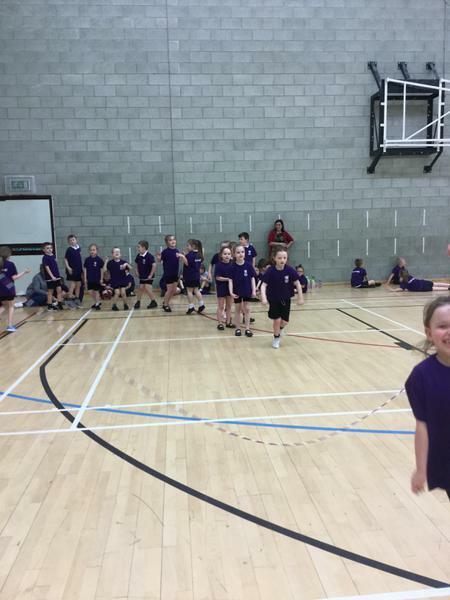 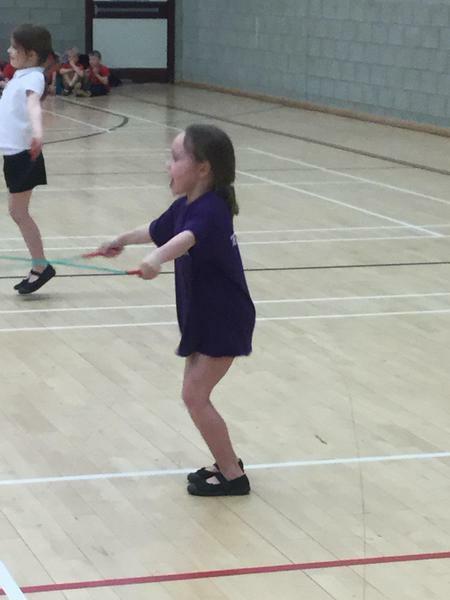 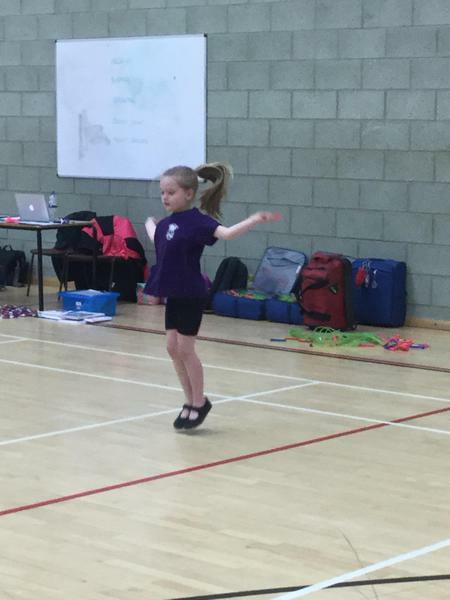 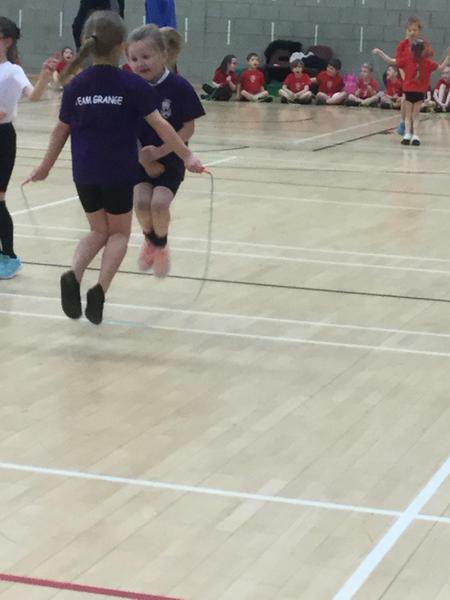 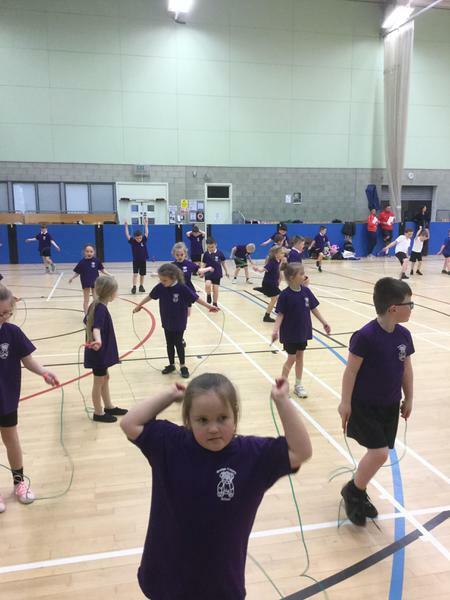 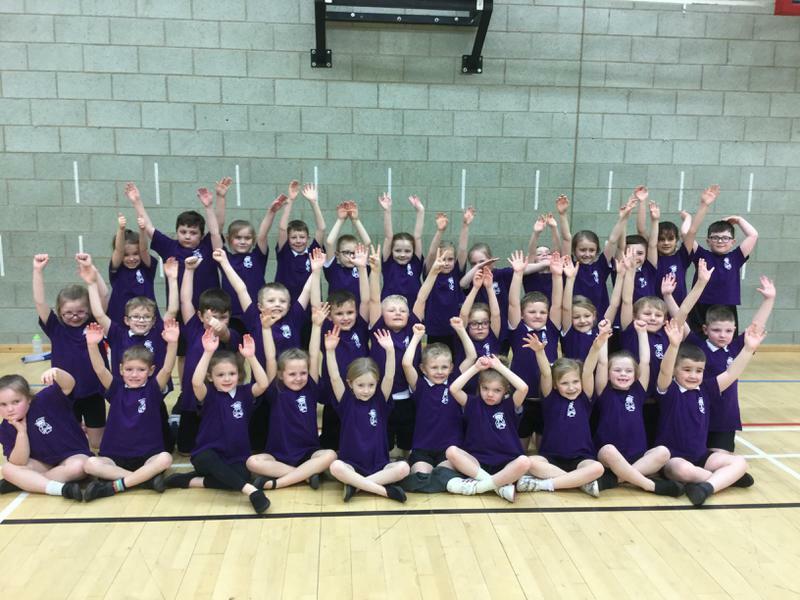 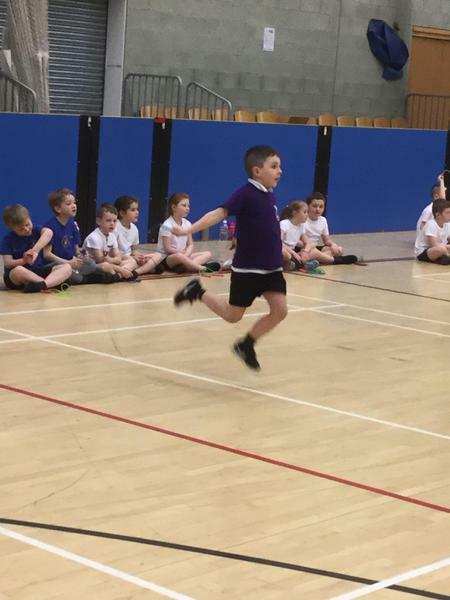 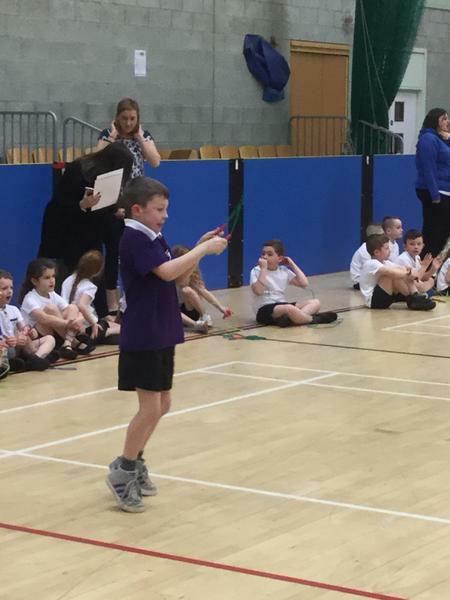 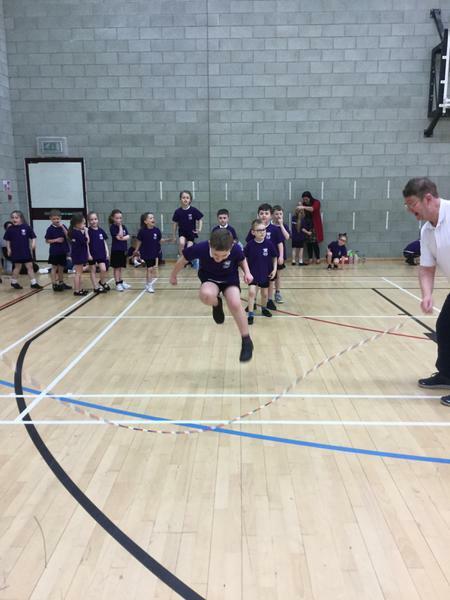 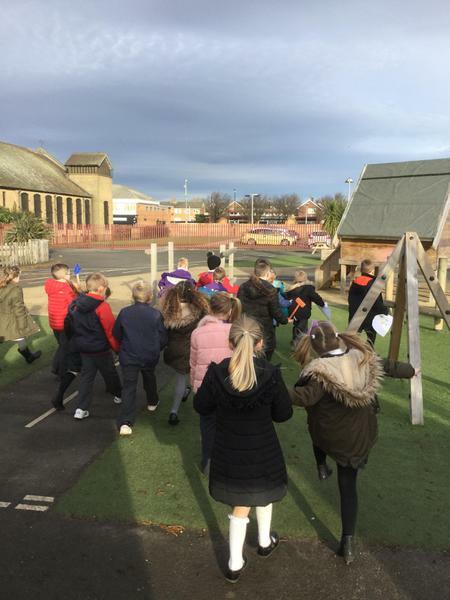 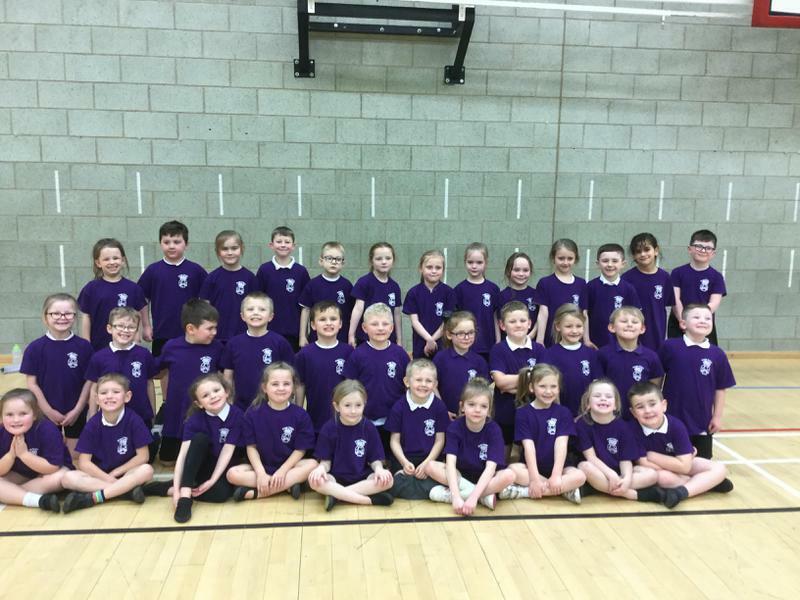 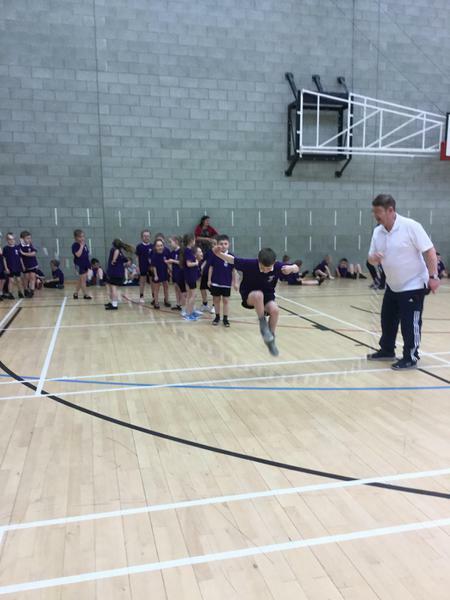 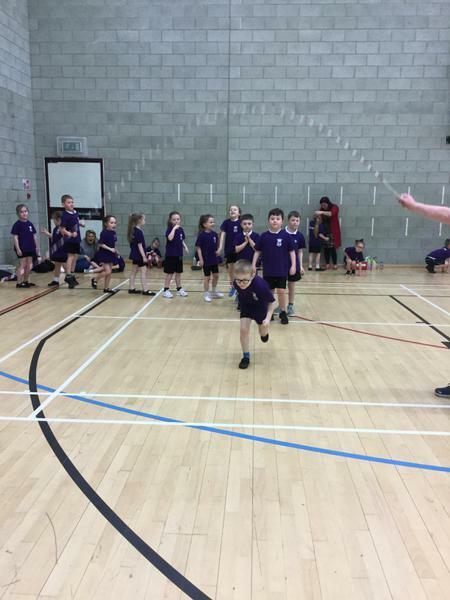 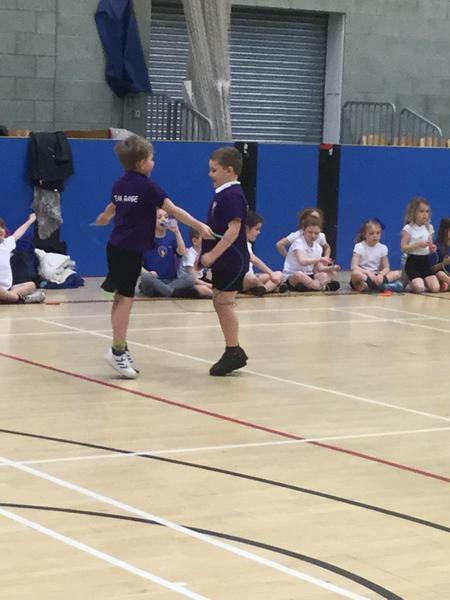 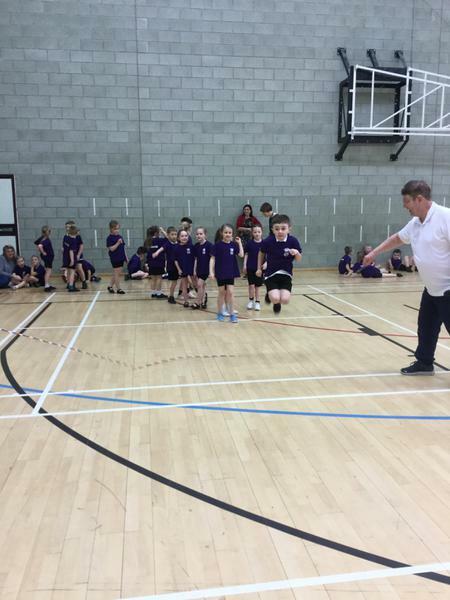 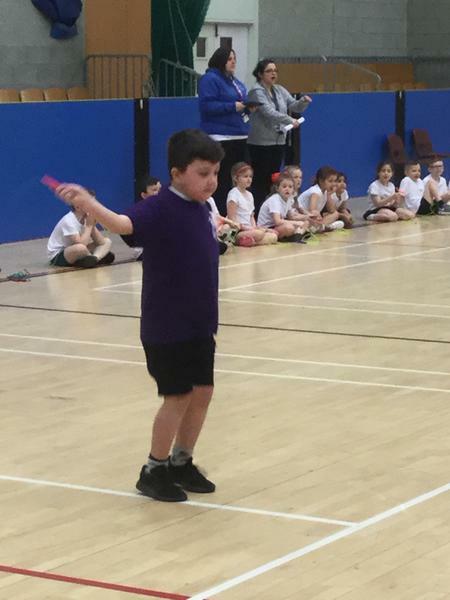 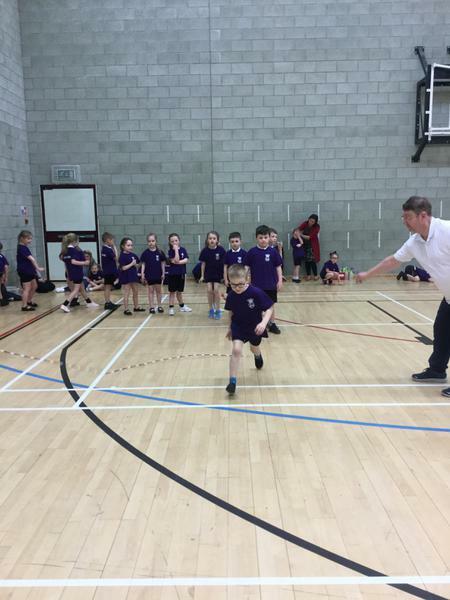 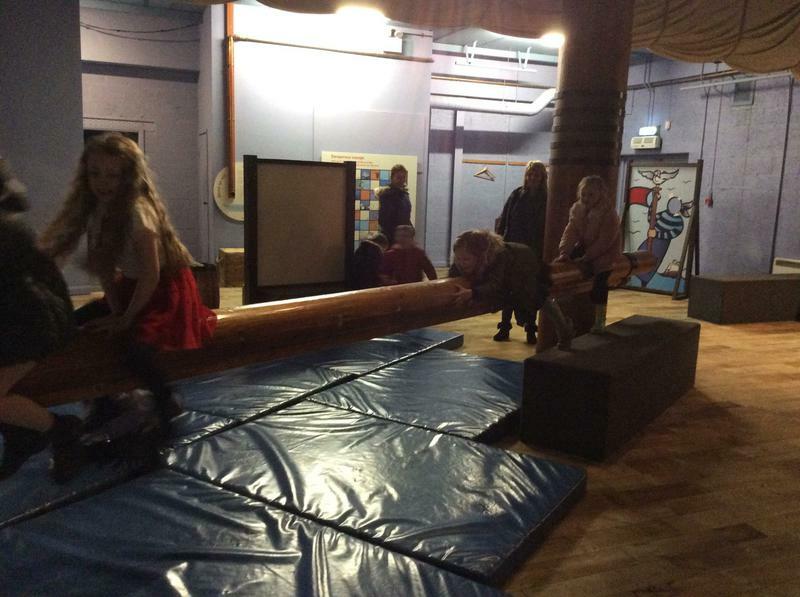 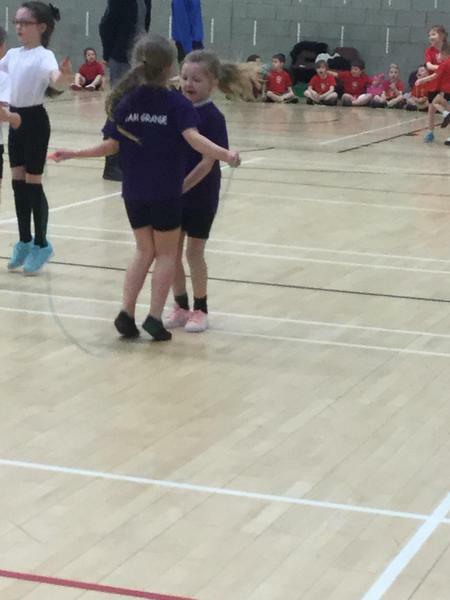 On Monday 5th February all of year 2 attended the Hartlepool Skipping Festival. 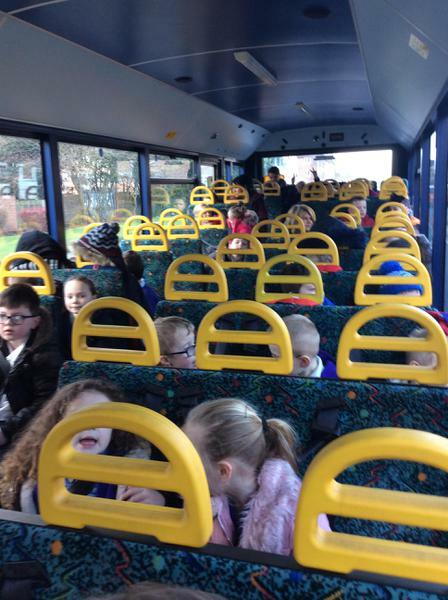 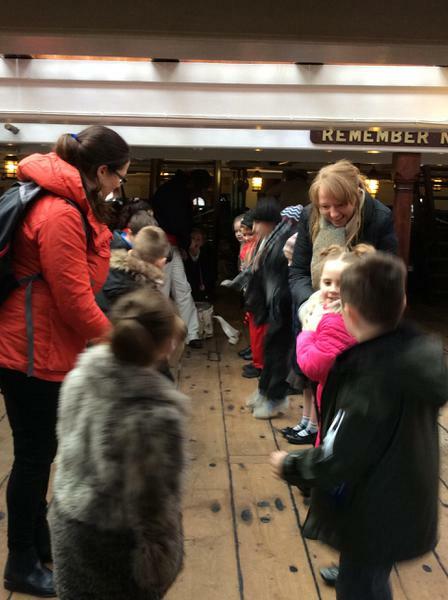 We had a great time skipping with children from three other local schools. 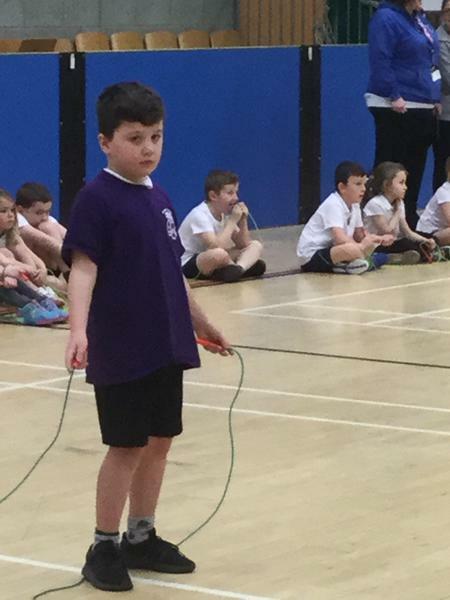 We also won the skipping competition! 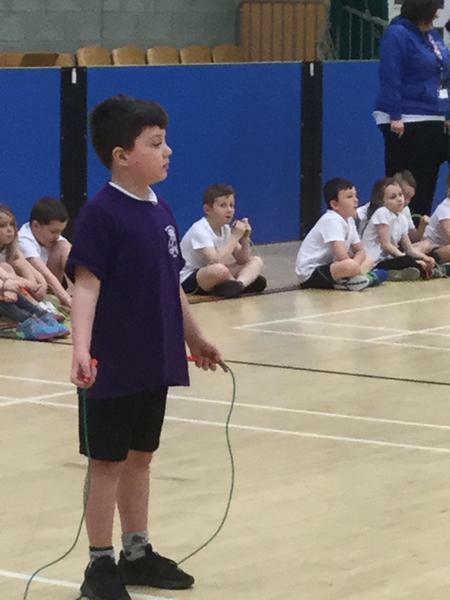 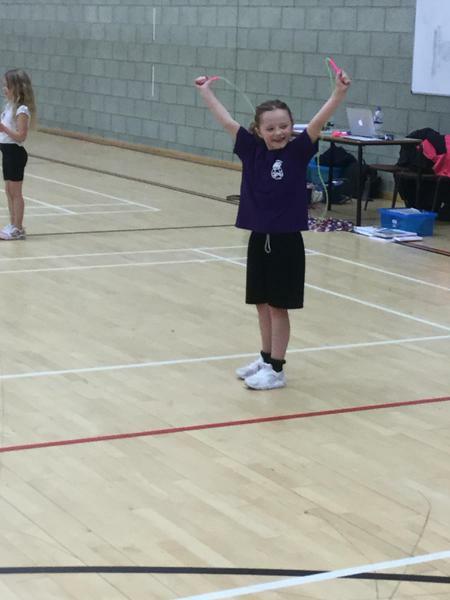 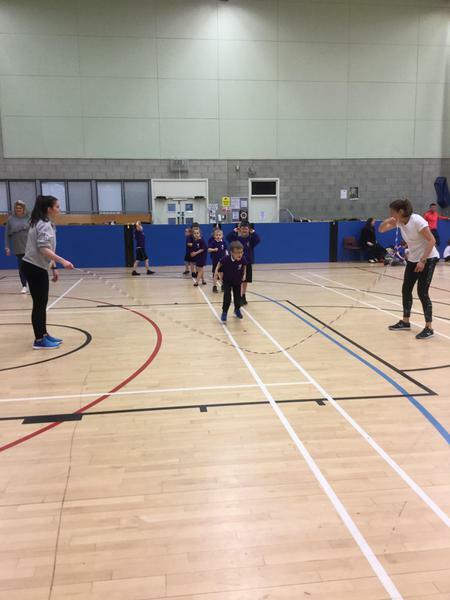 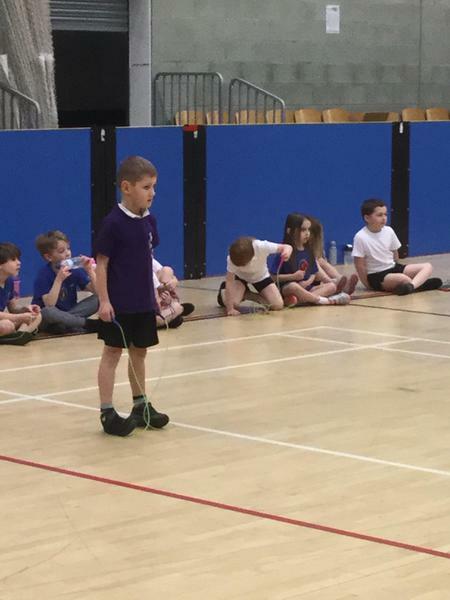 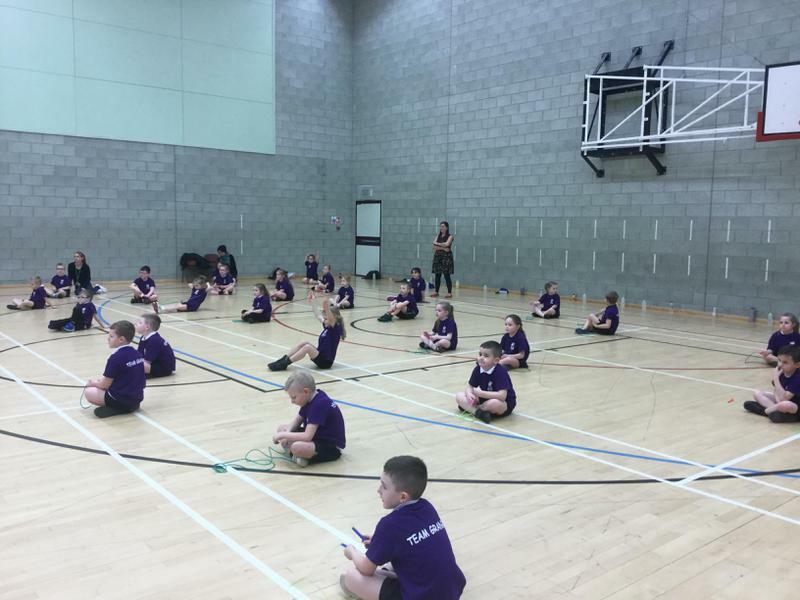 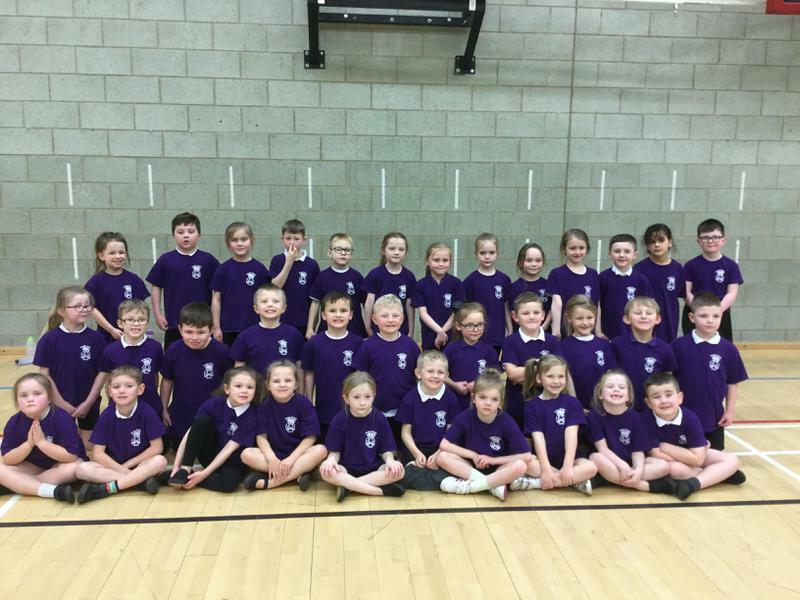 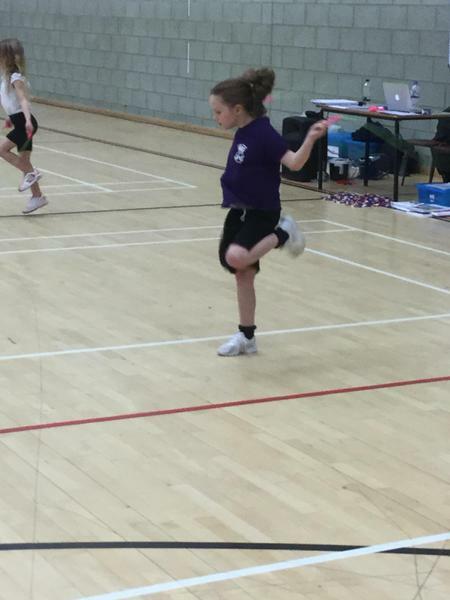 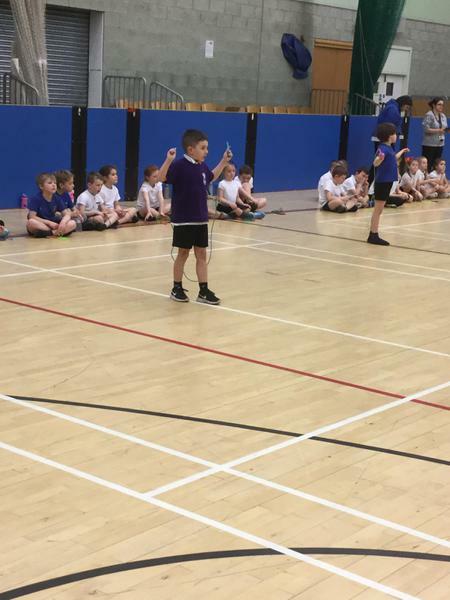 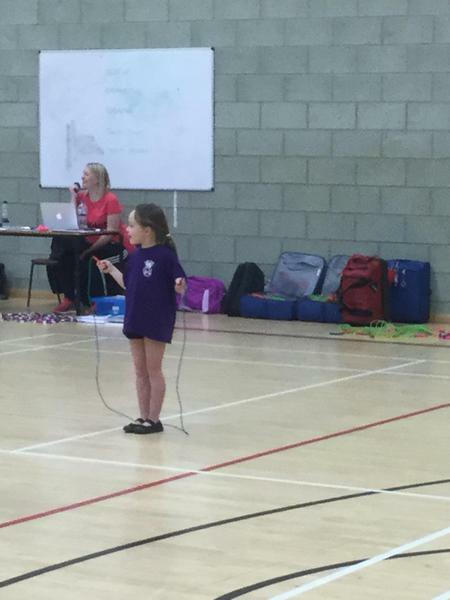 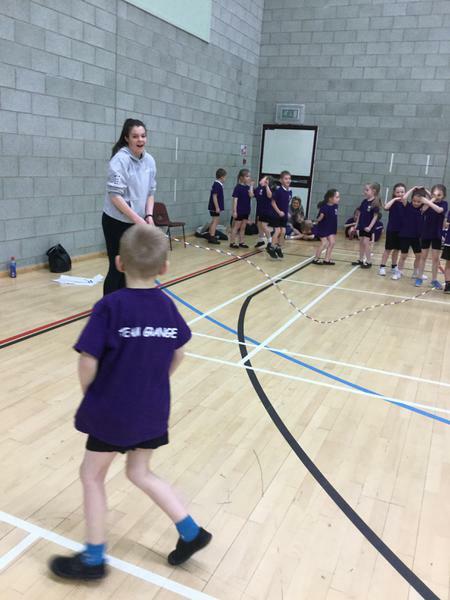 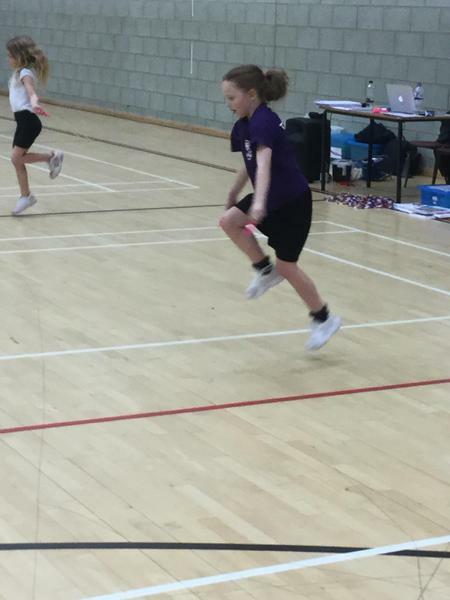 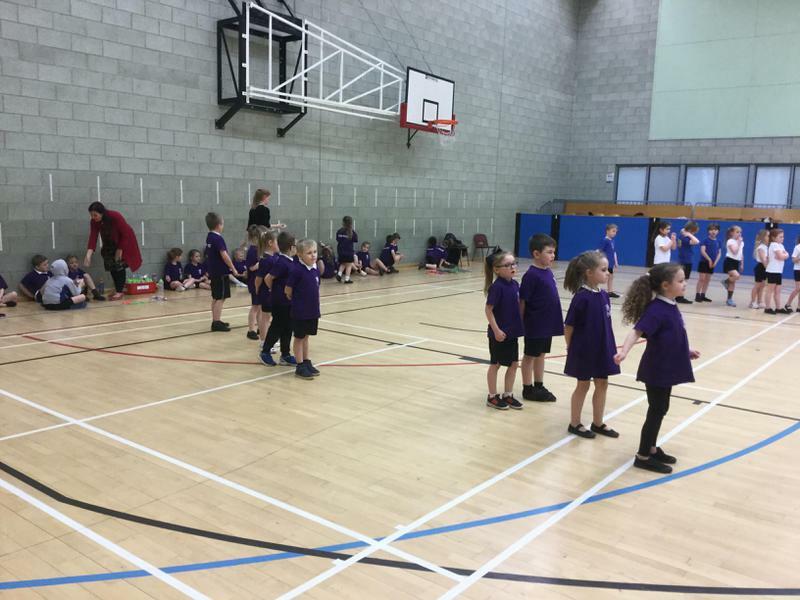 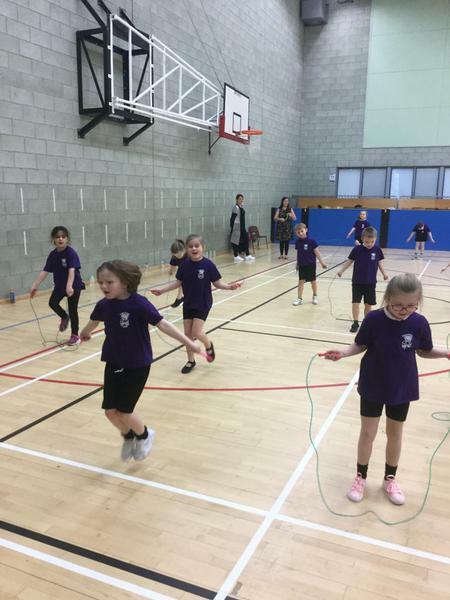 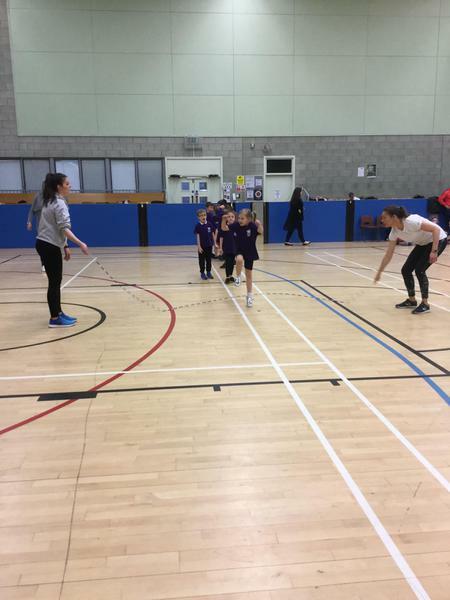 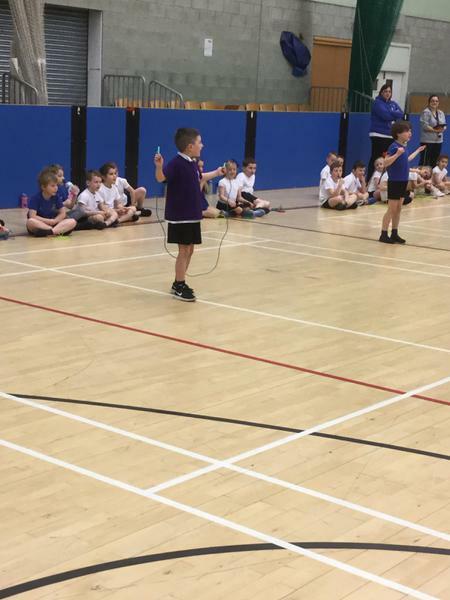 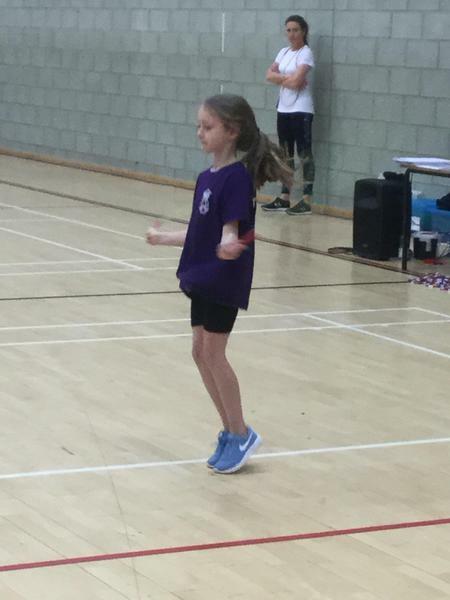 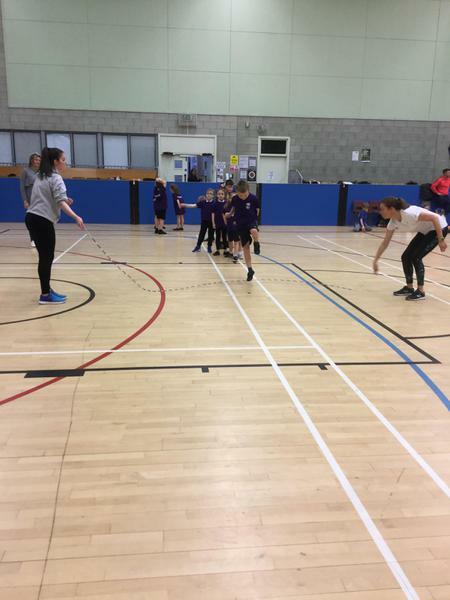 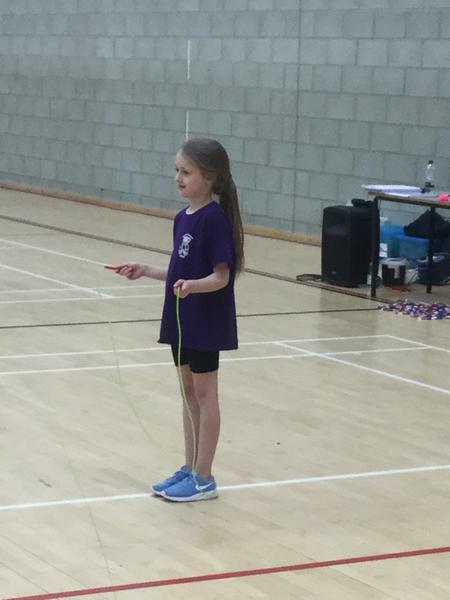 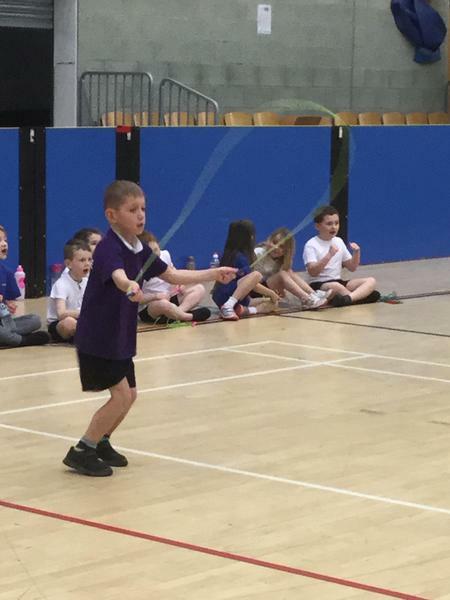 Our sports coaches have been practising skipping with the children during PE lessons and the children smashed their events! 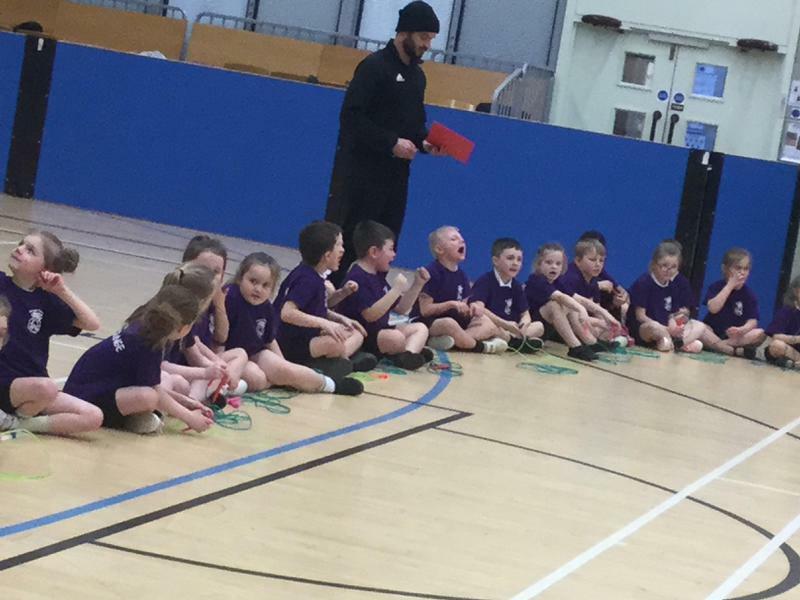 Well done to the coaches and children for all of their hard work. 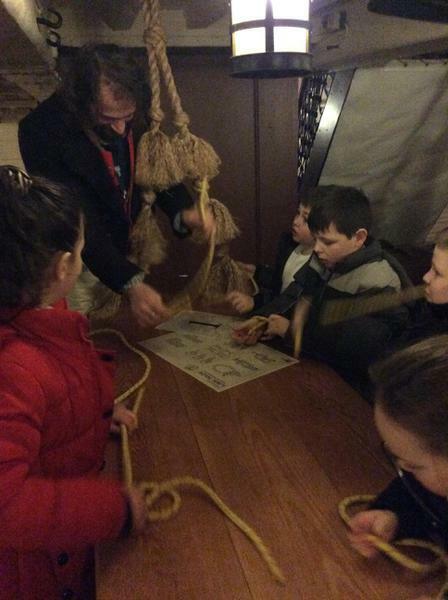 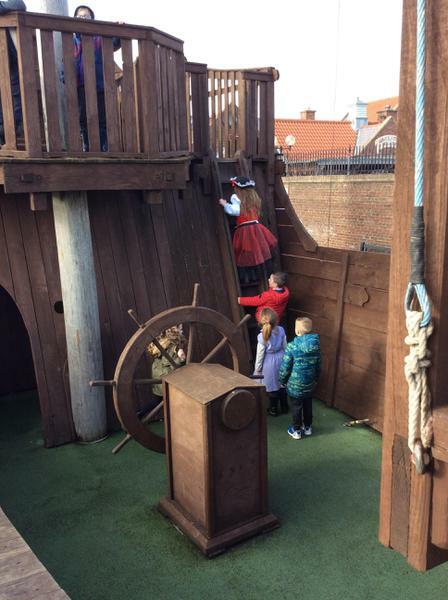 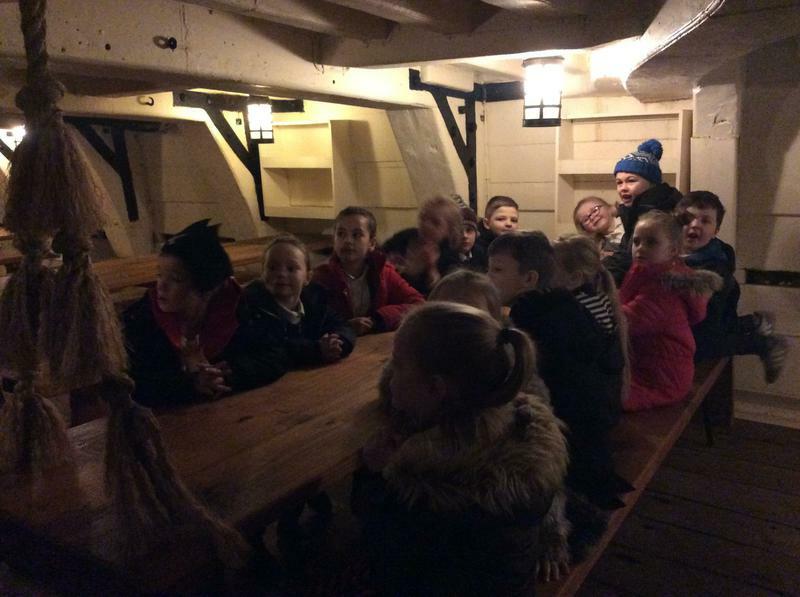 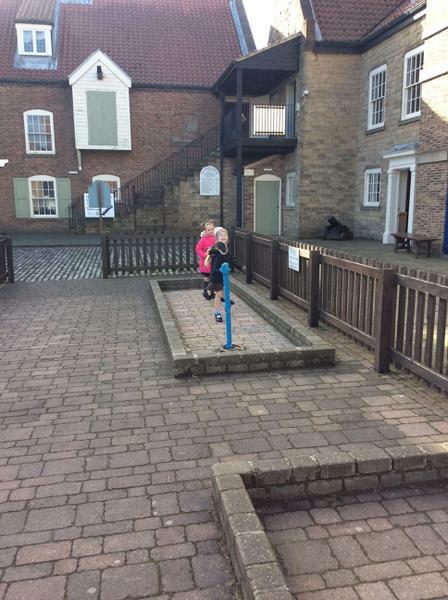 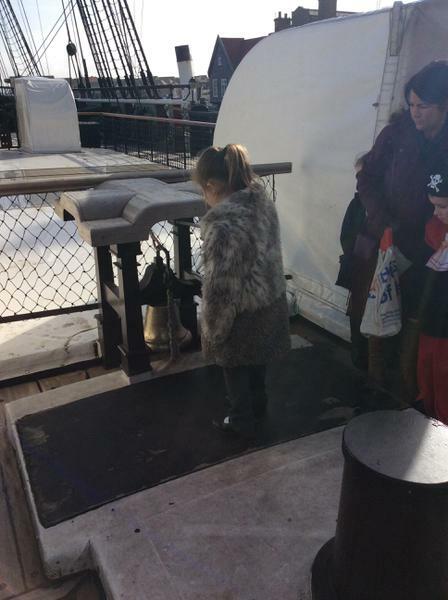 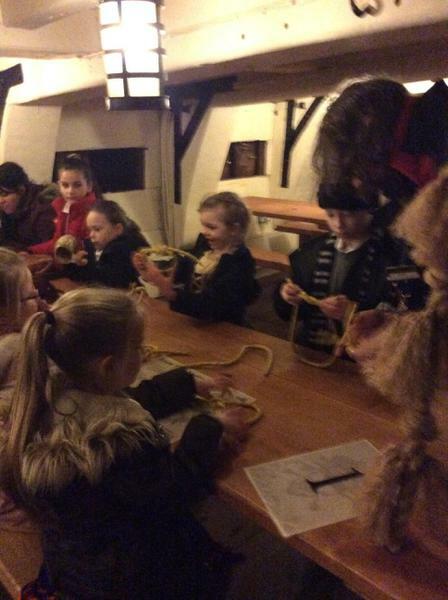 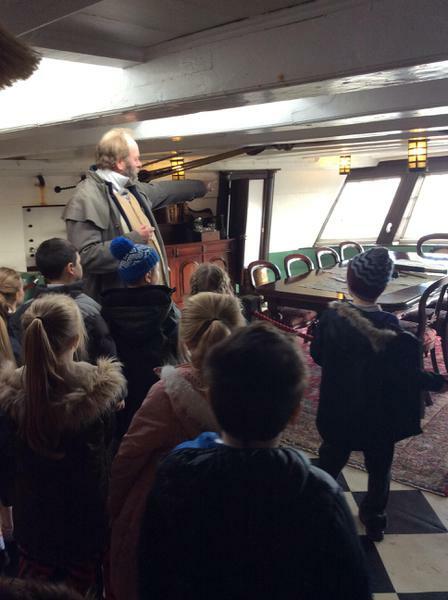 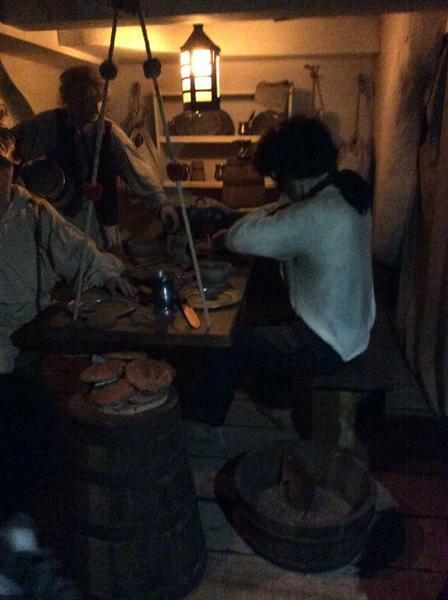 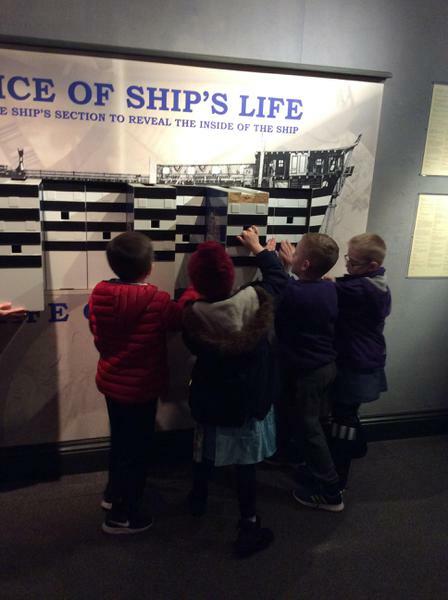 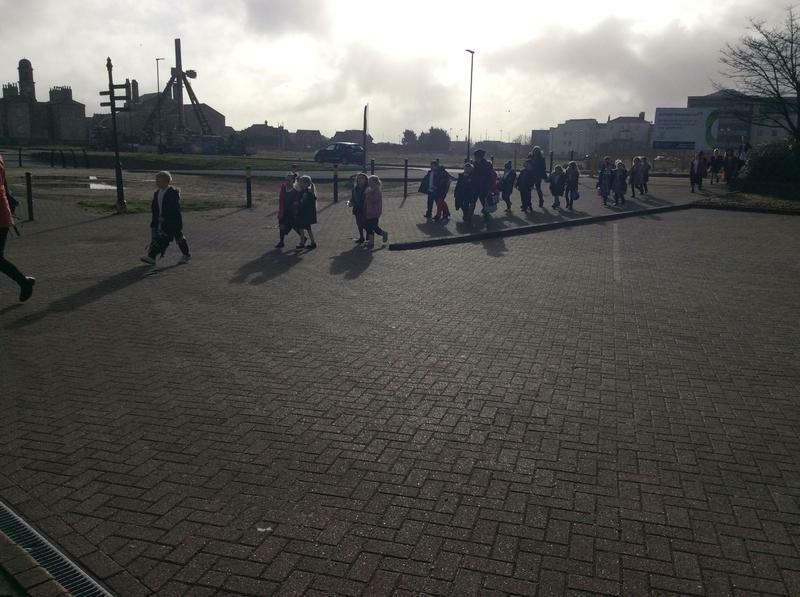 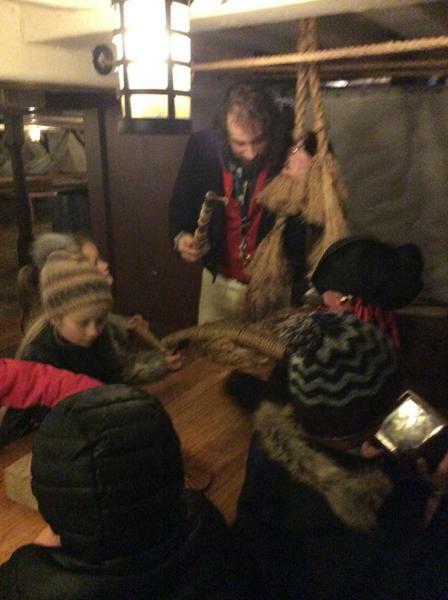 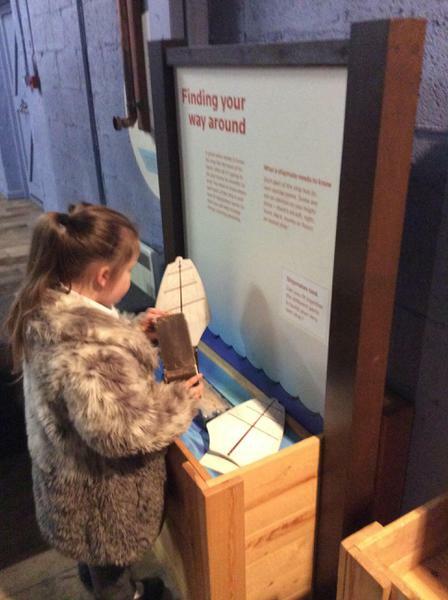 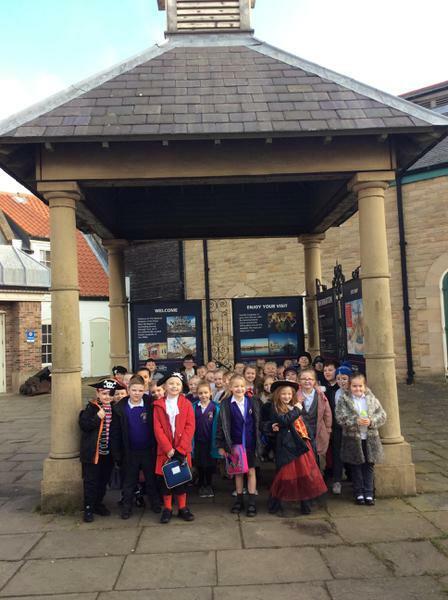 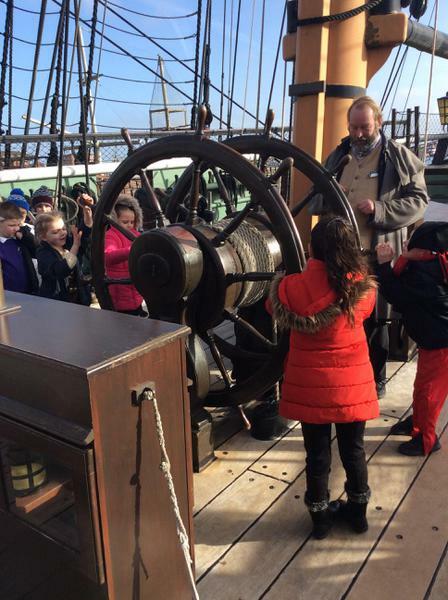 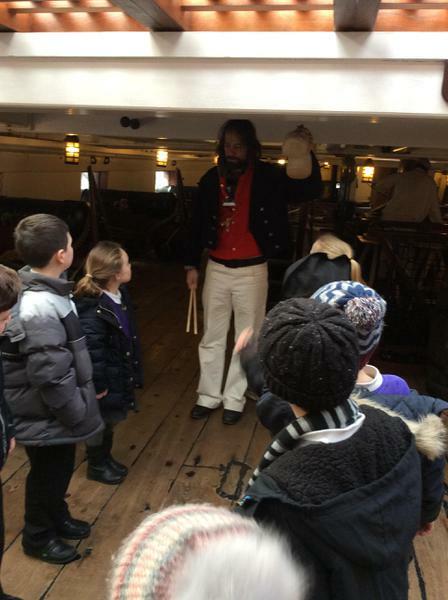 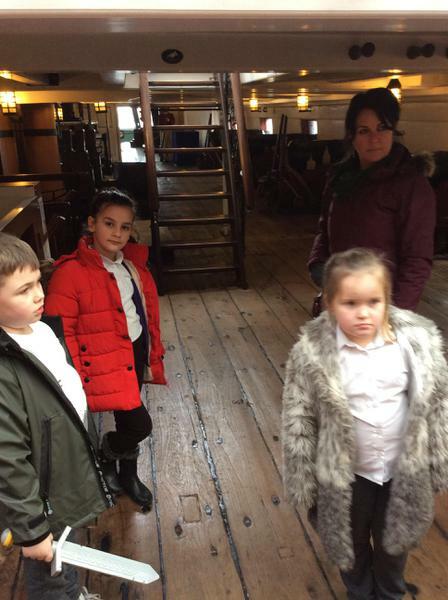 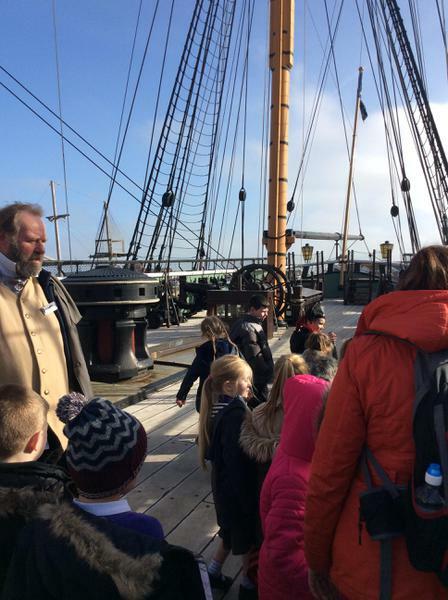 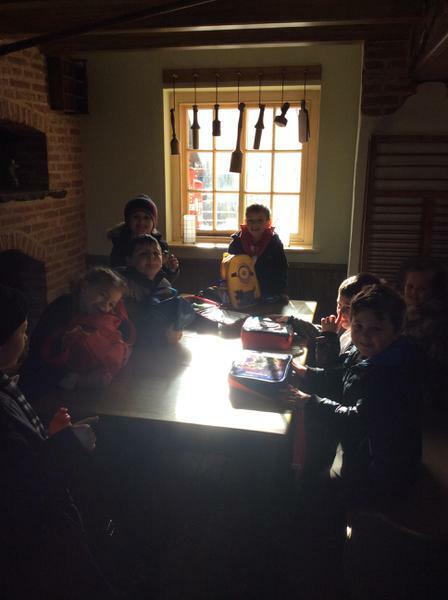 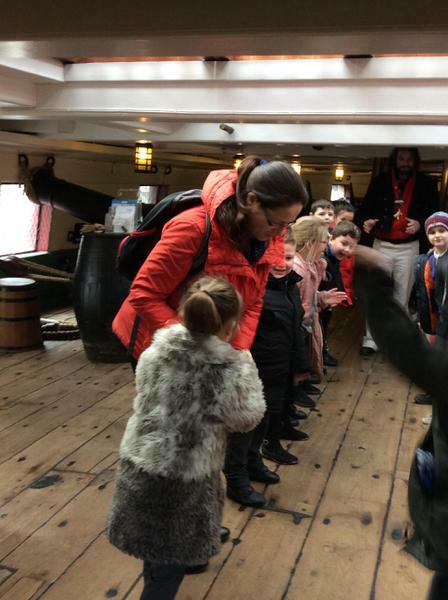 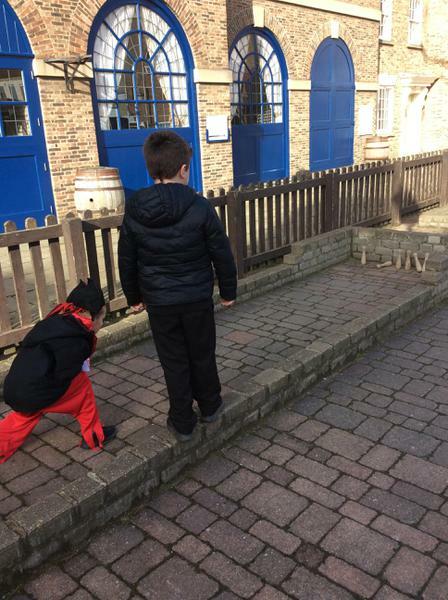 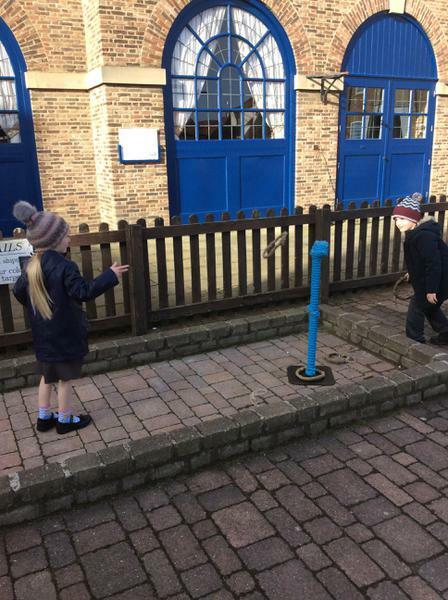 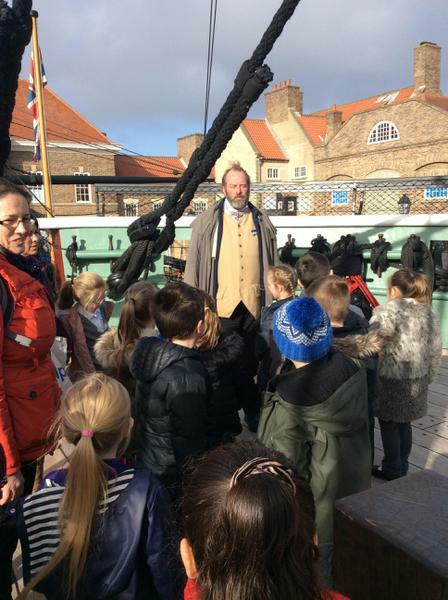 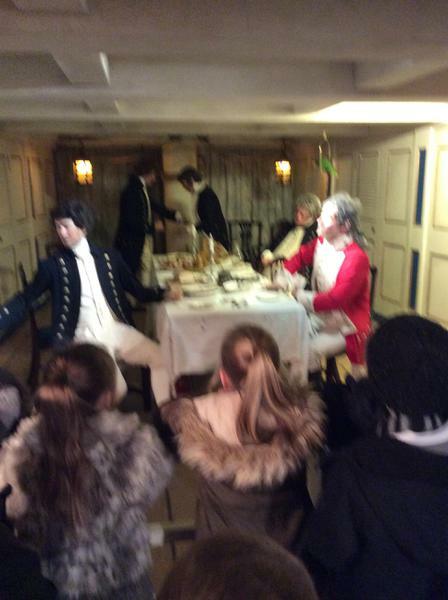 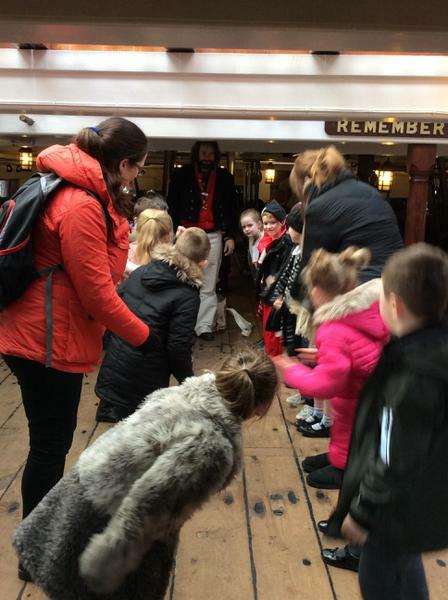 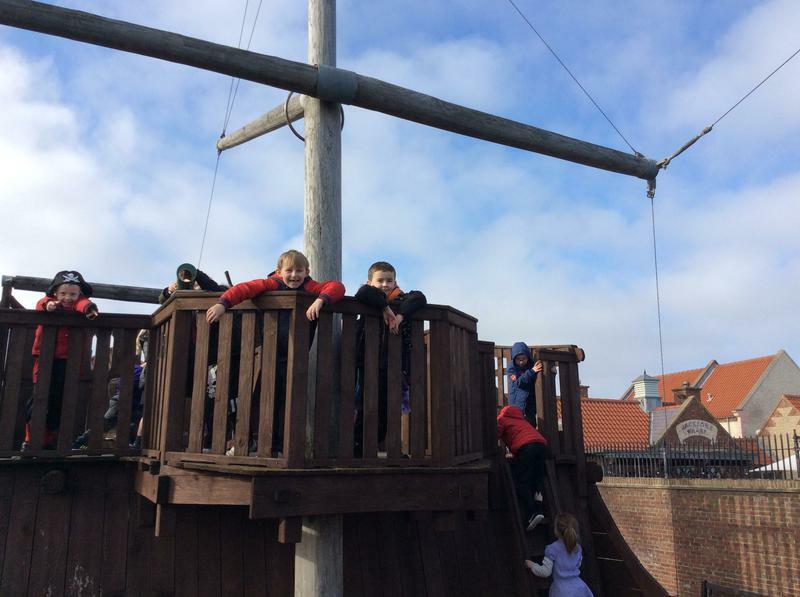 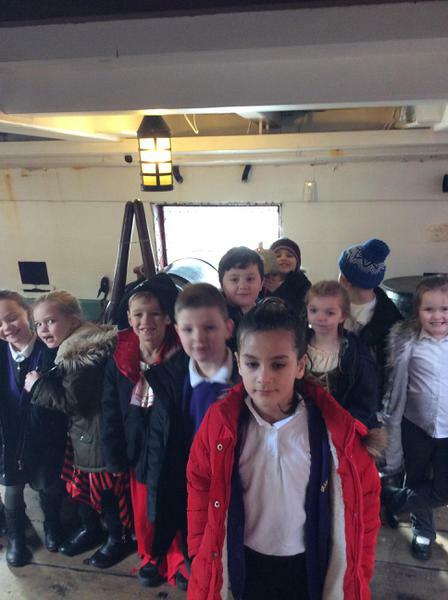 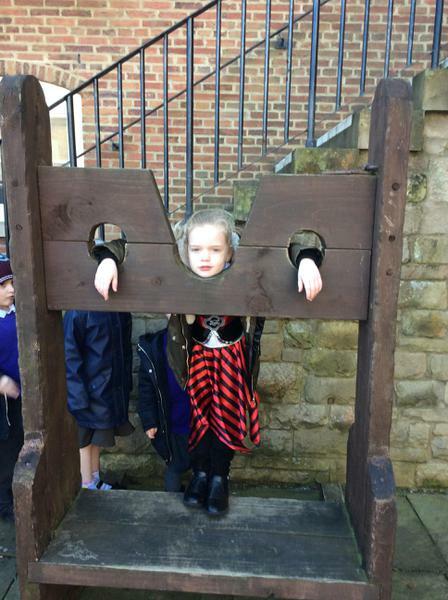 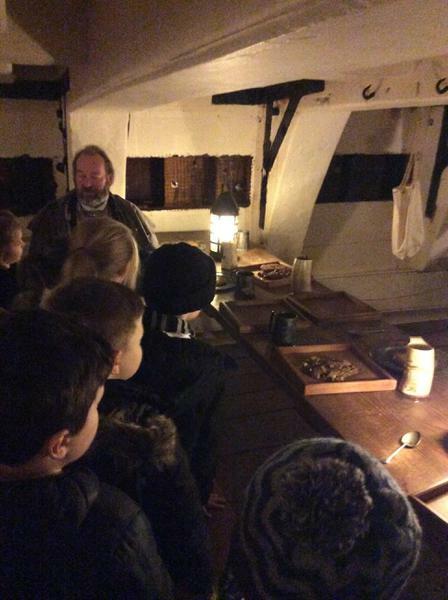 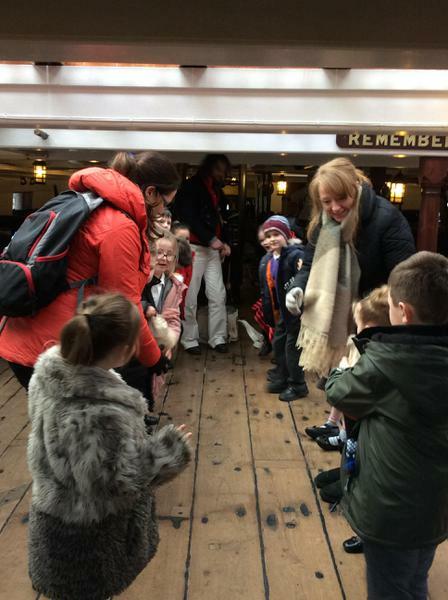 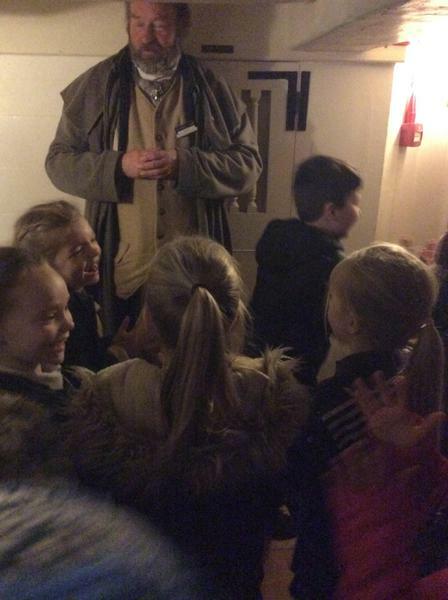 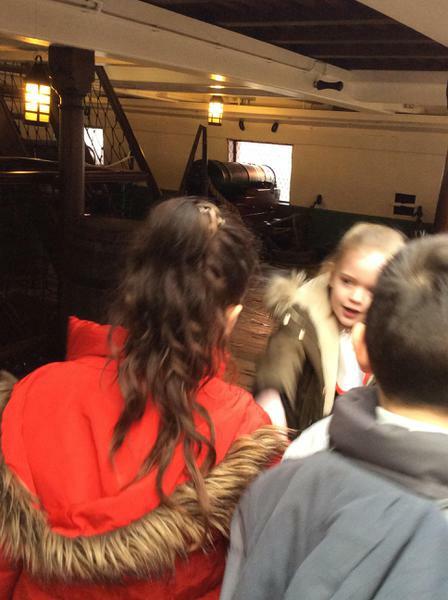 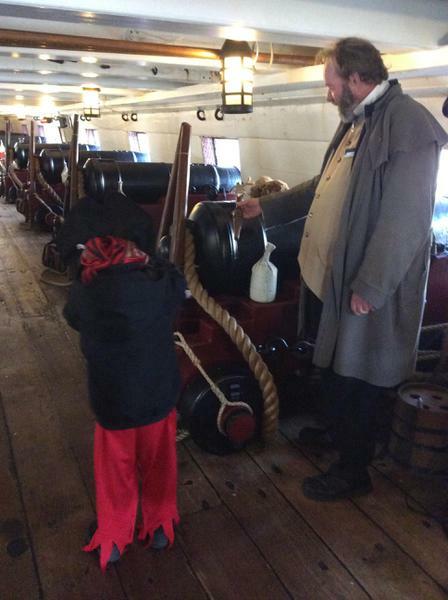 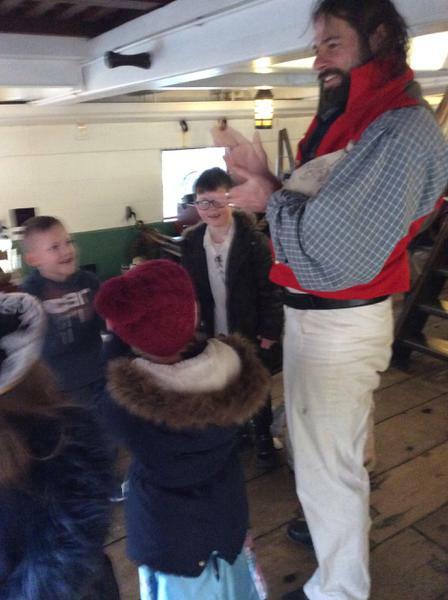 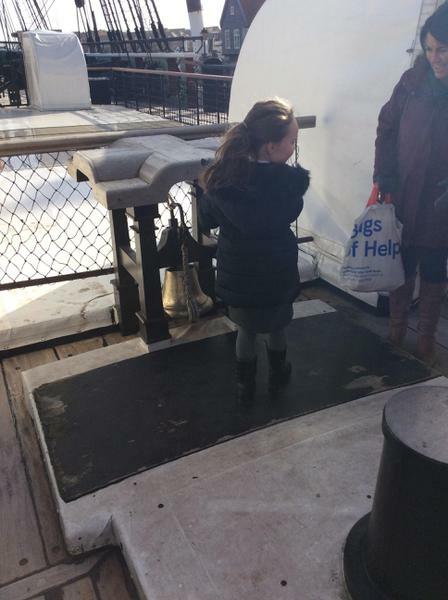 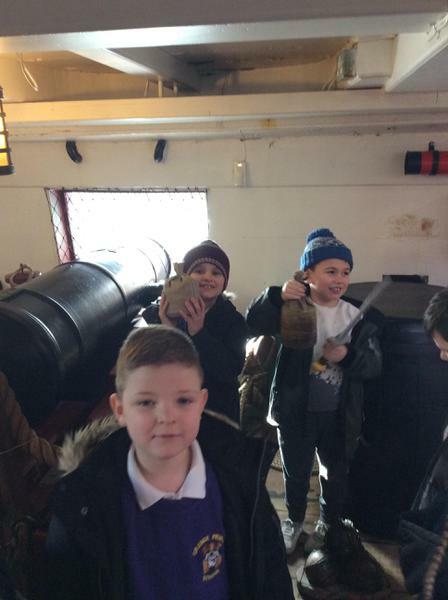 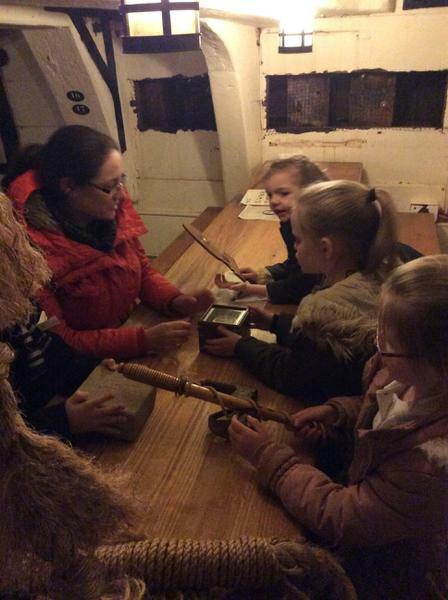 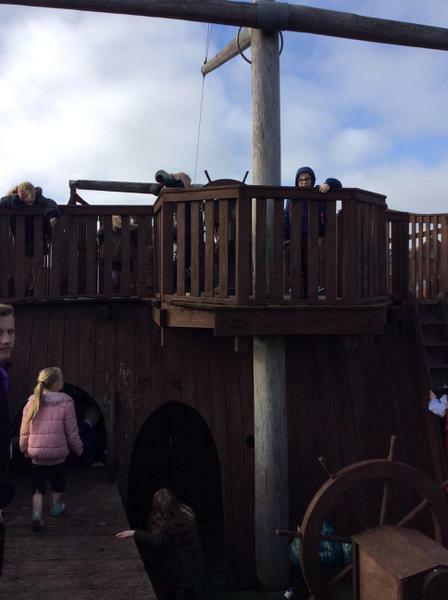 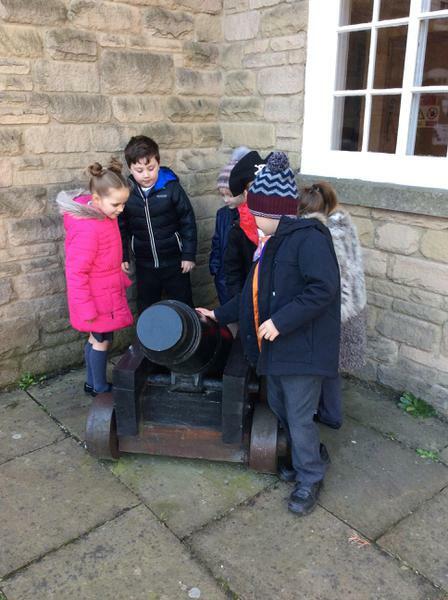 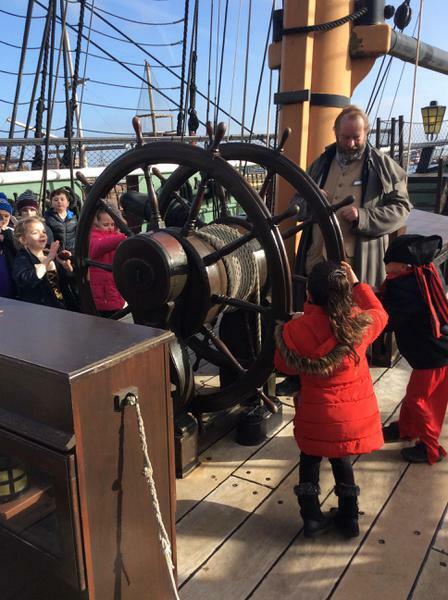 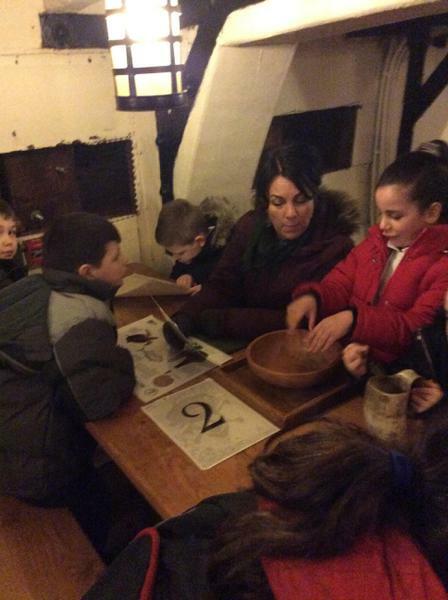 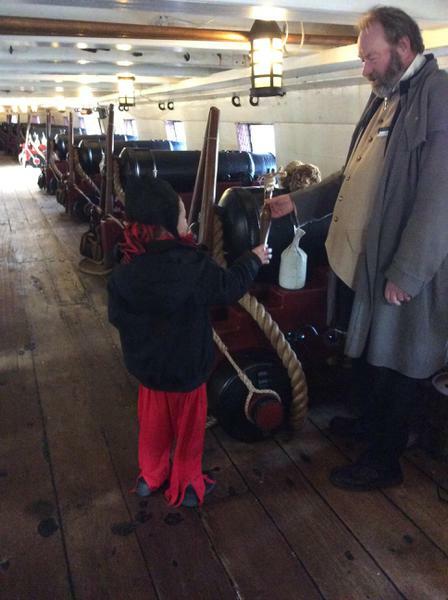 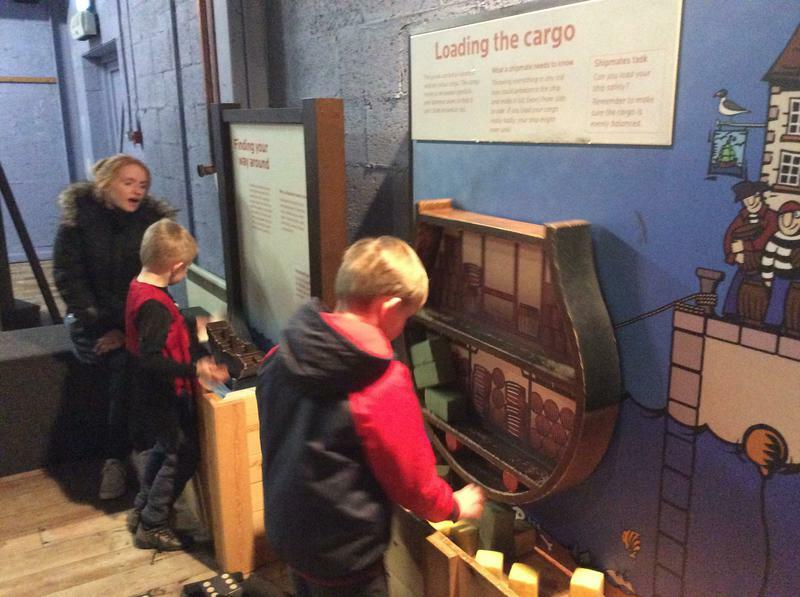 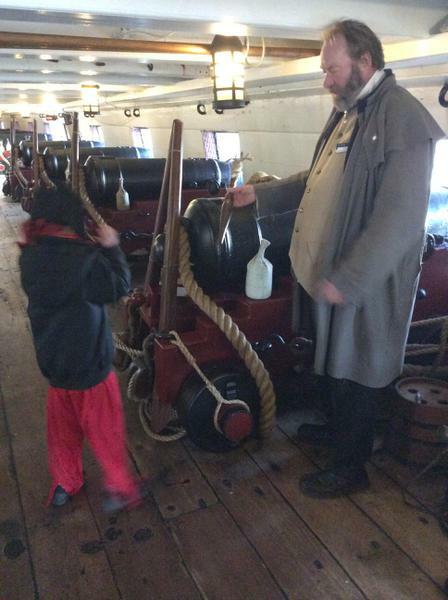 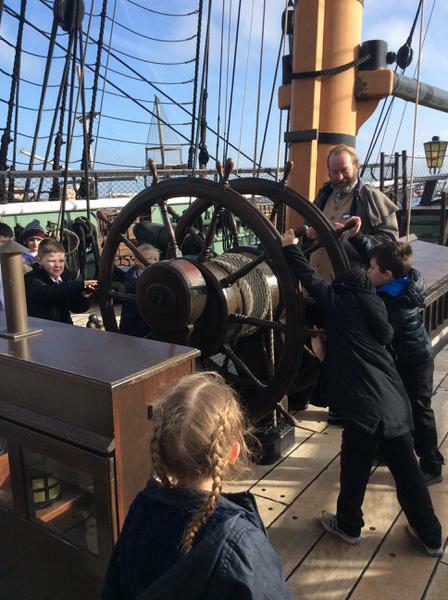 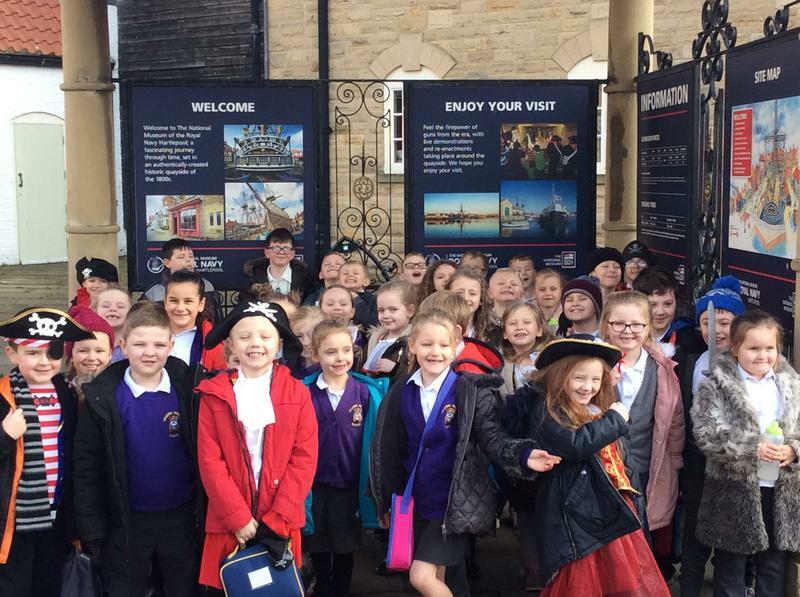 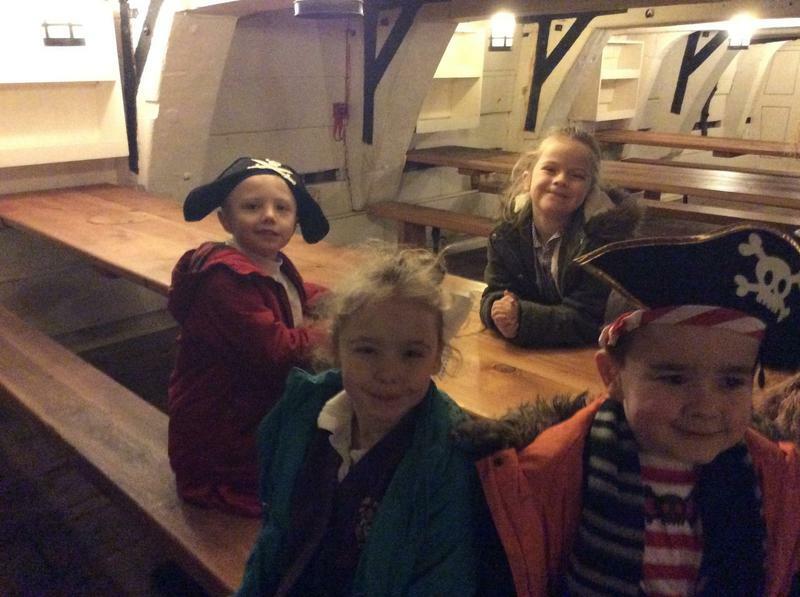 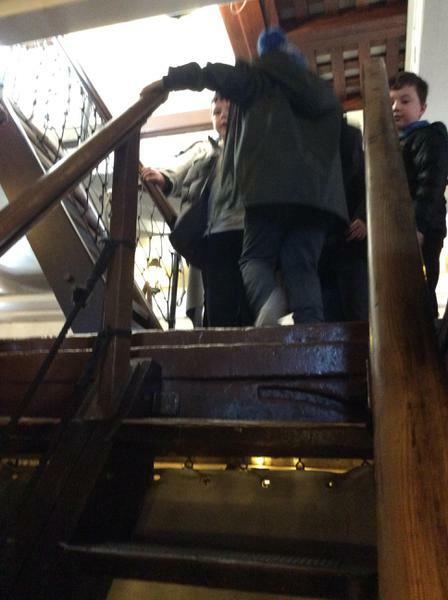 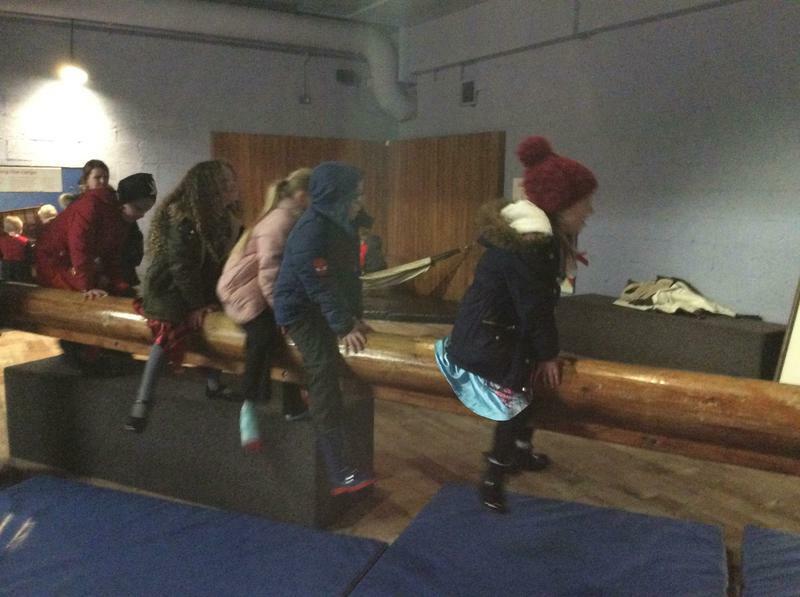 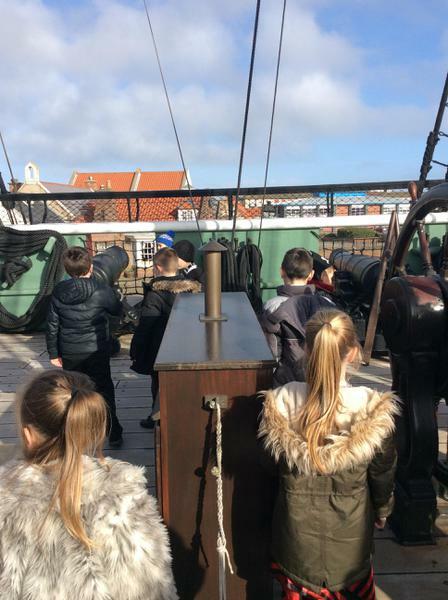 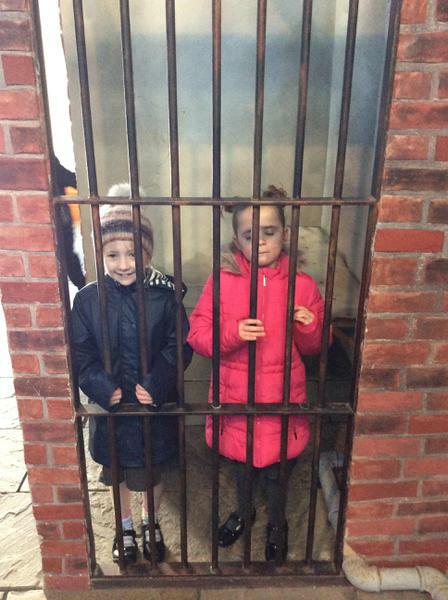 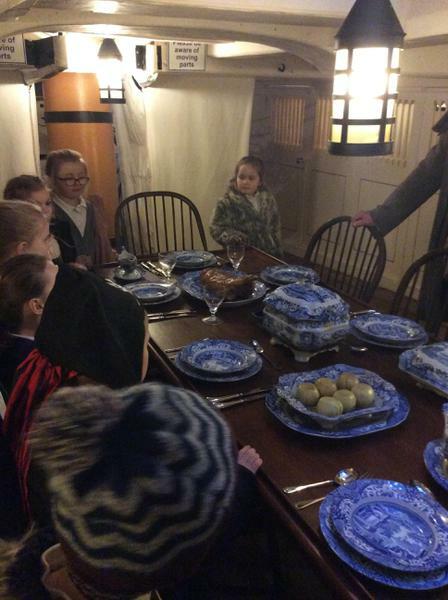 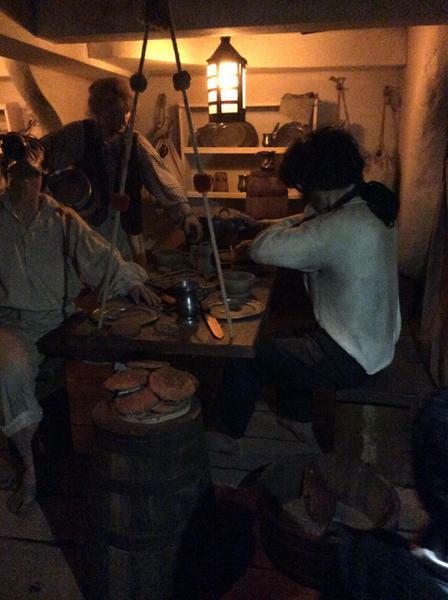 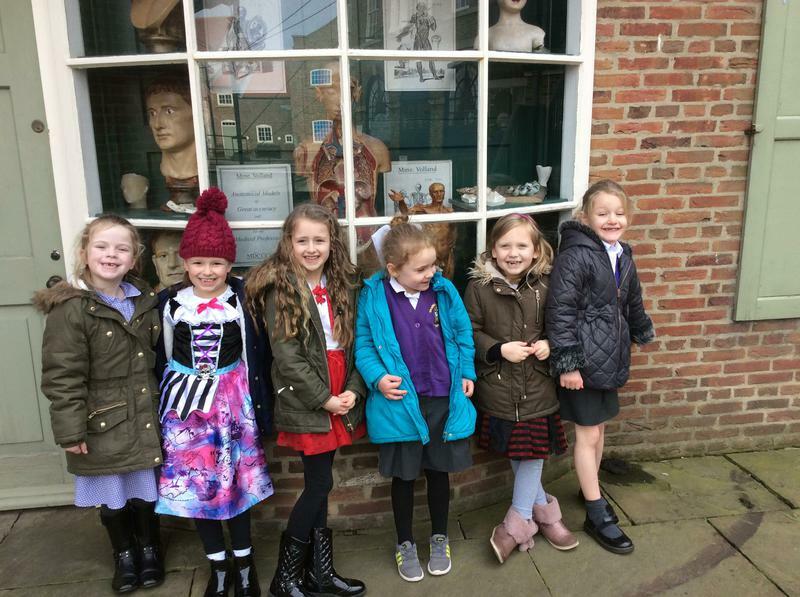 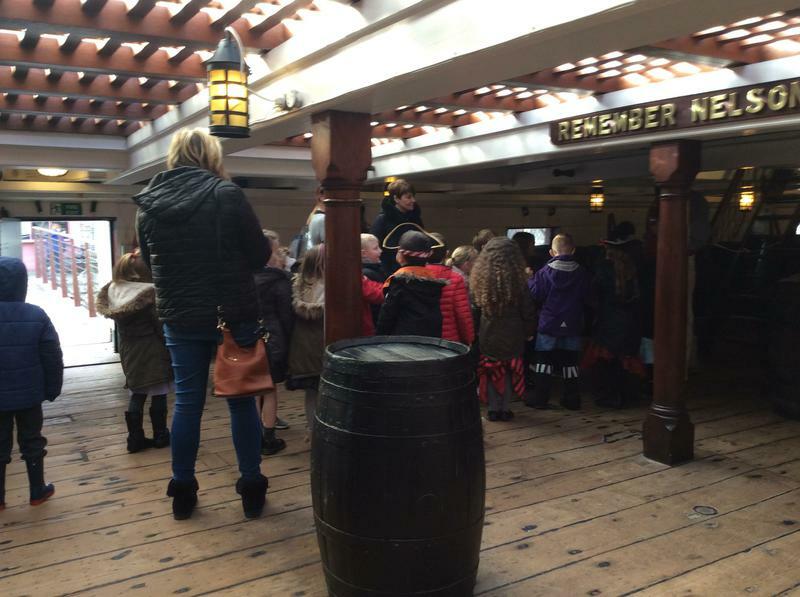 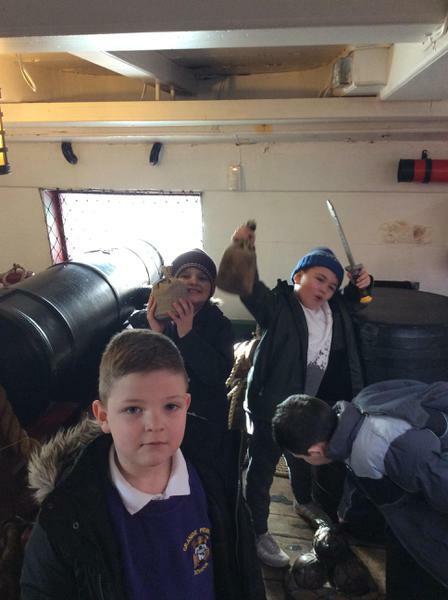 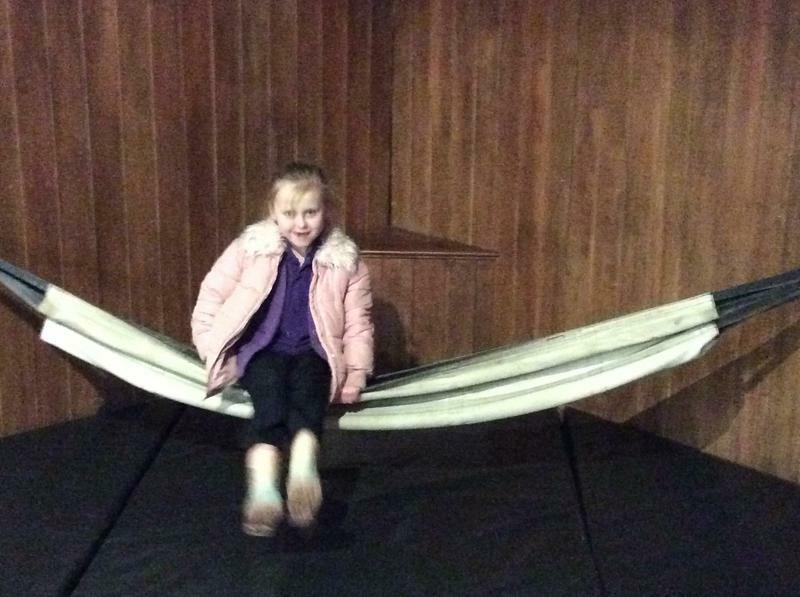 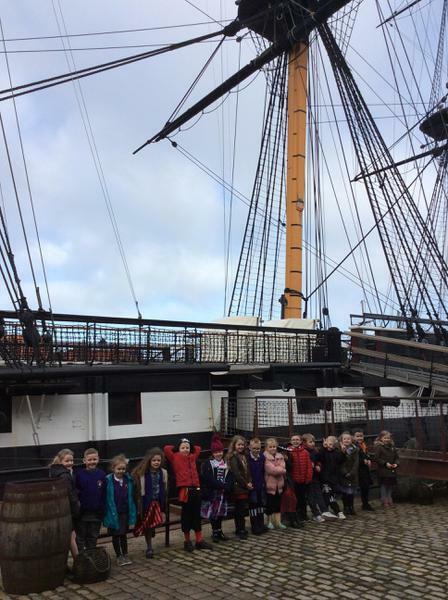 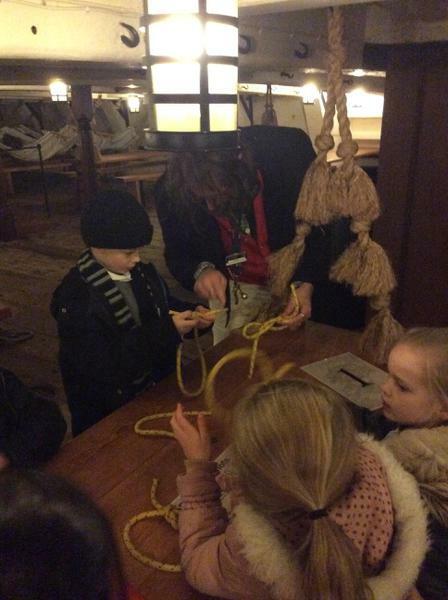 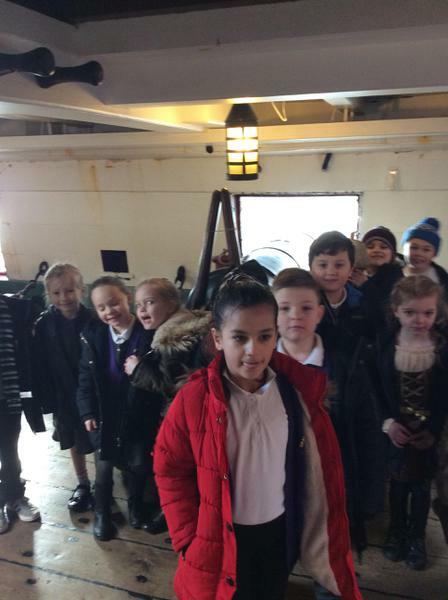 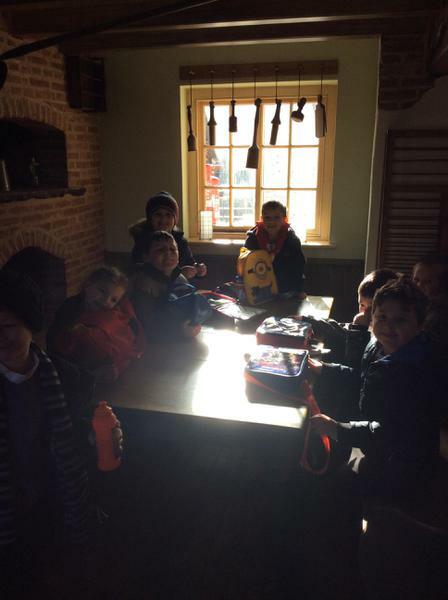 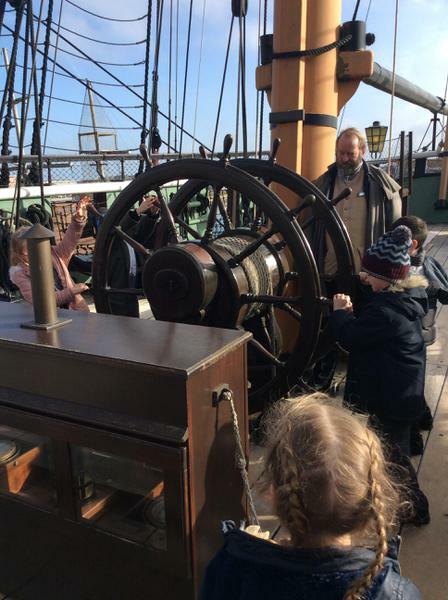 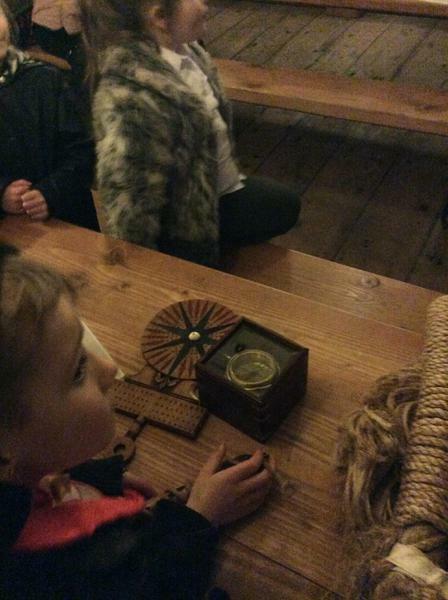 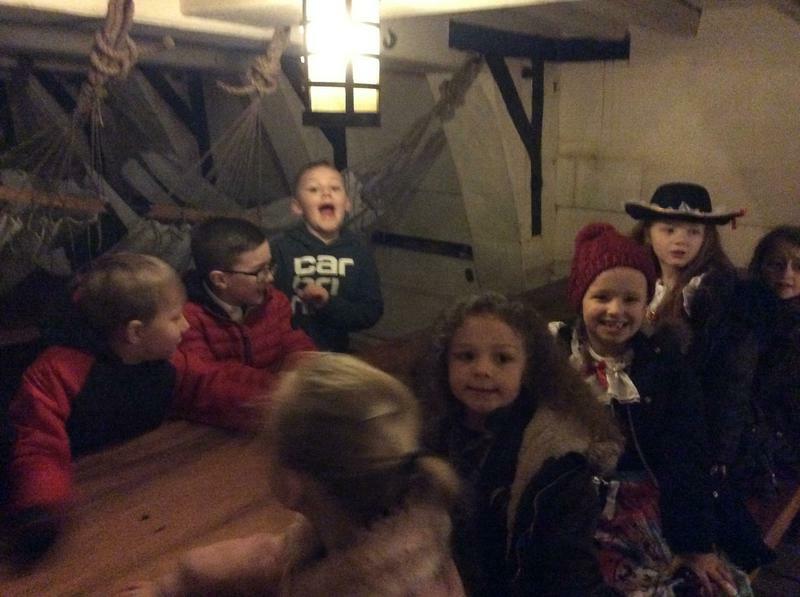 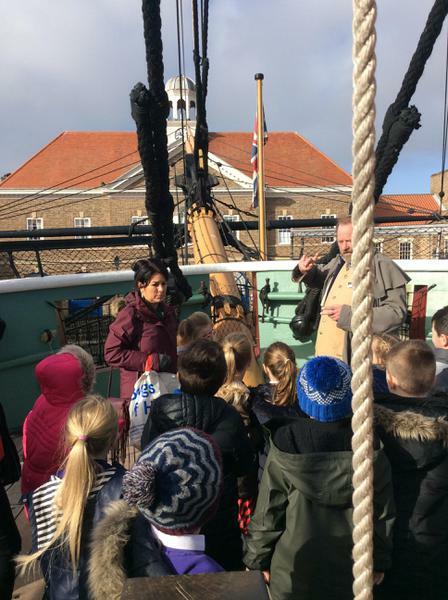 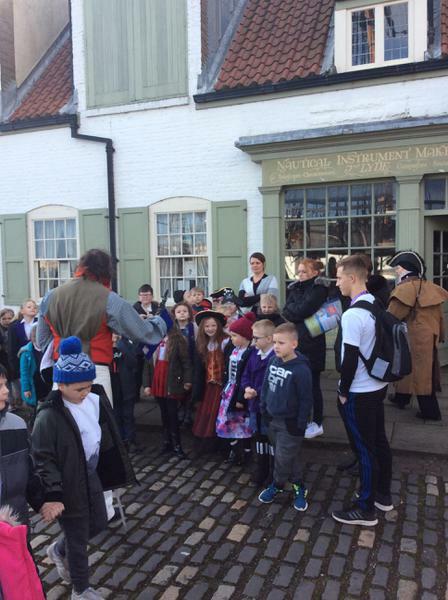 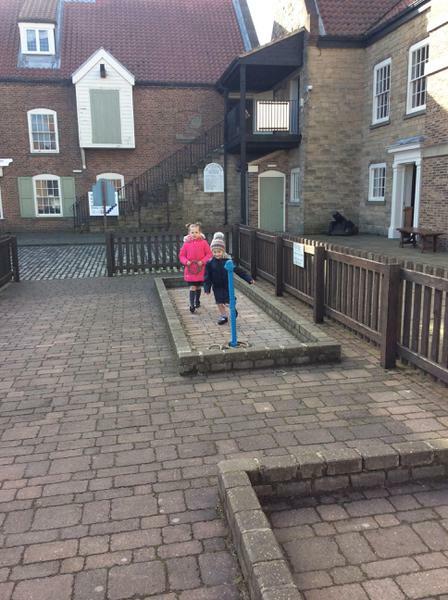 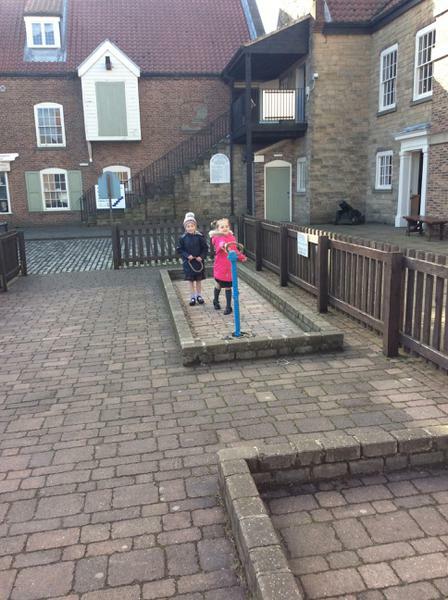 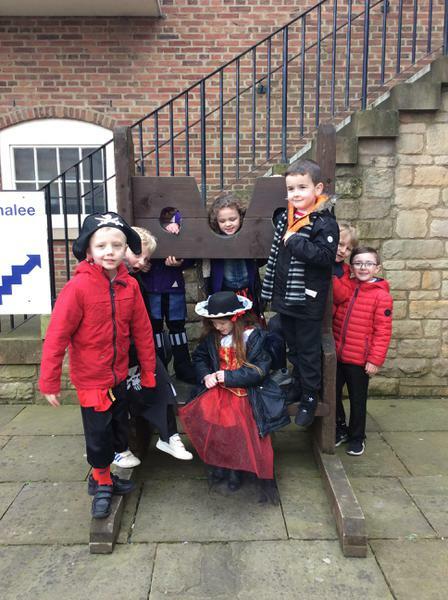 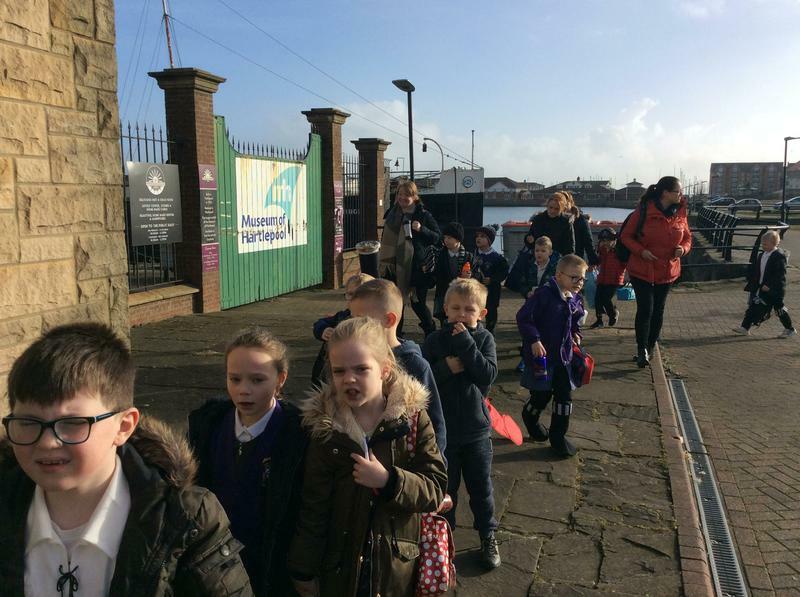 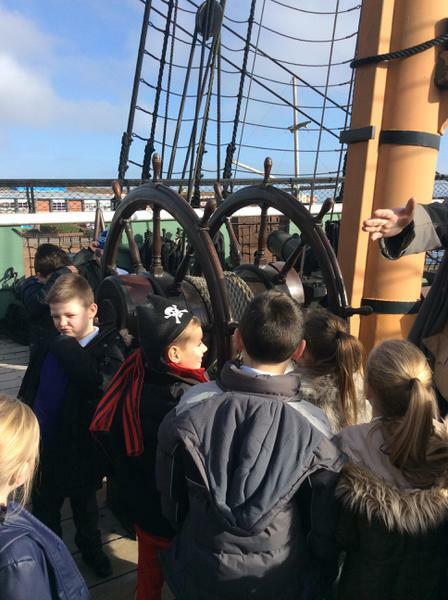 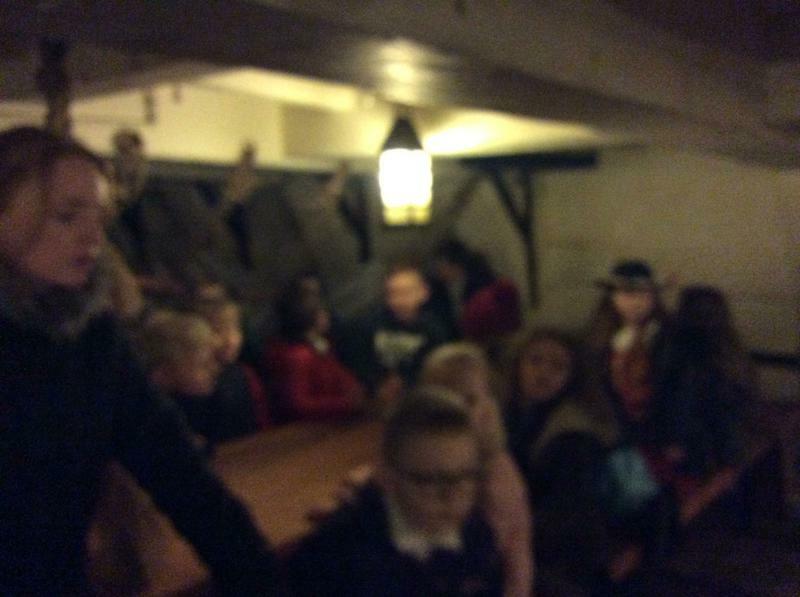 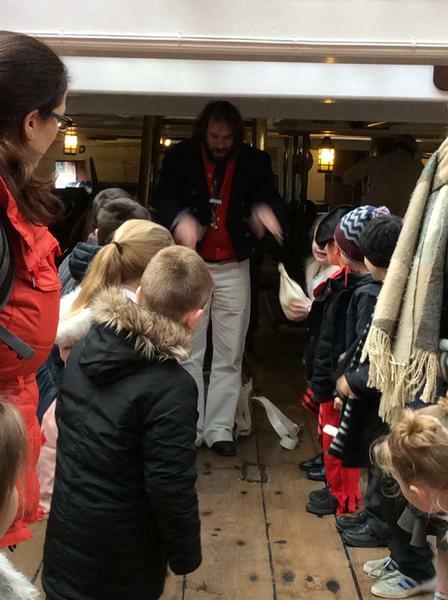 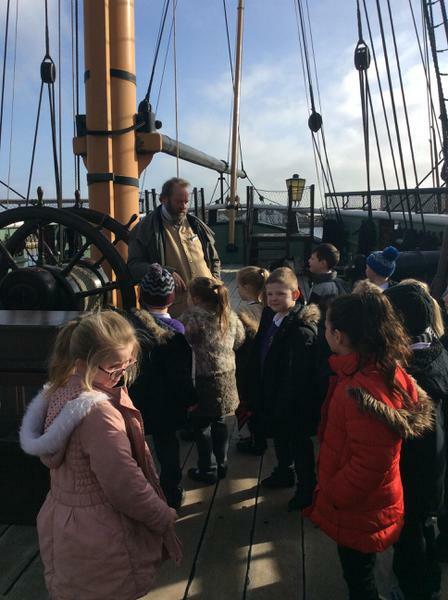 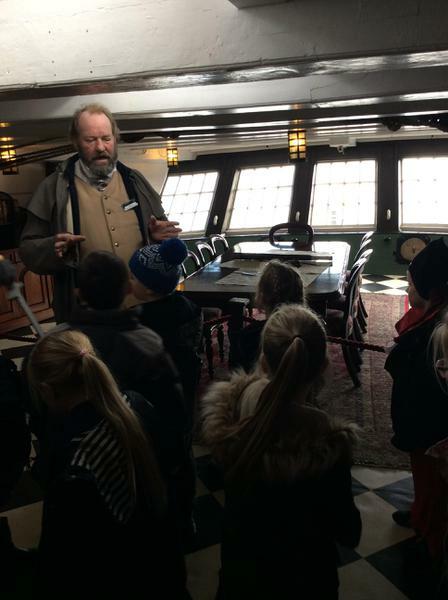 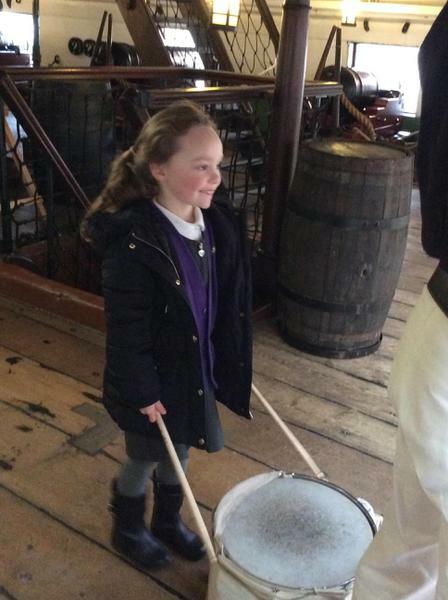 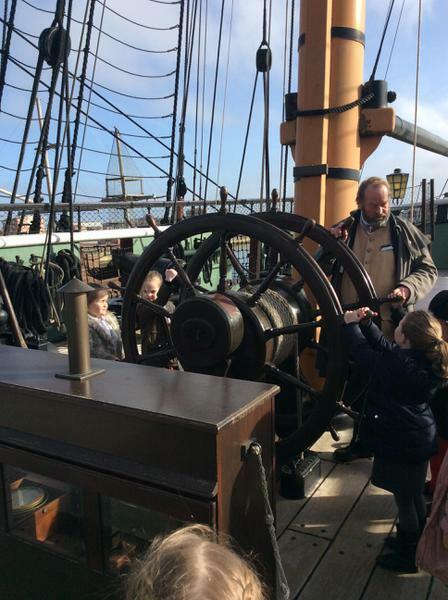 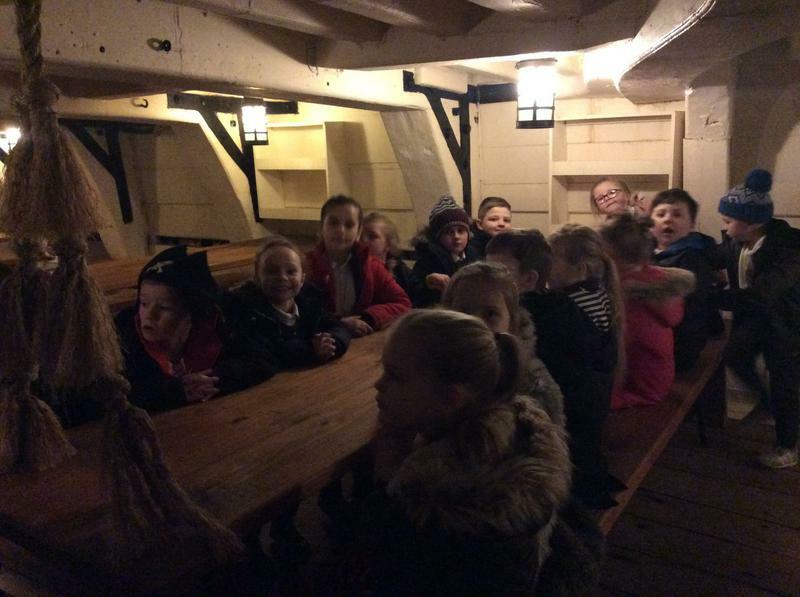 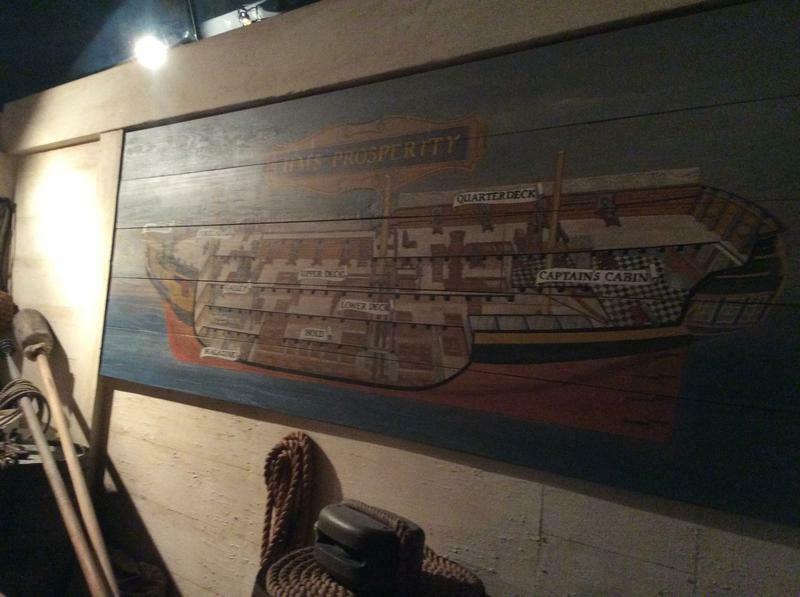 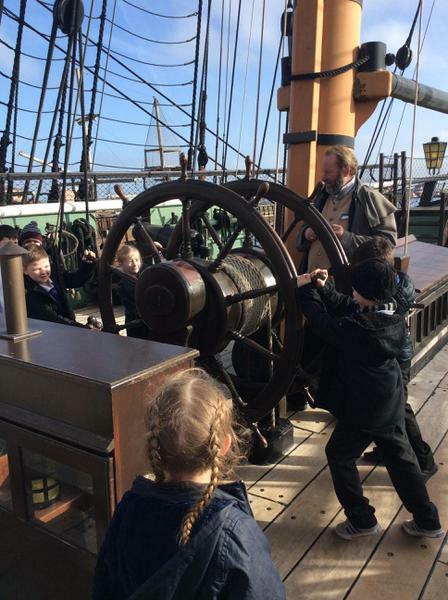 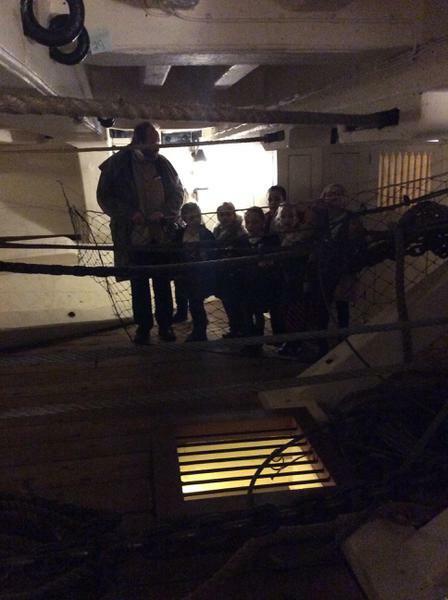 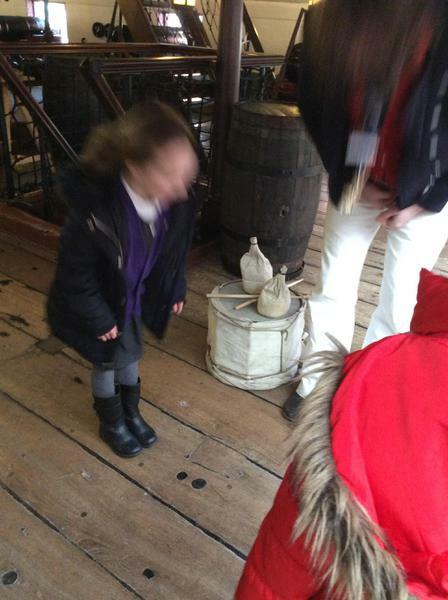 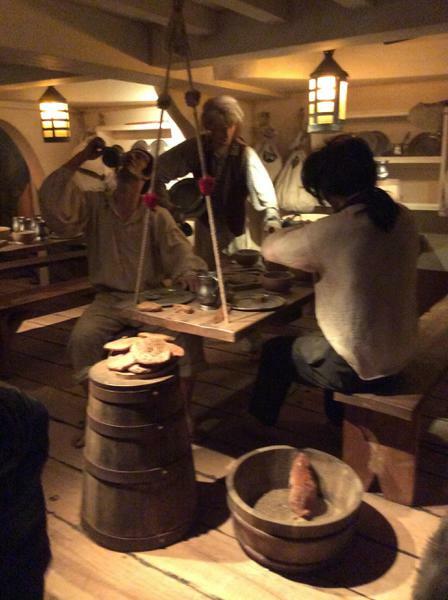 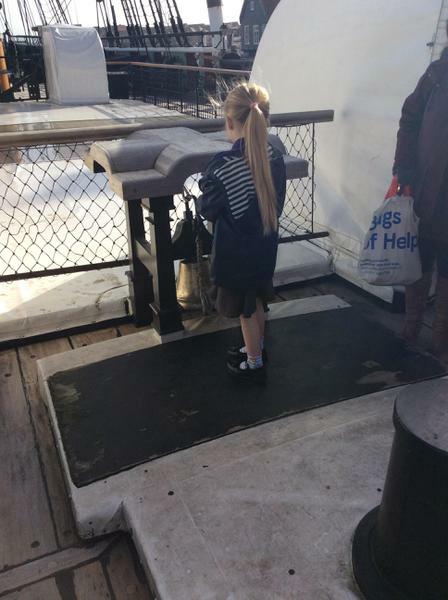 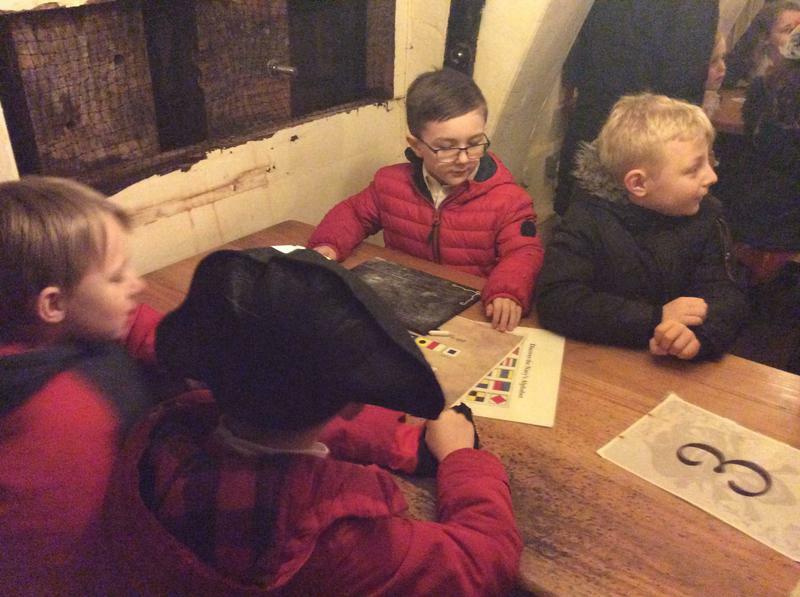 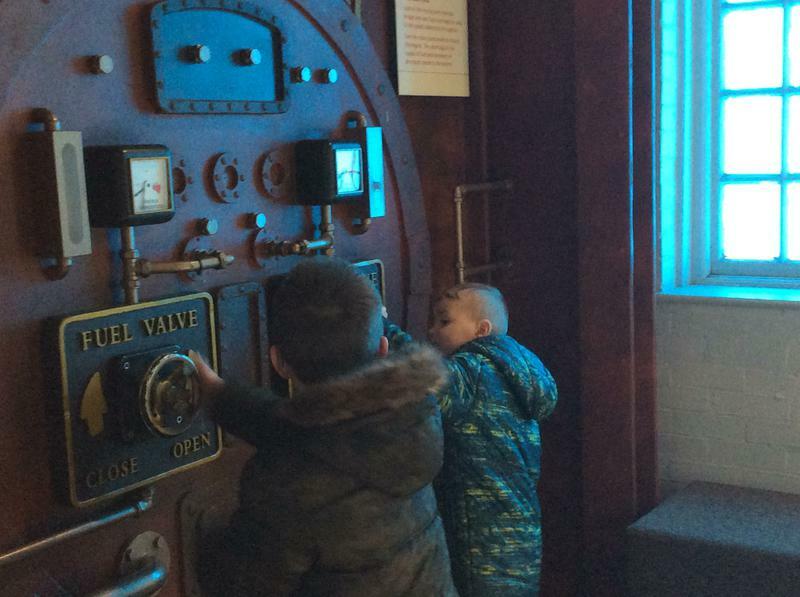 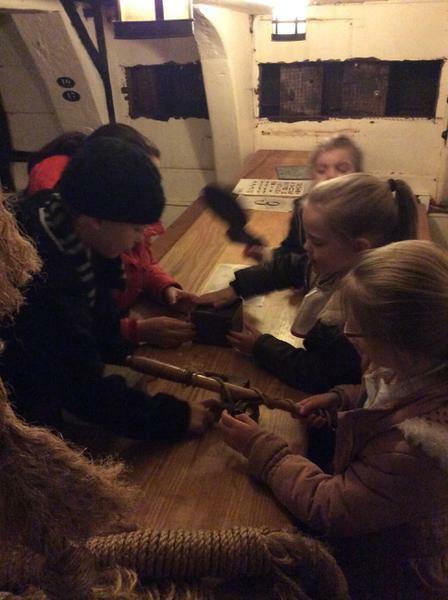 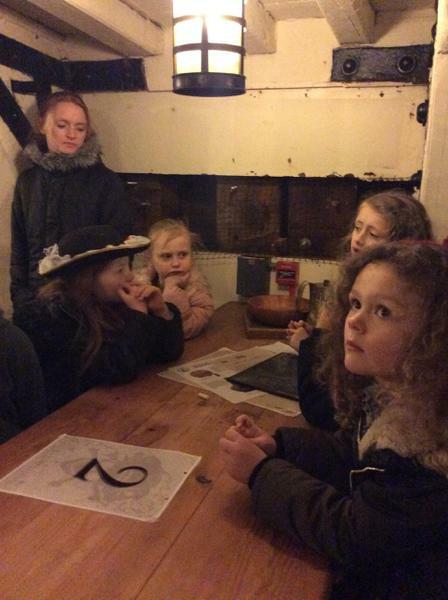 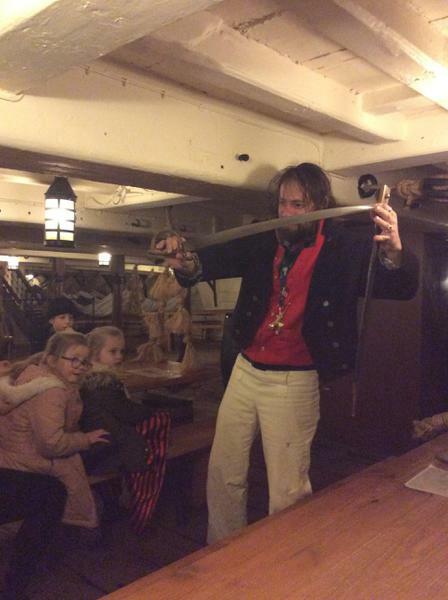 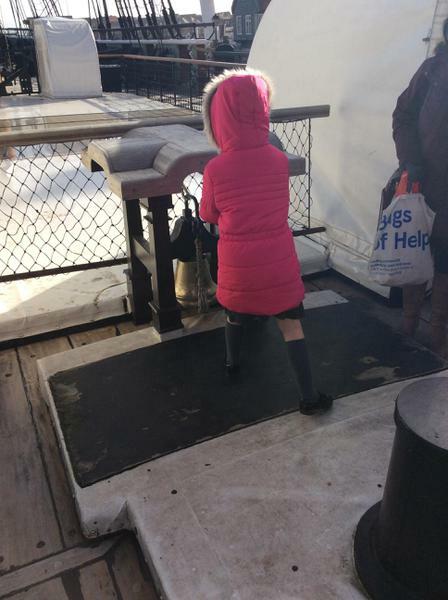 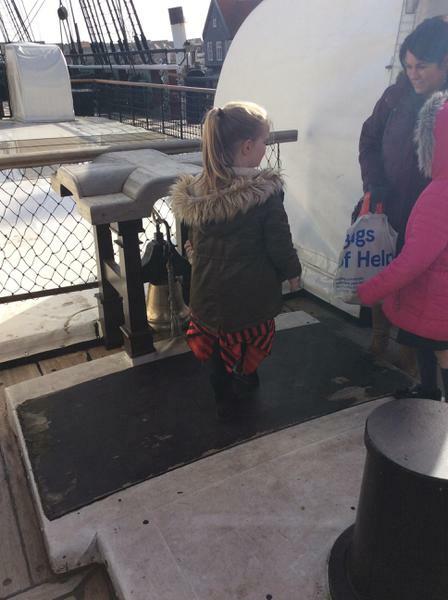 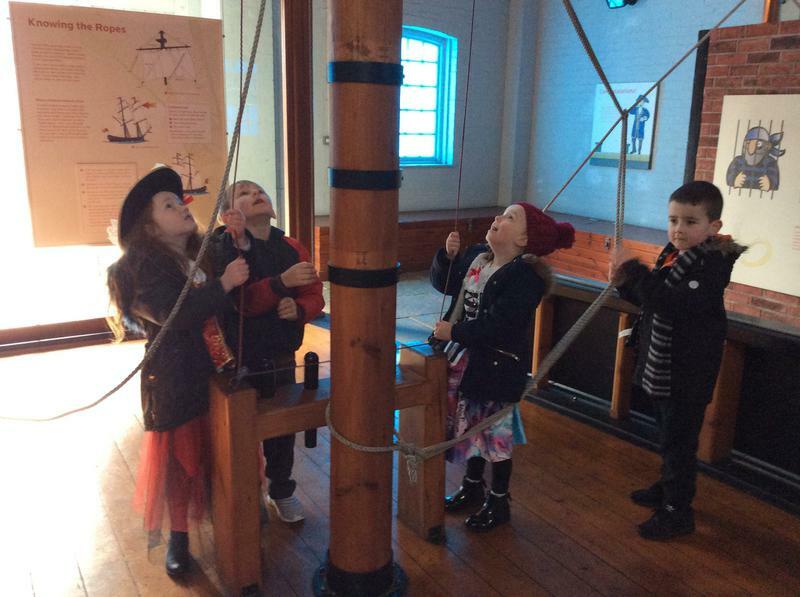 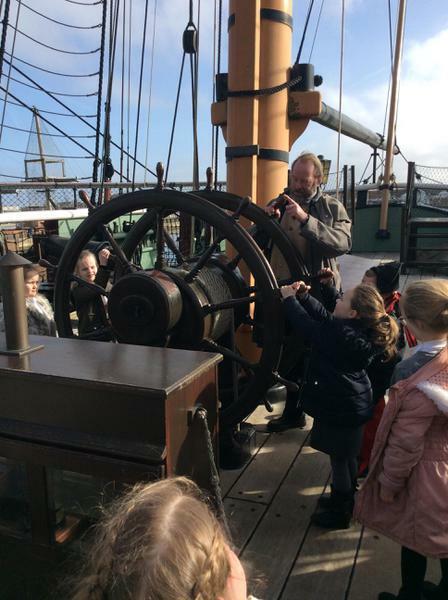 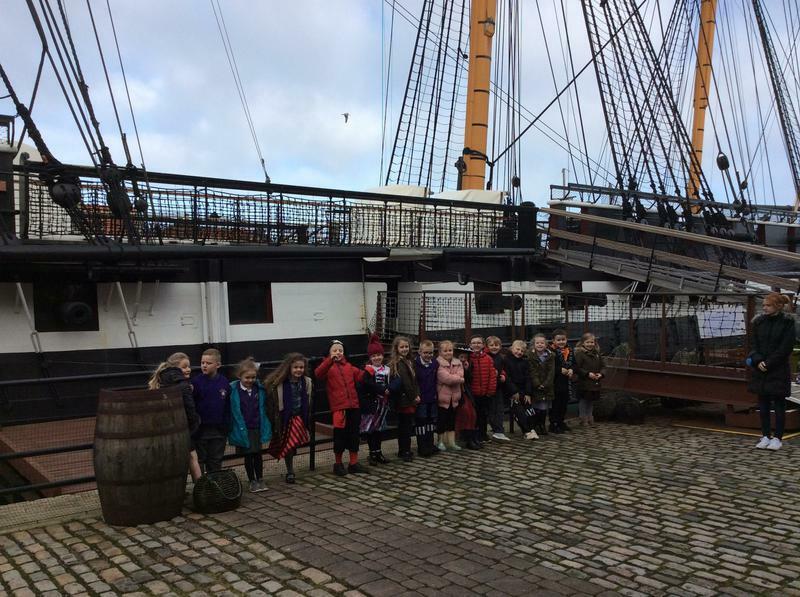 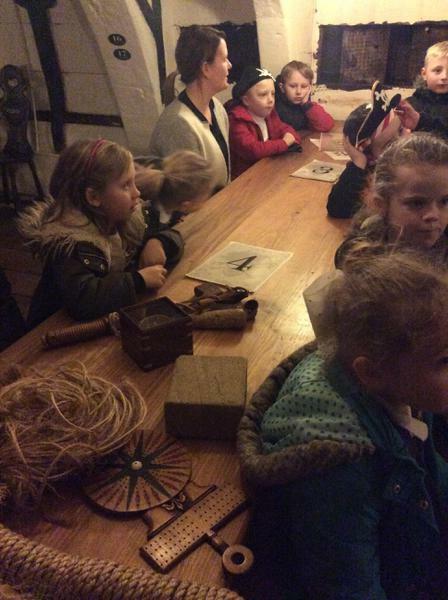 On Wednesday 21st February we visited the Historic Quay to find out about life on ships in the past. 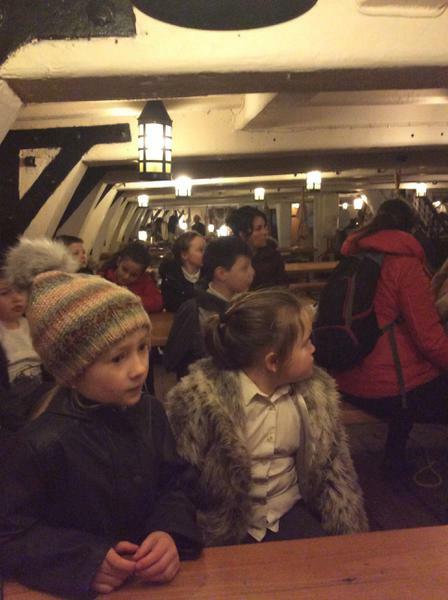 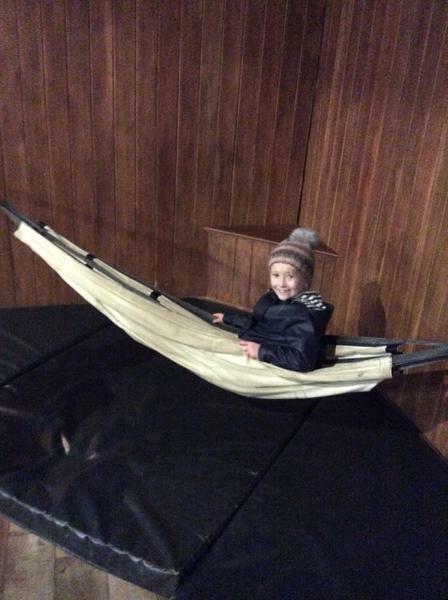 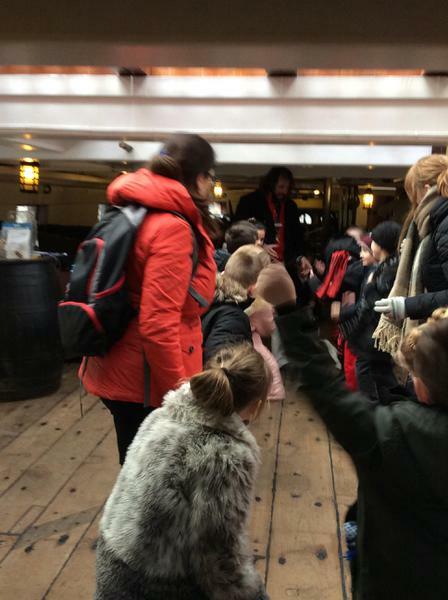 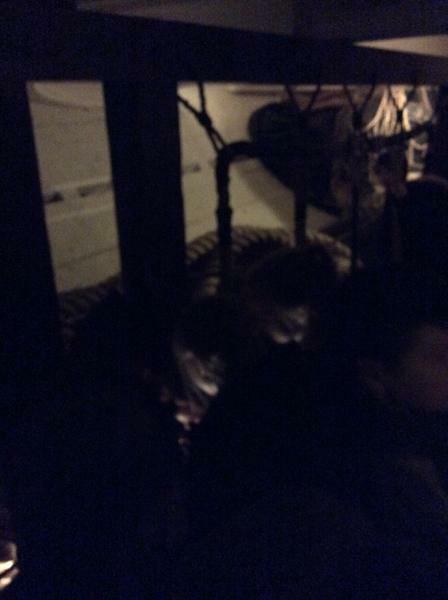 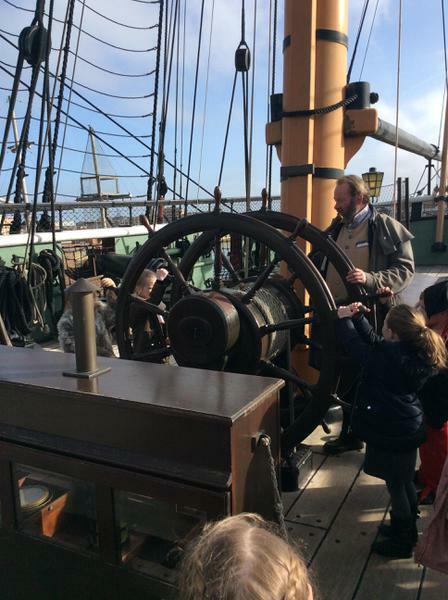 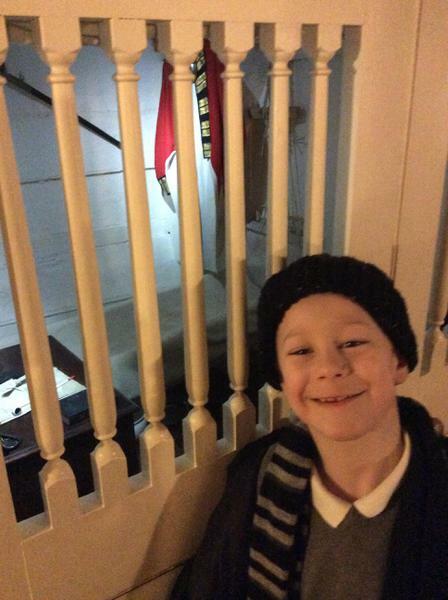 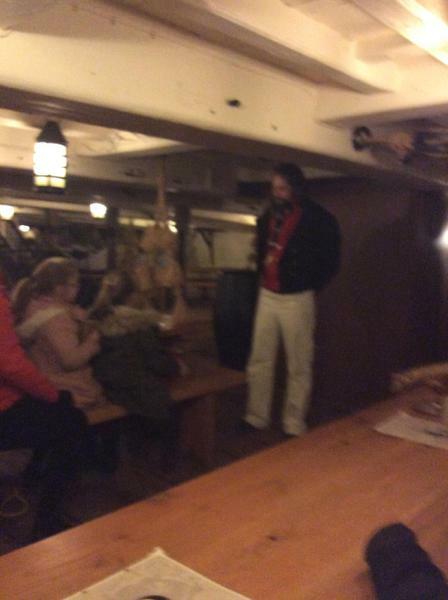 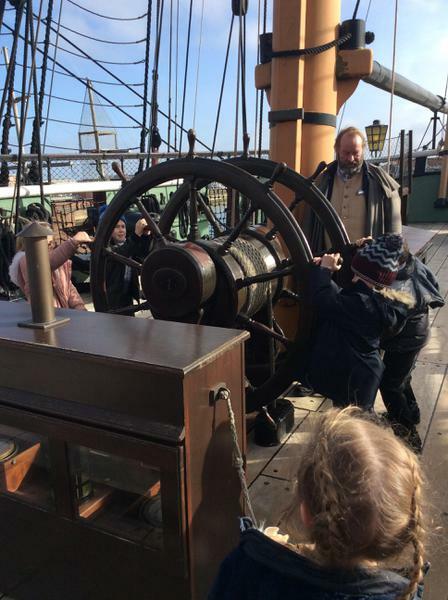 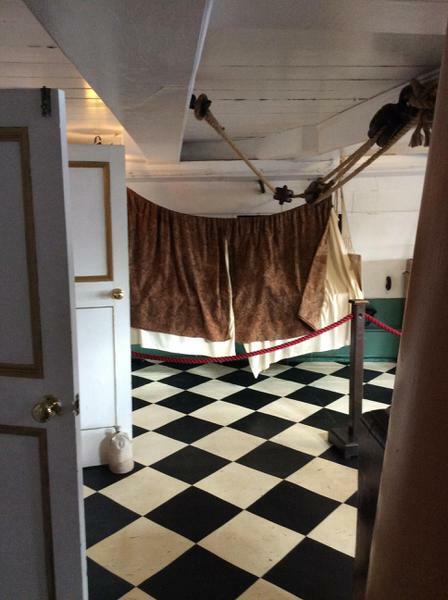 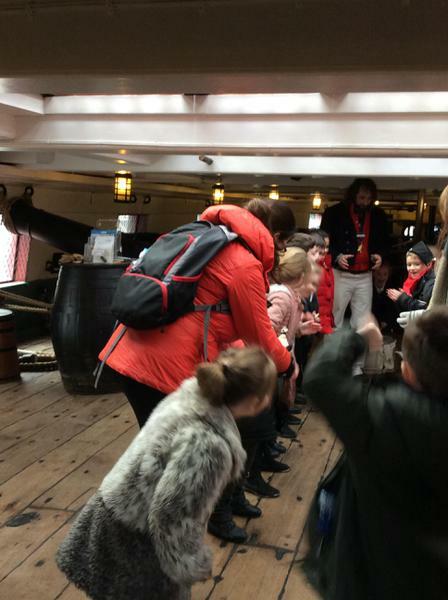 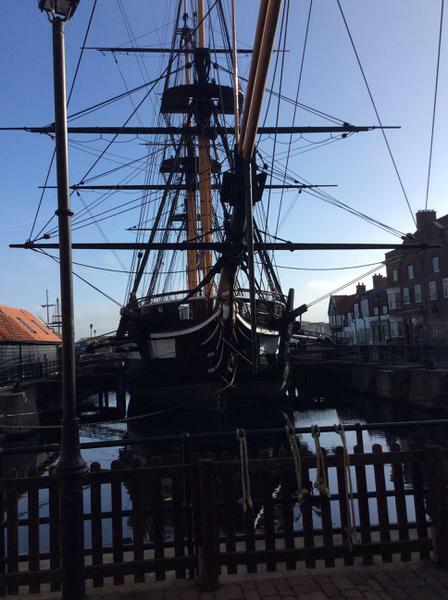 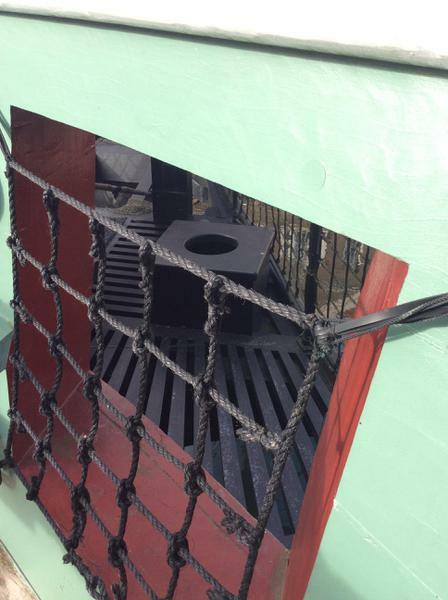 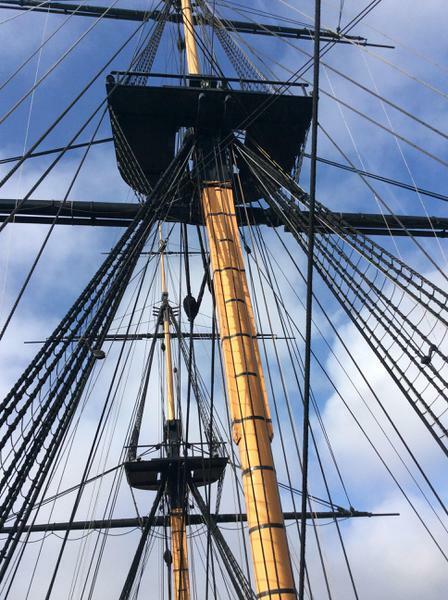 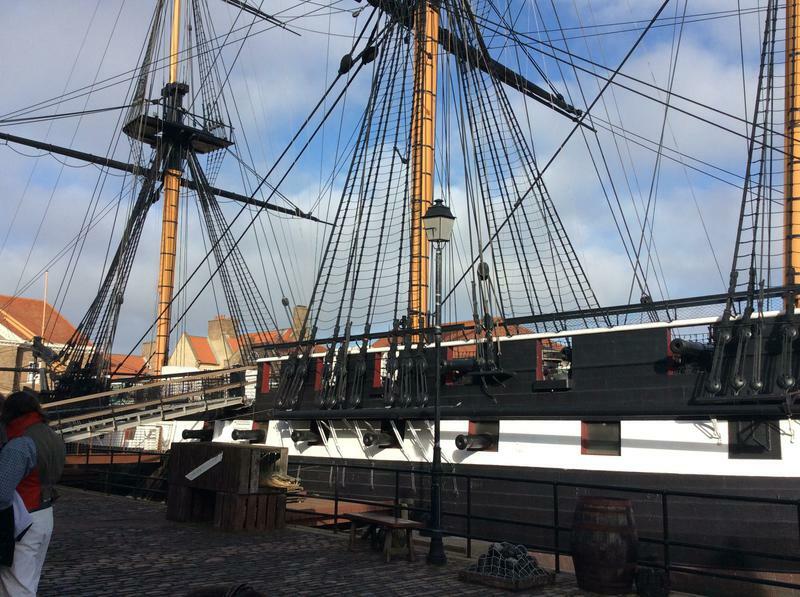 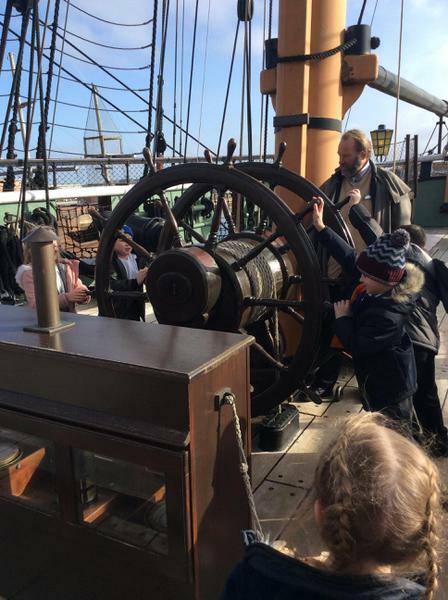 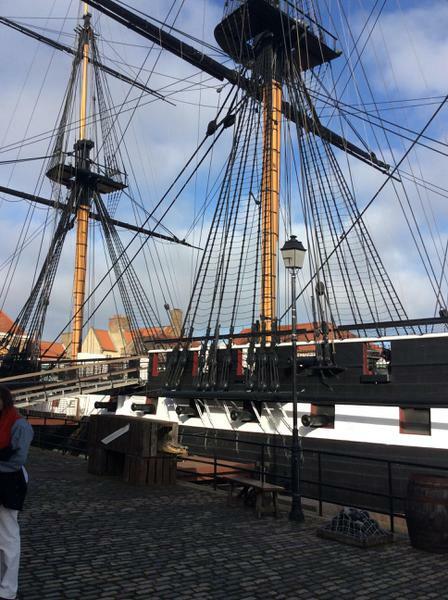 The trip was really informative and fun - but also very cold on board the HMS Trincomalee! 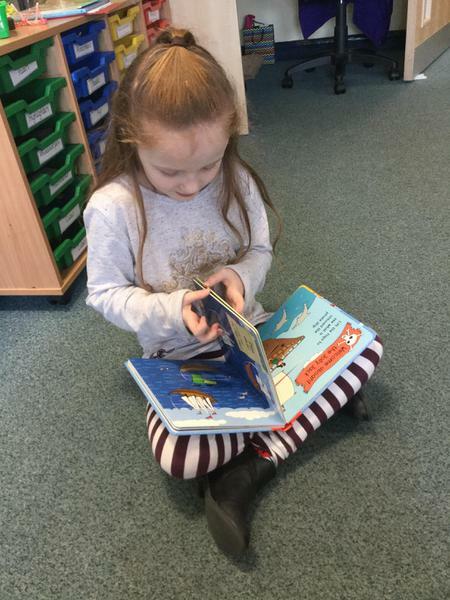 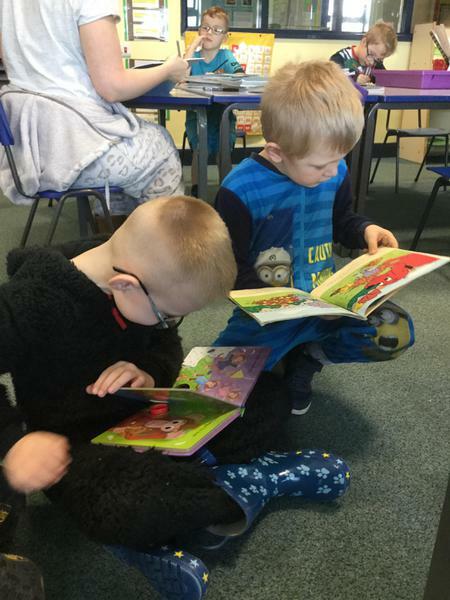 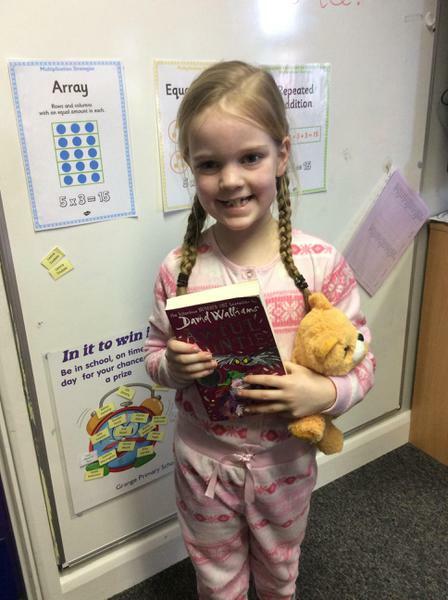 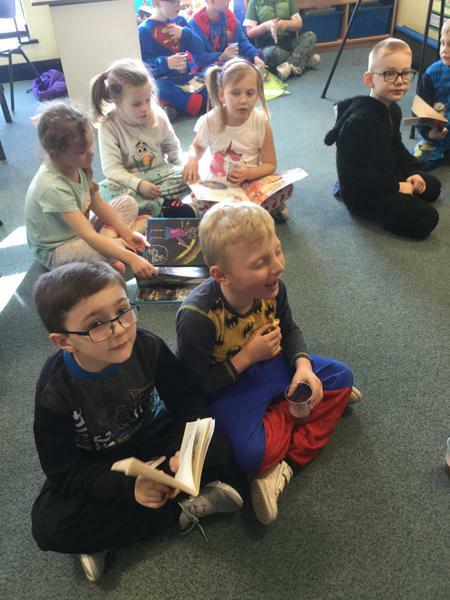 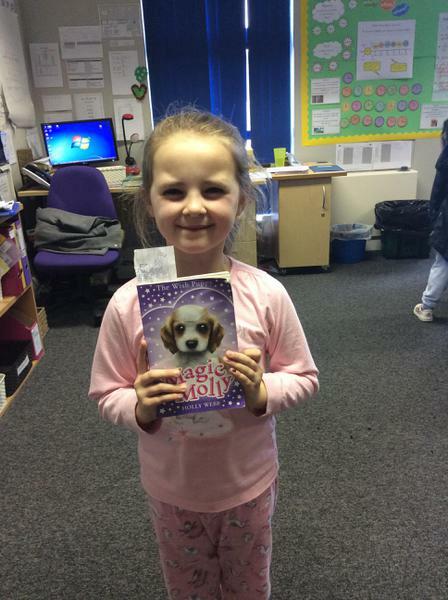 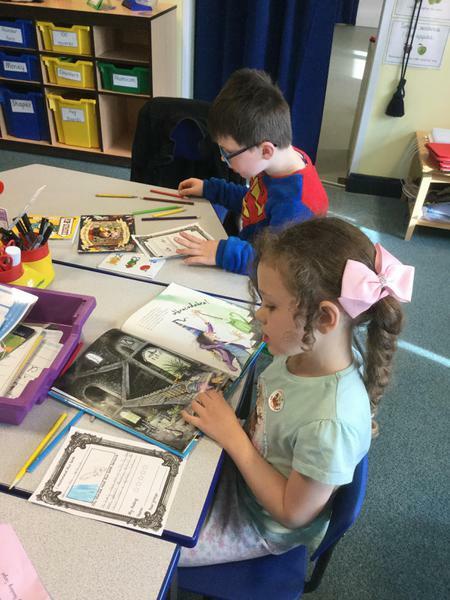 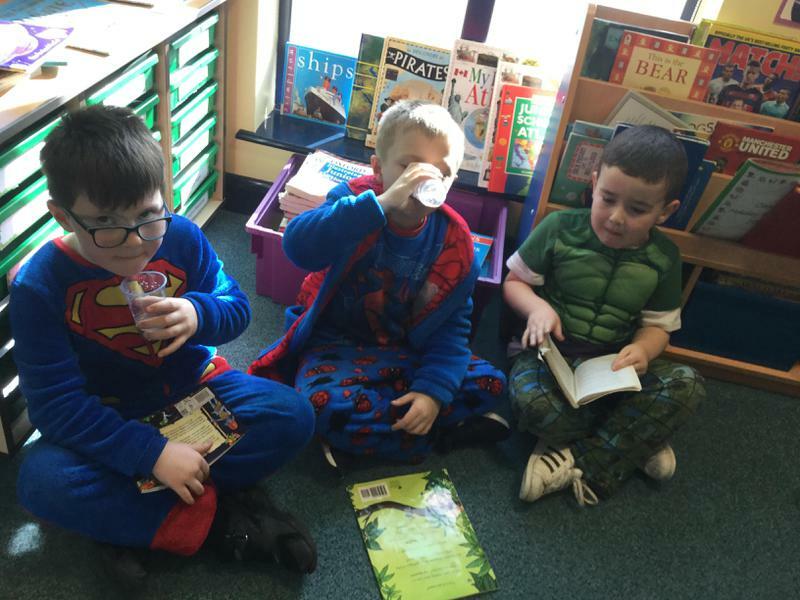 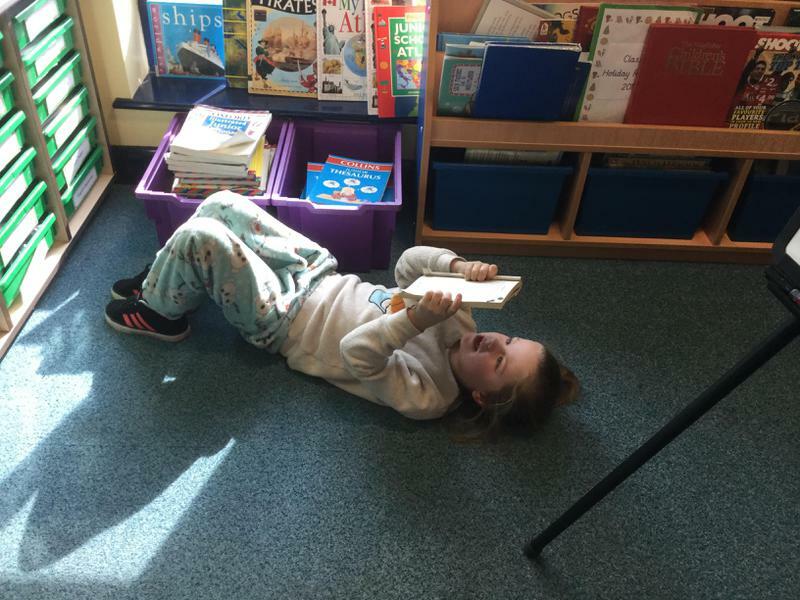 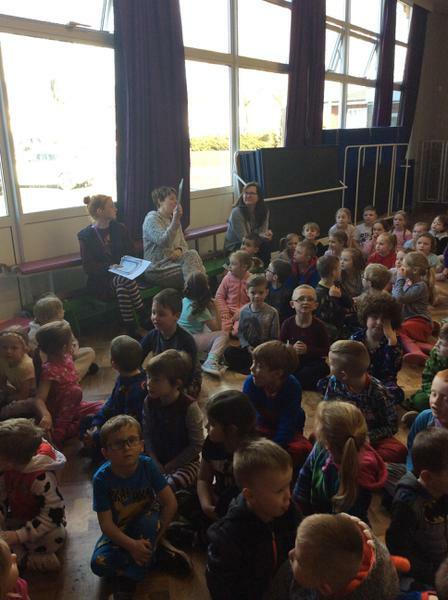 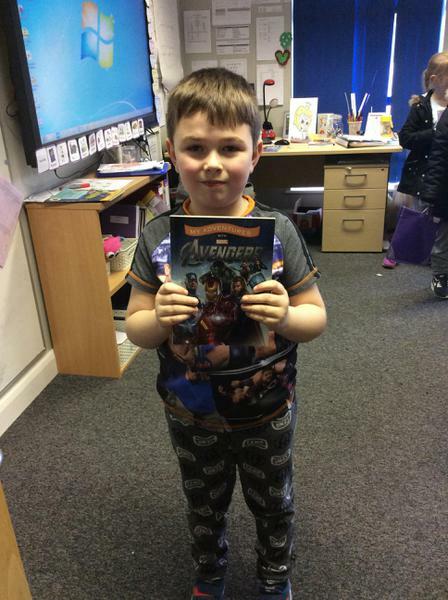 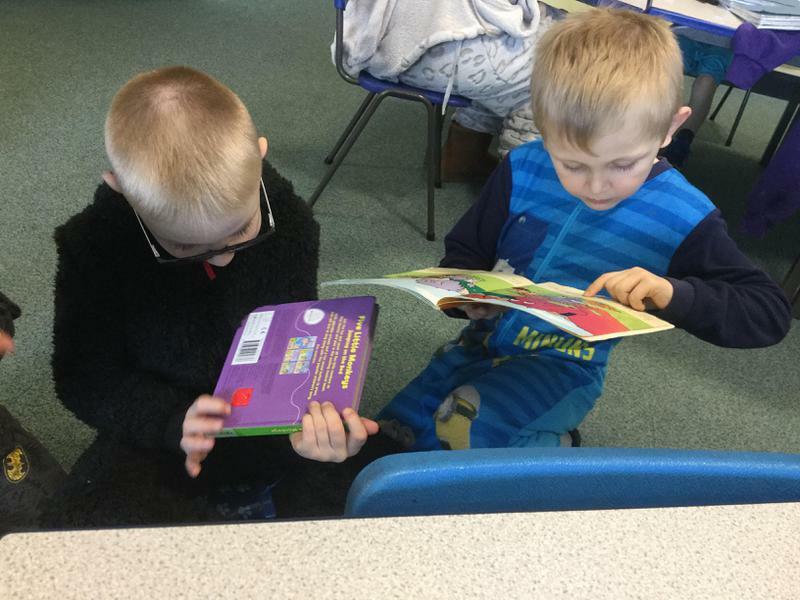 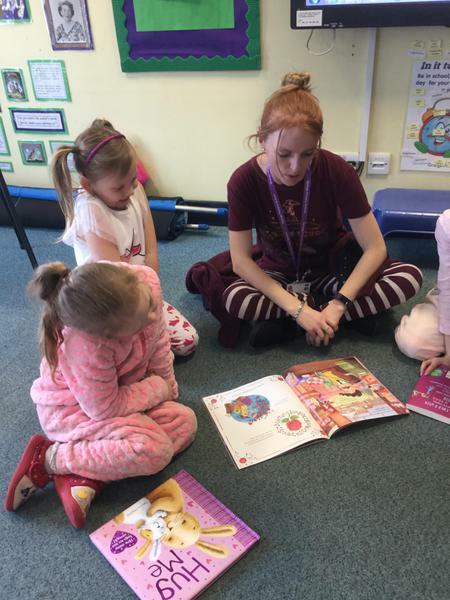 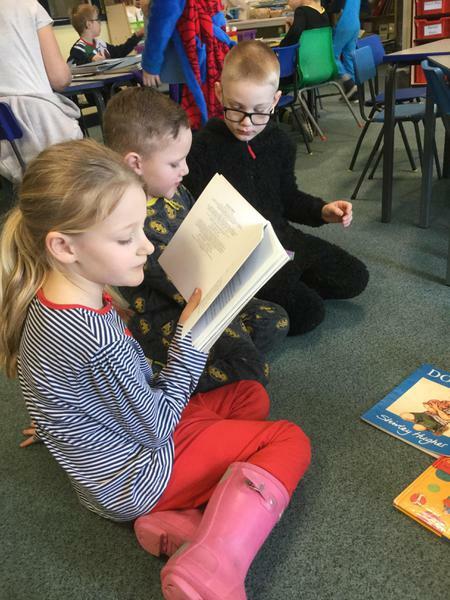 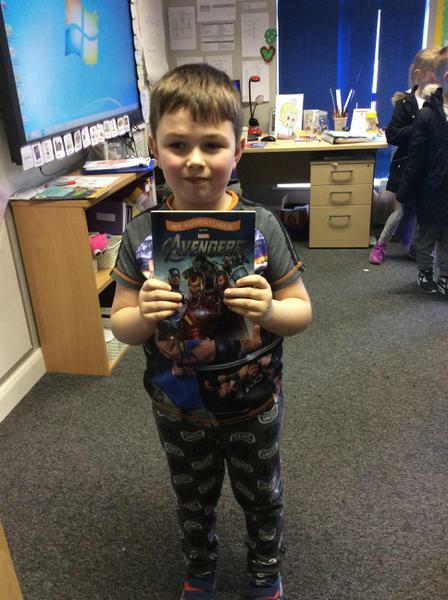 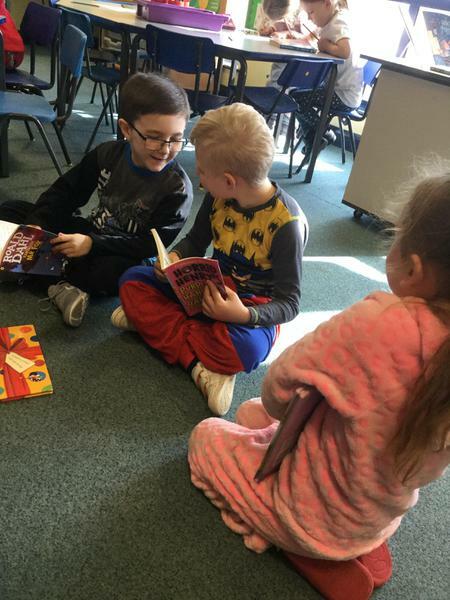 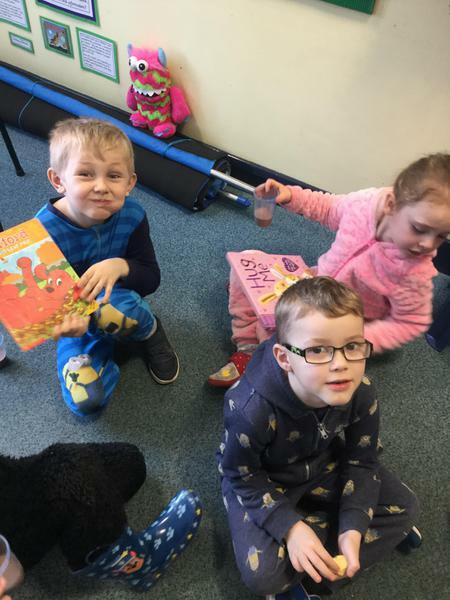 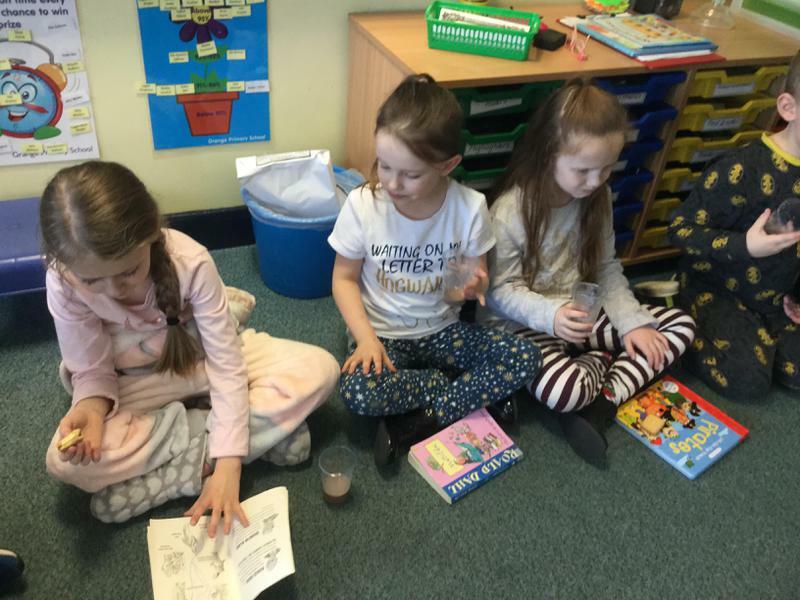 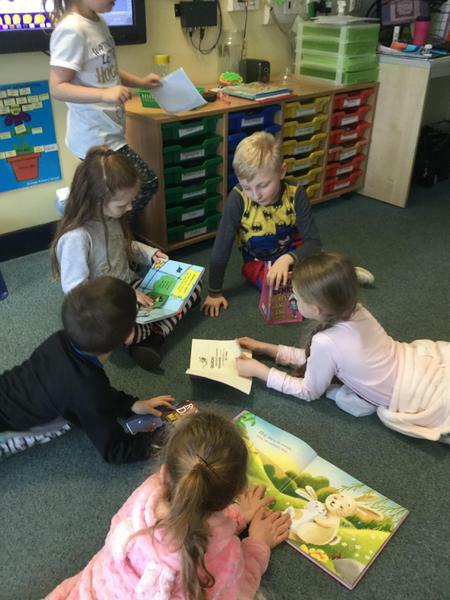 World Book Day was such a lovely day in school! 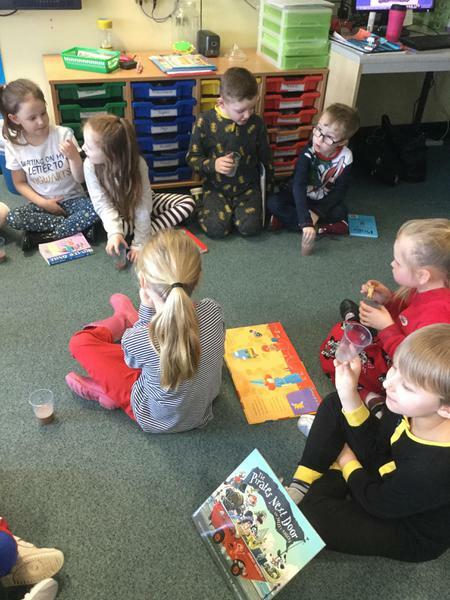 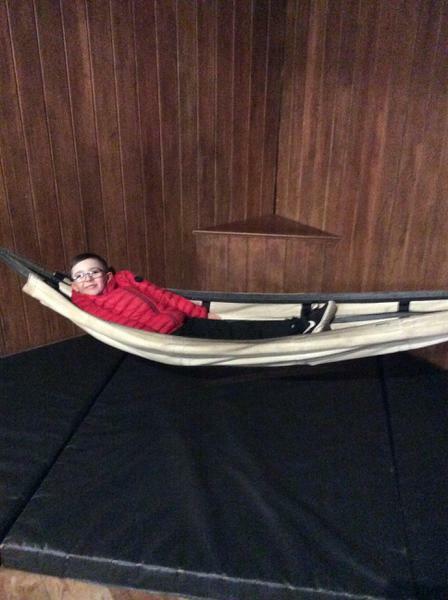 We shared stories and had hot chocolate together. 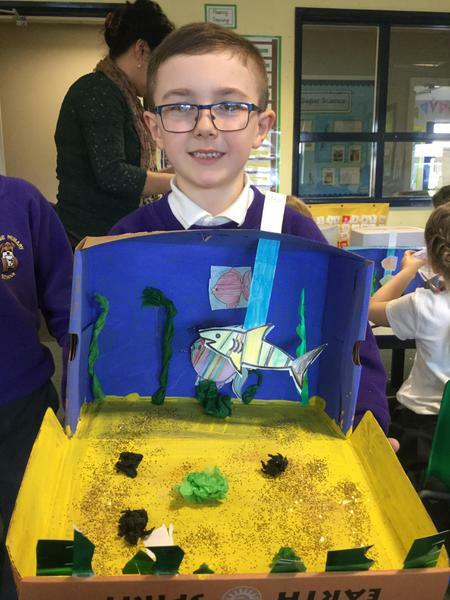 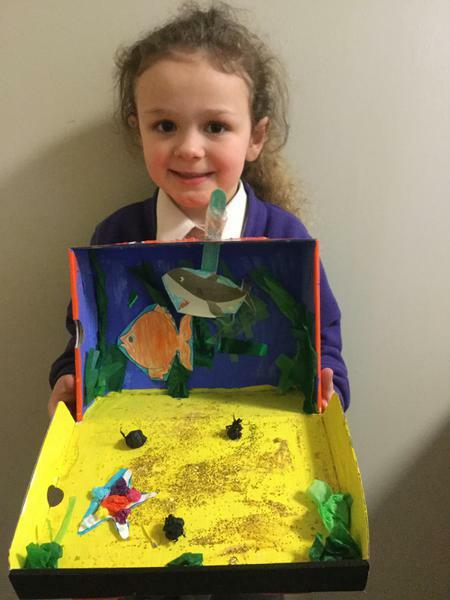 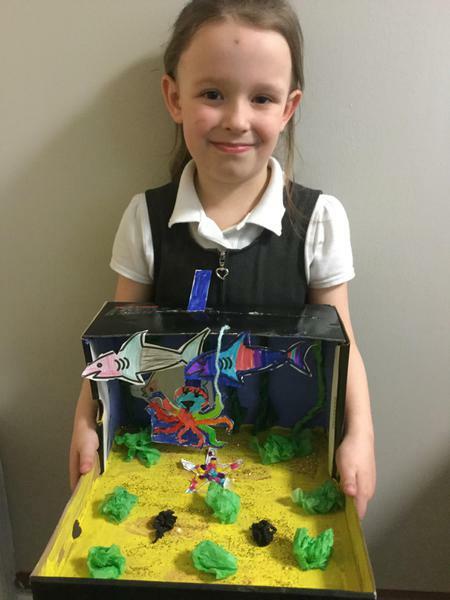 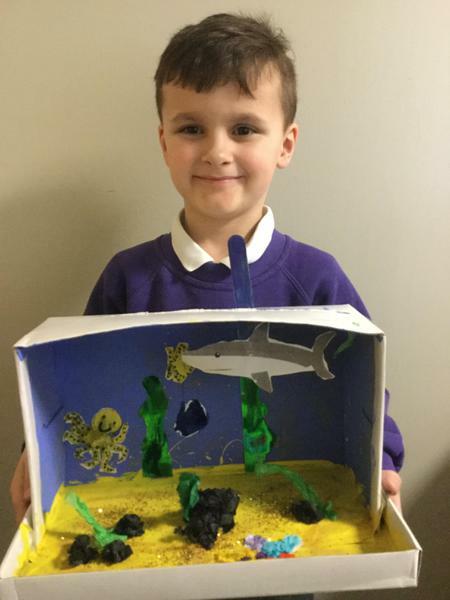 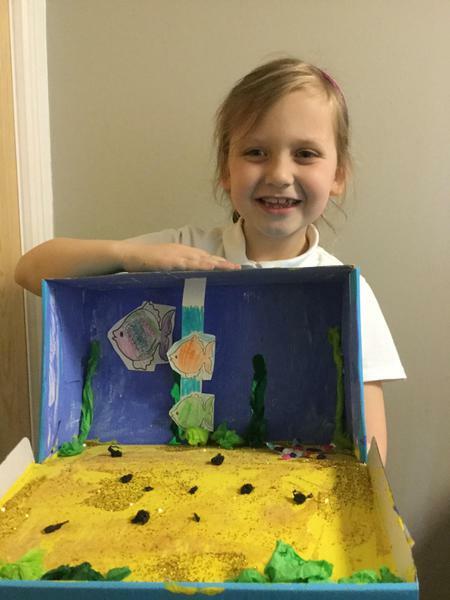 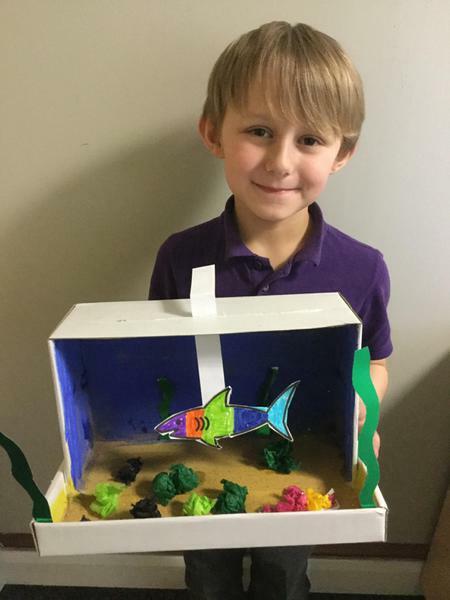 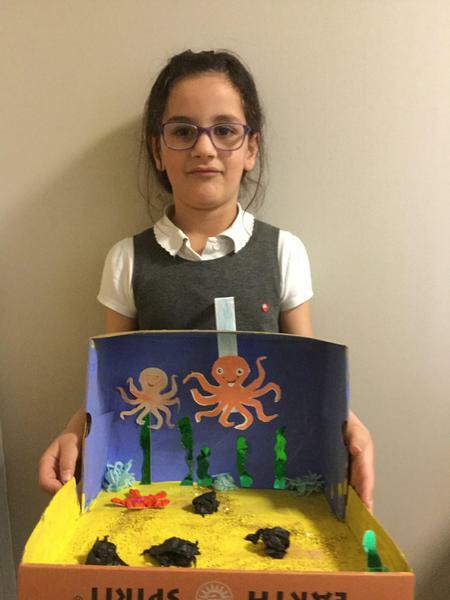 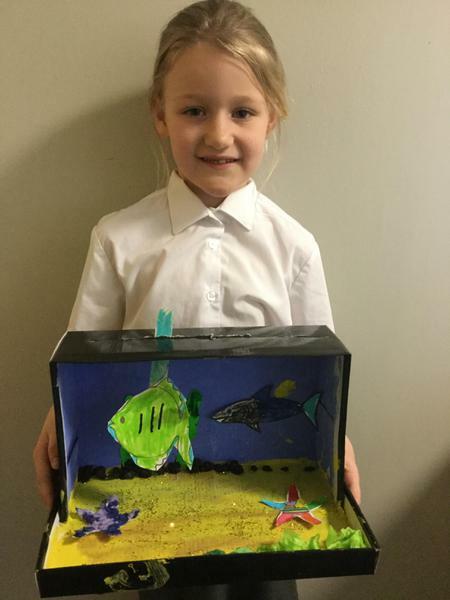 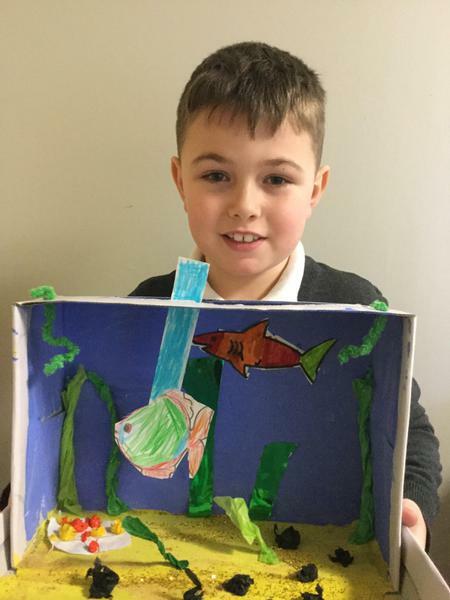 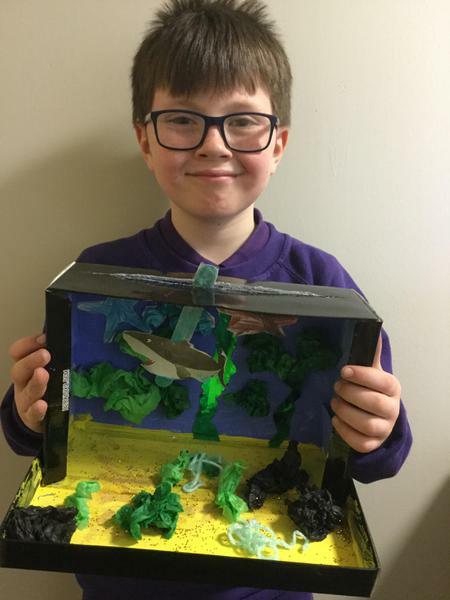 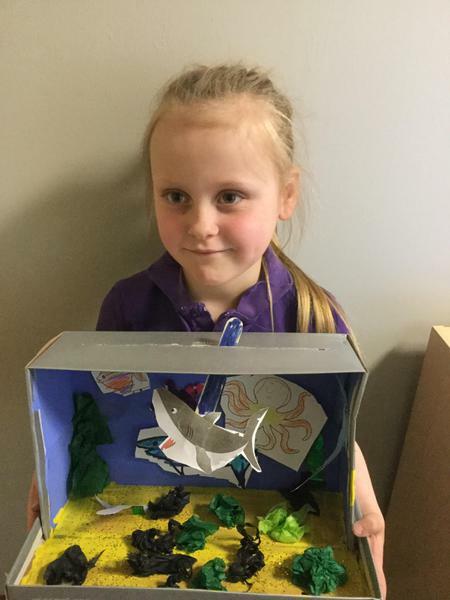 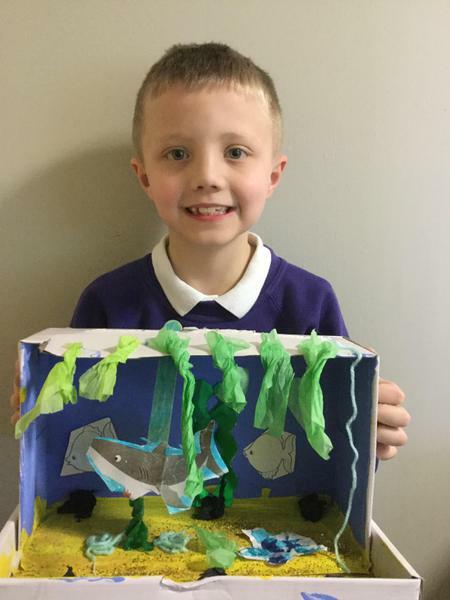 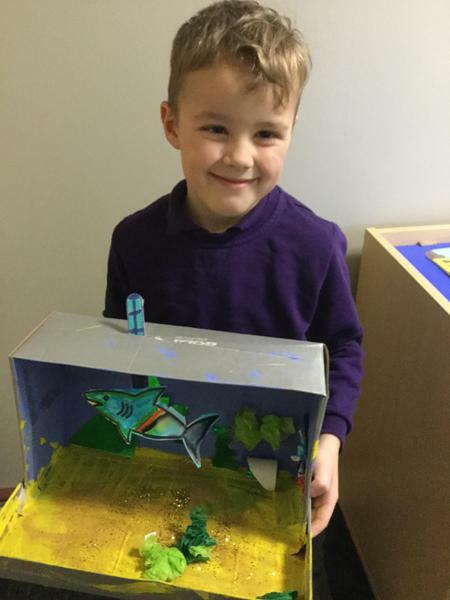 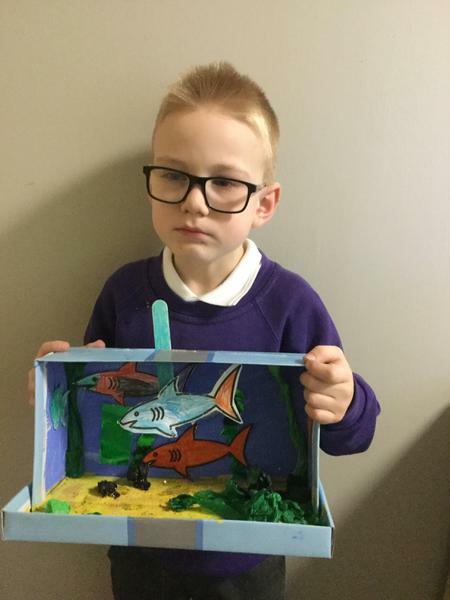 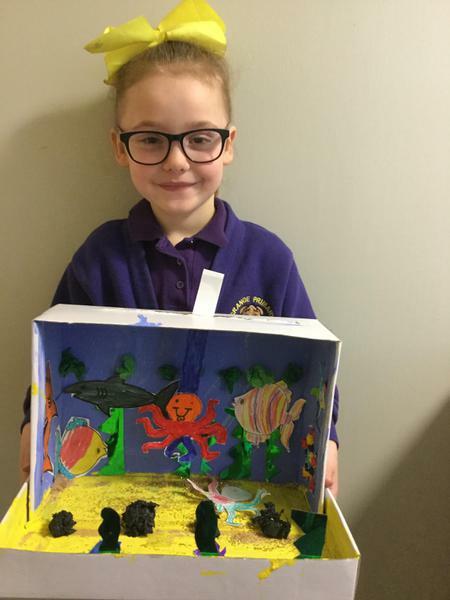 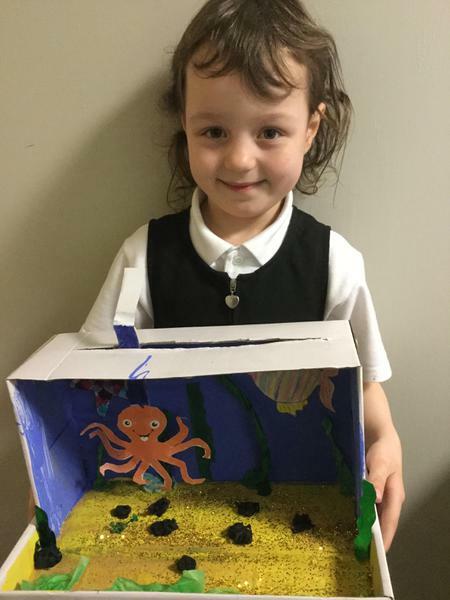 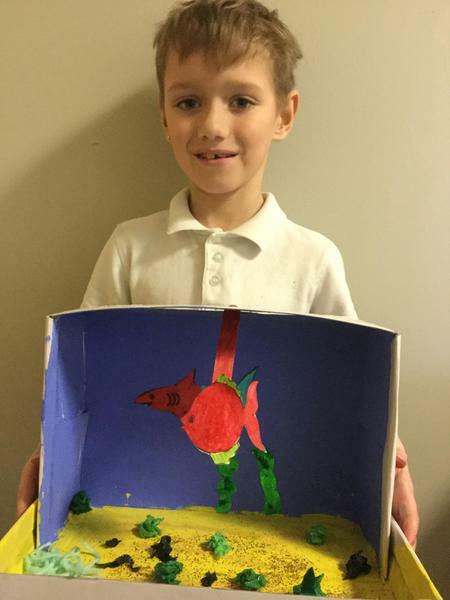 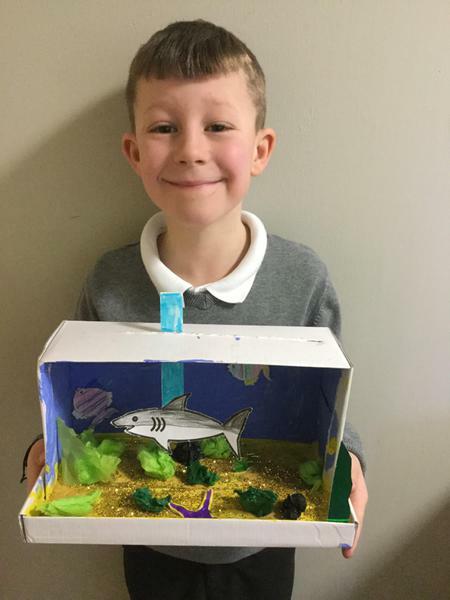 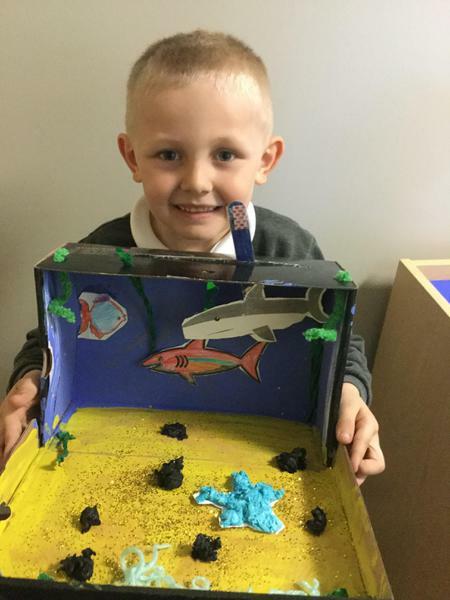 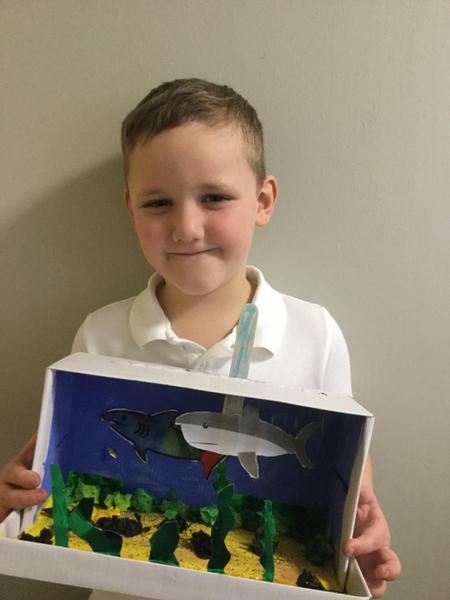 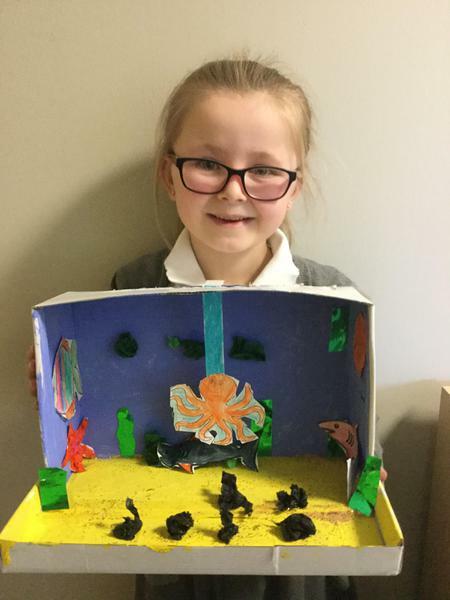 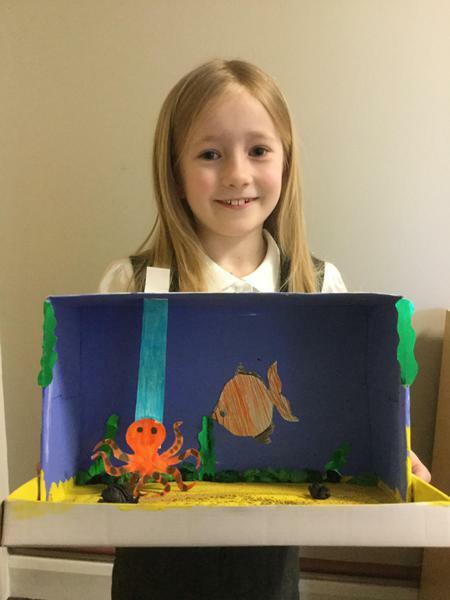 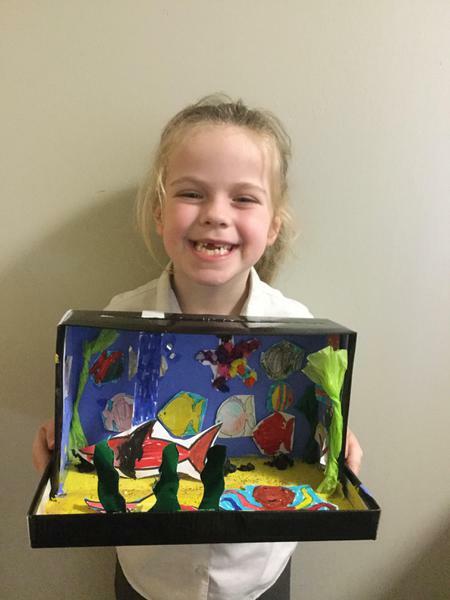 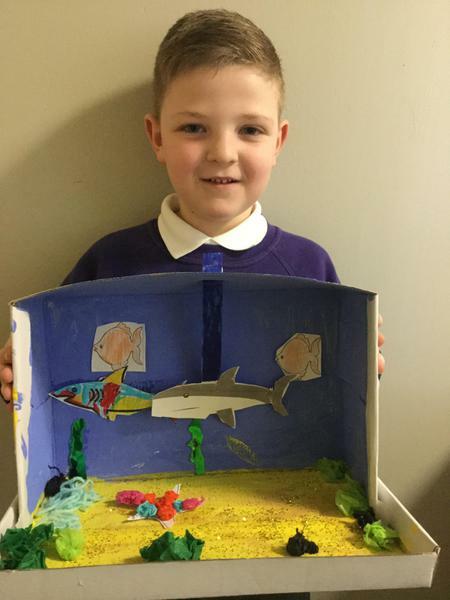 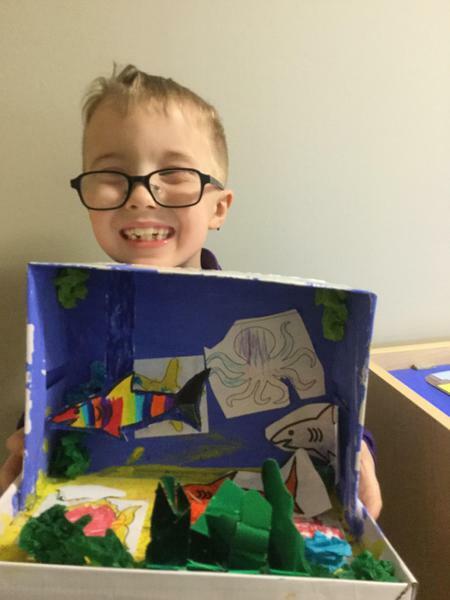 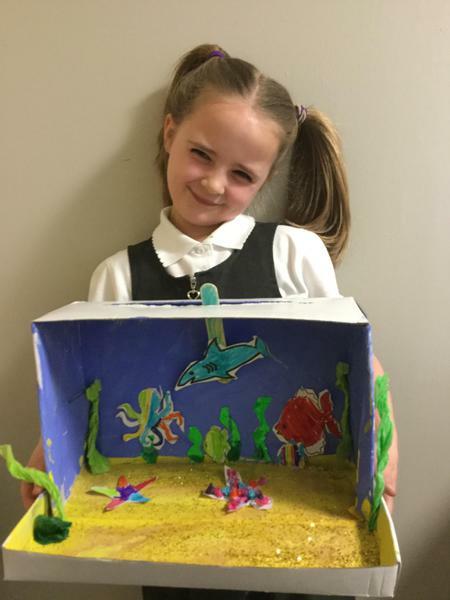 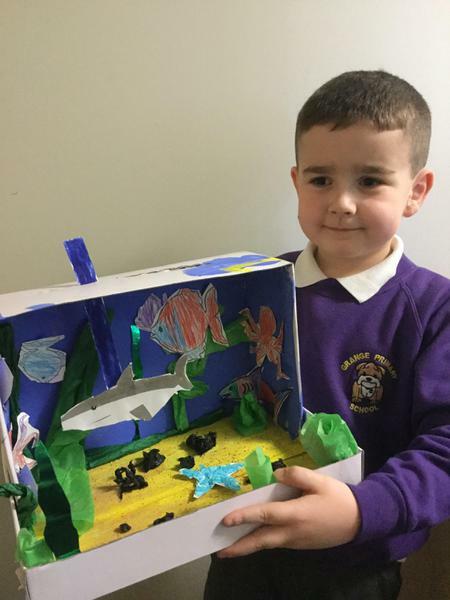 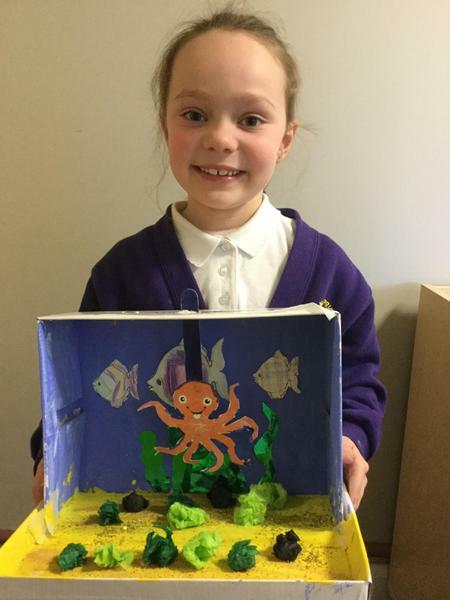 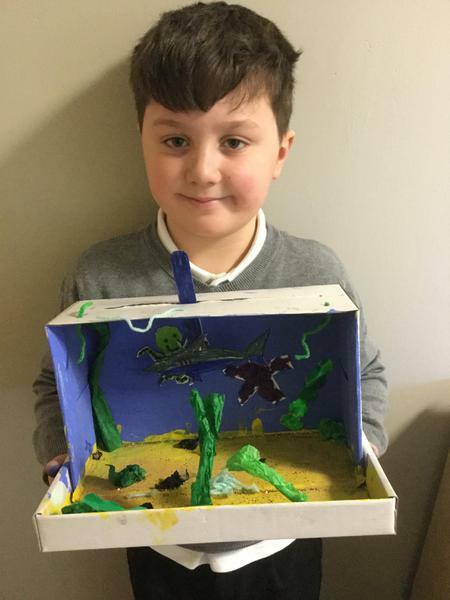 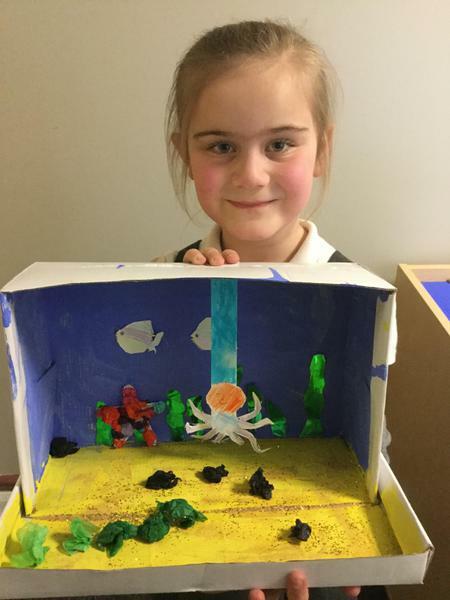 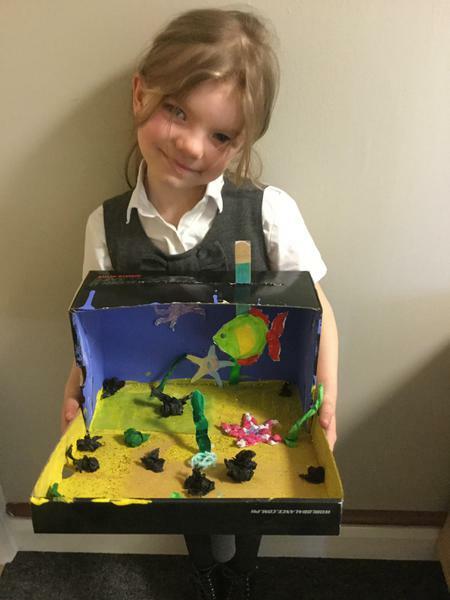 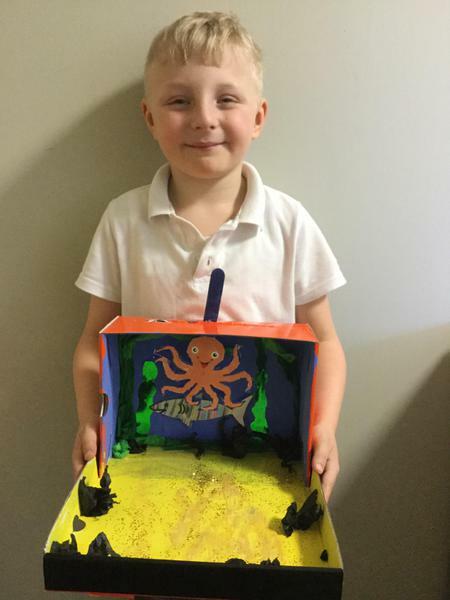 In our Design Technology lessons year 2 planned and made under water scenes. 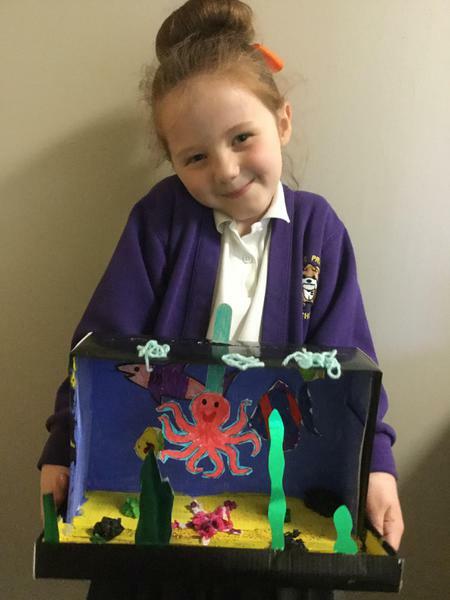 The children showed how creative they were and the final models were beautiful!